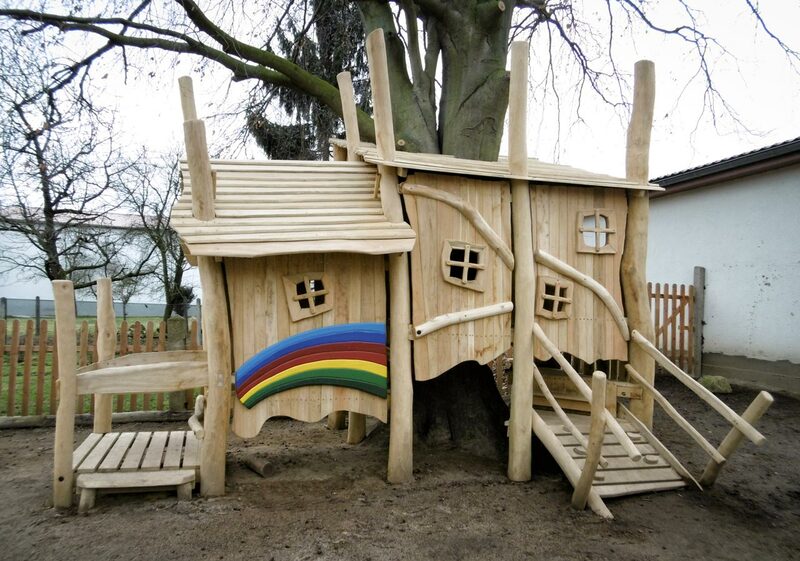 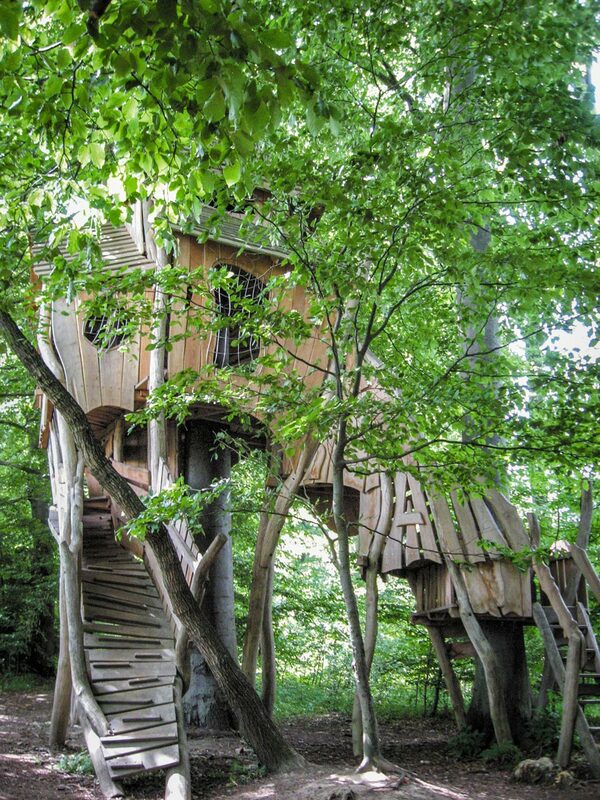 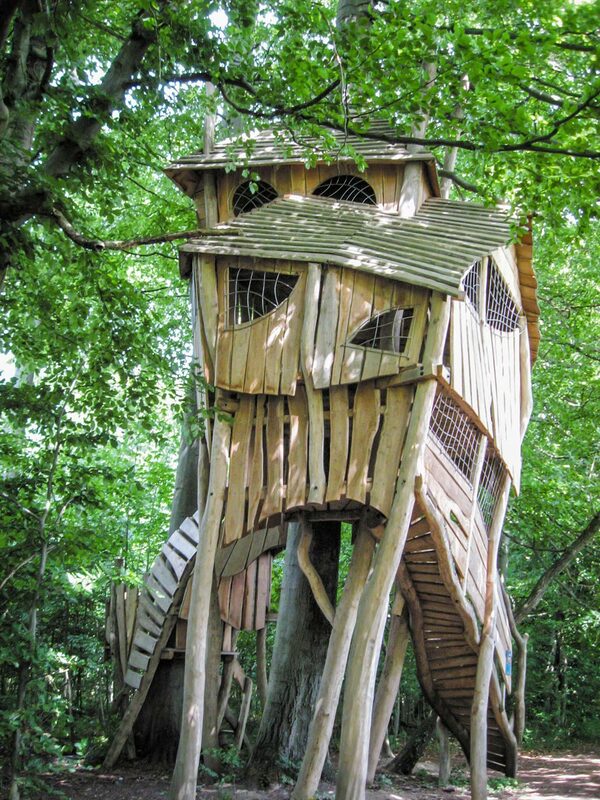 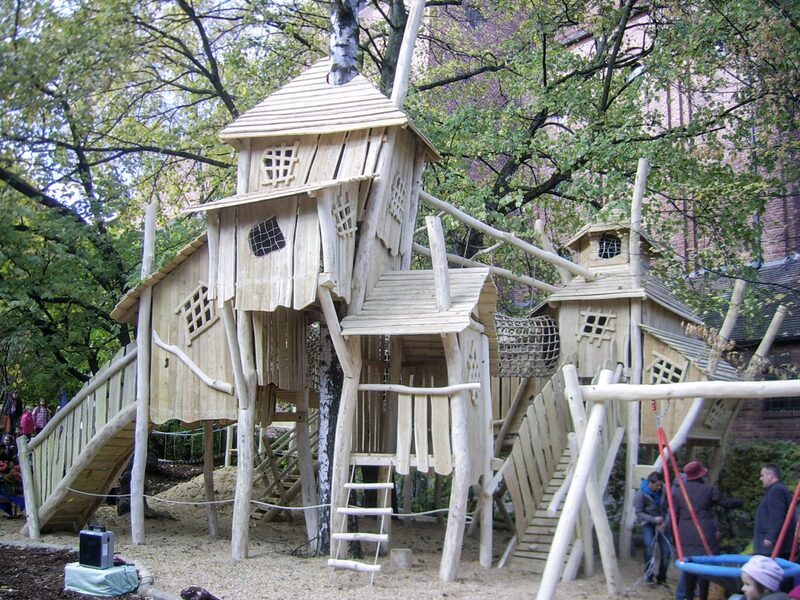 A tree house is still a childhood dream. 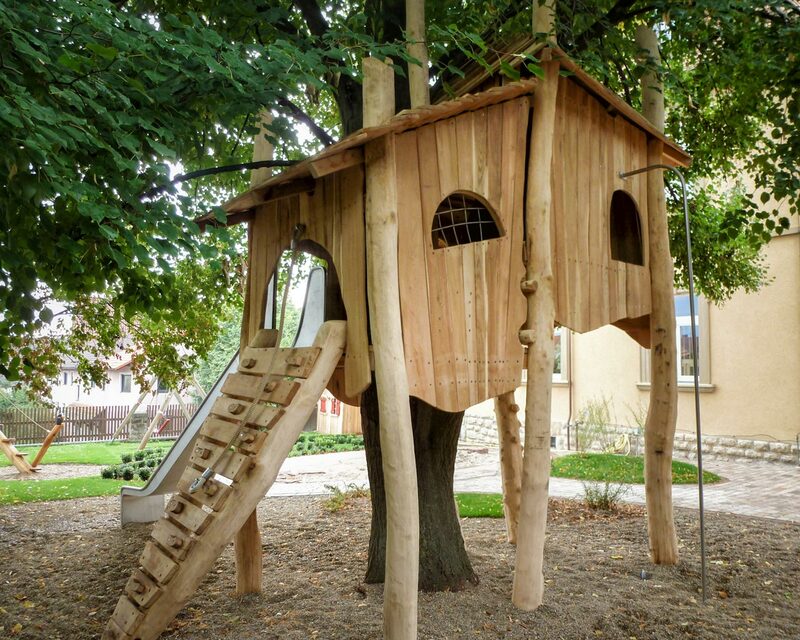 To hide among the leaves and branches and maybe watch a little bird or a squirrel on a twig is something that makes the tree tops even more appealing. 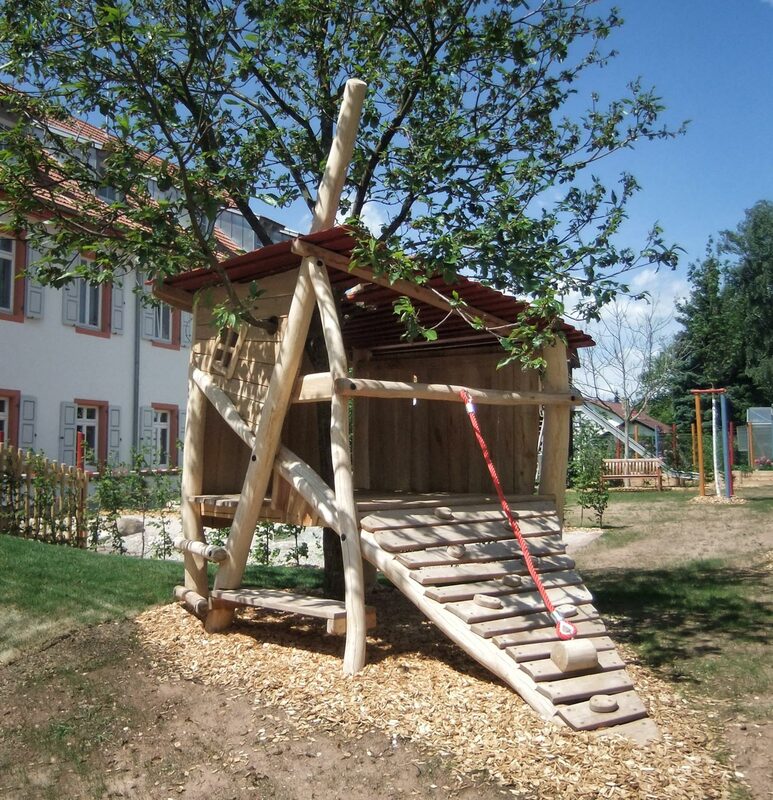 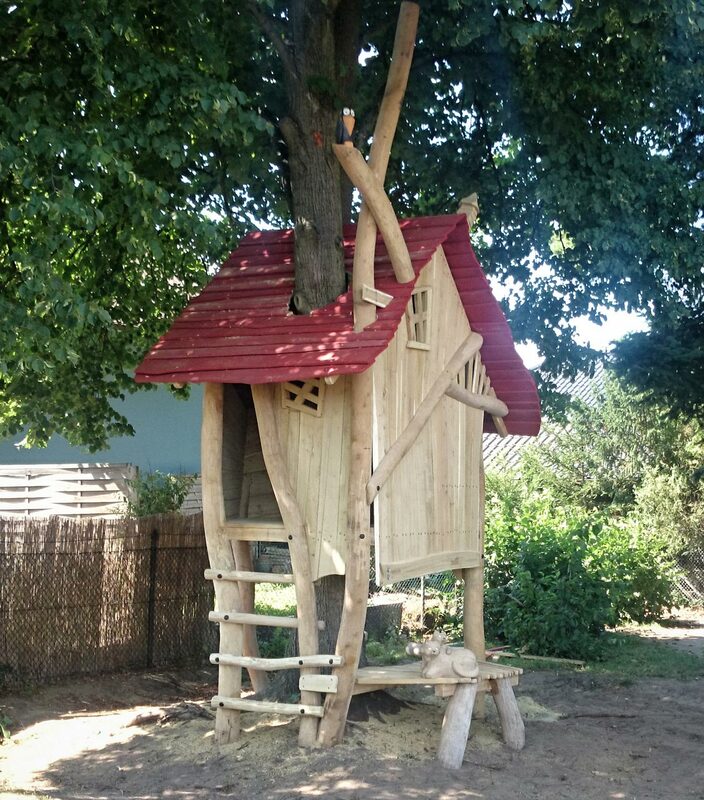 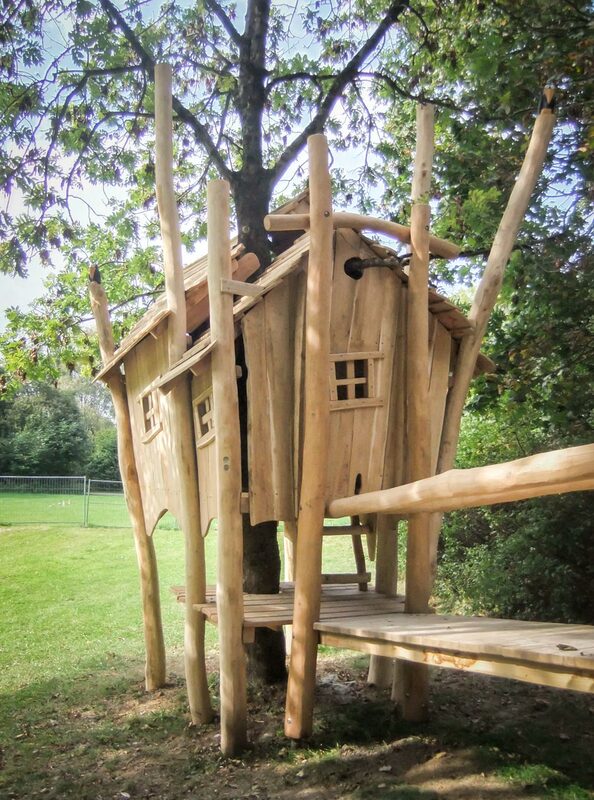 The tree houses are designed to be self-supporting whenever possible to eliminate the need for foundations that could possibly harm the tree roots. 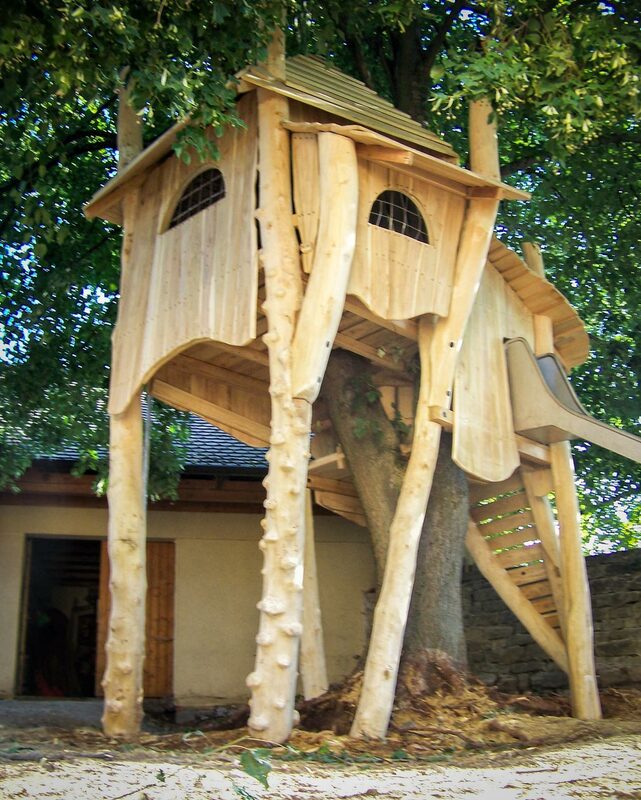 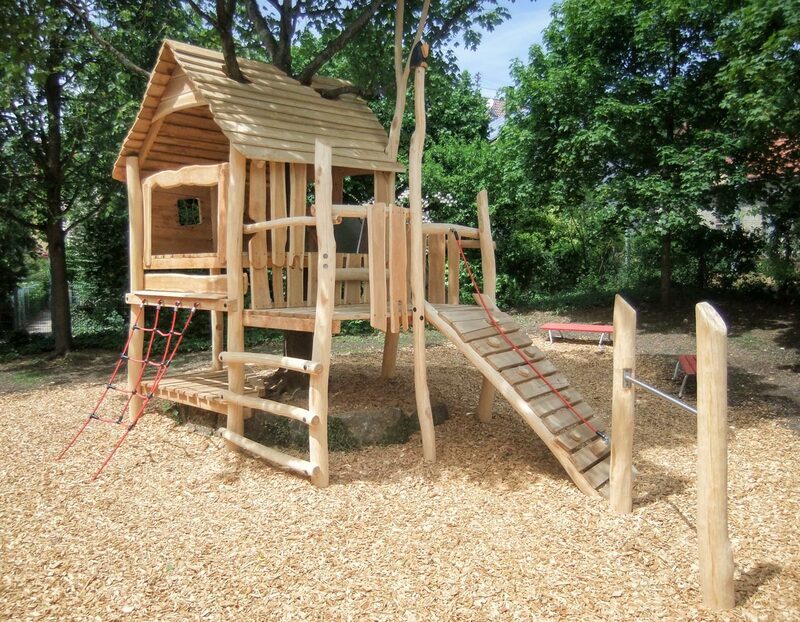 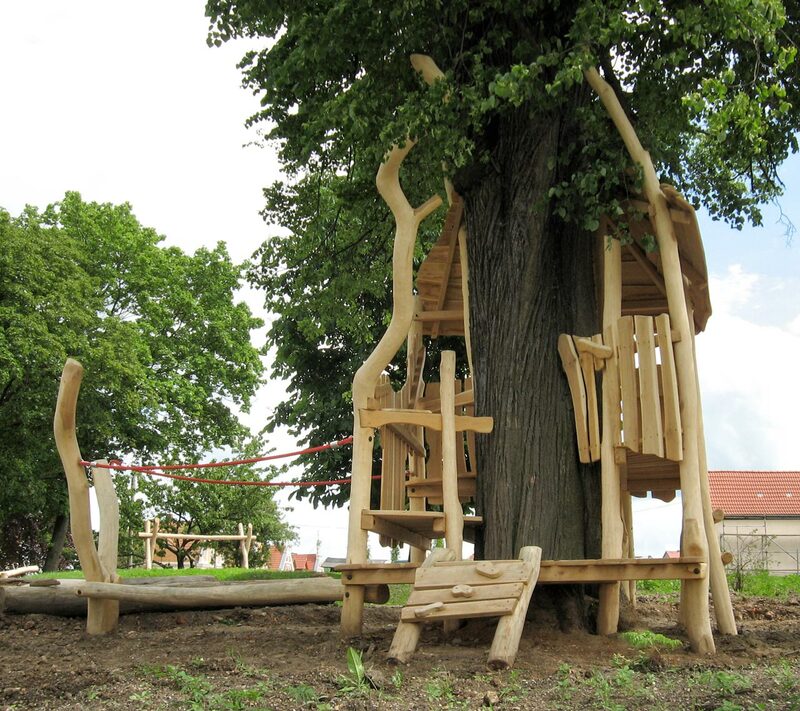 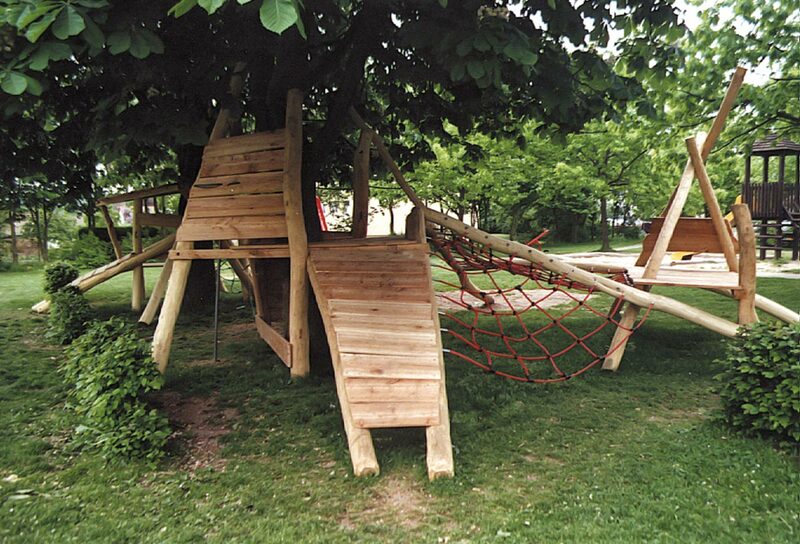 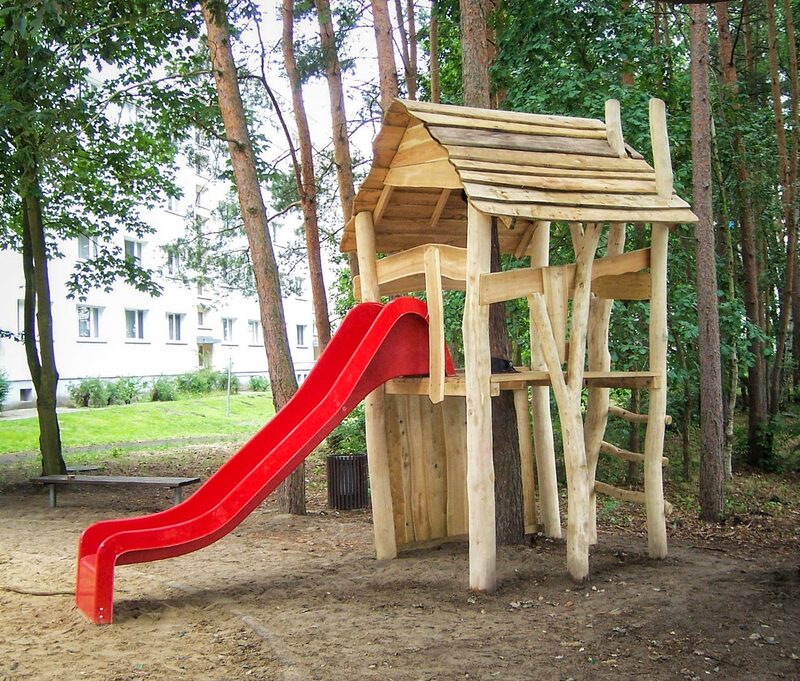 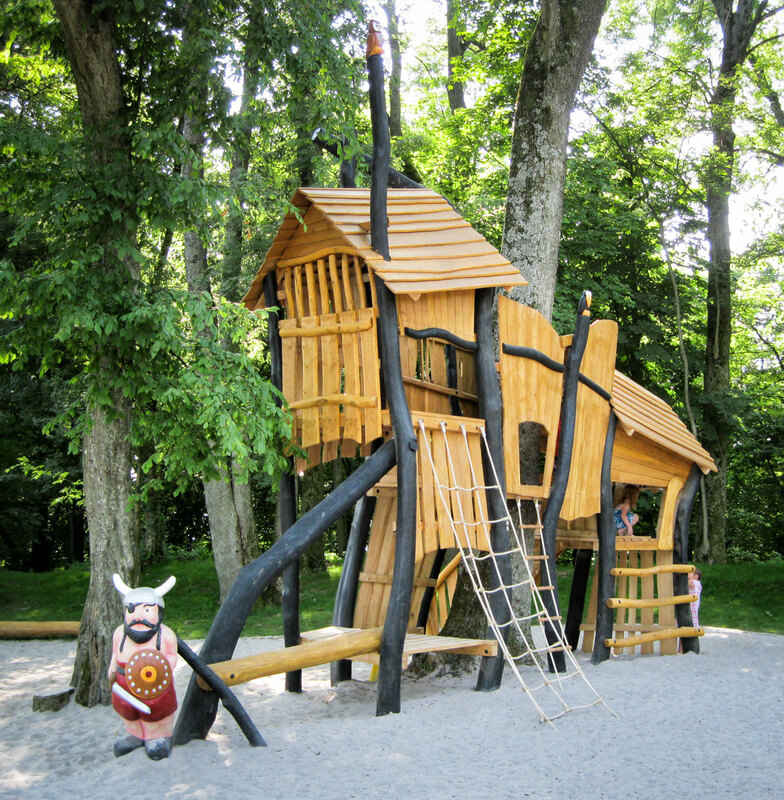 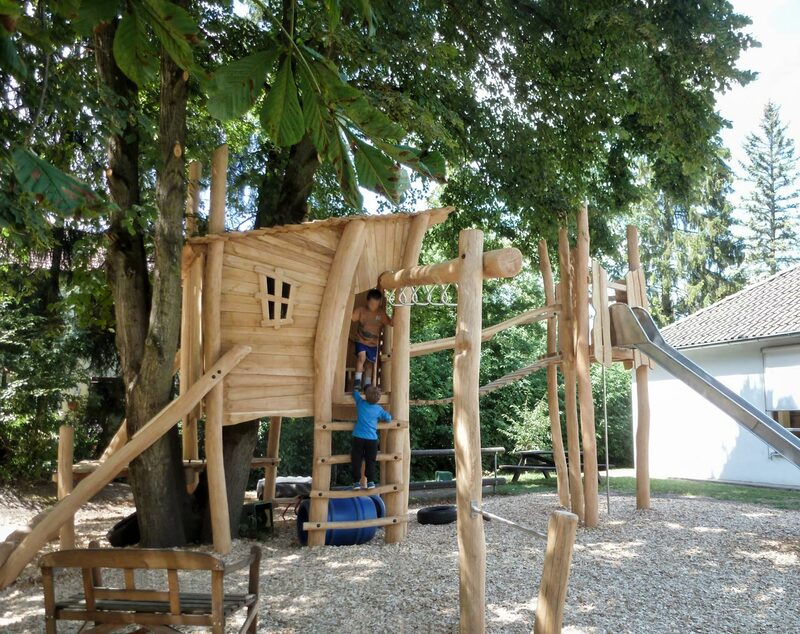 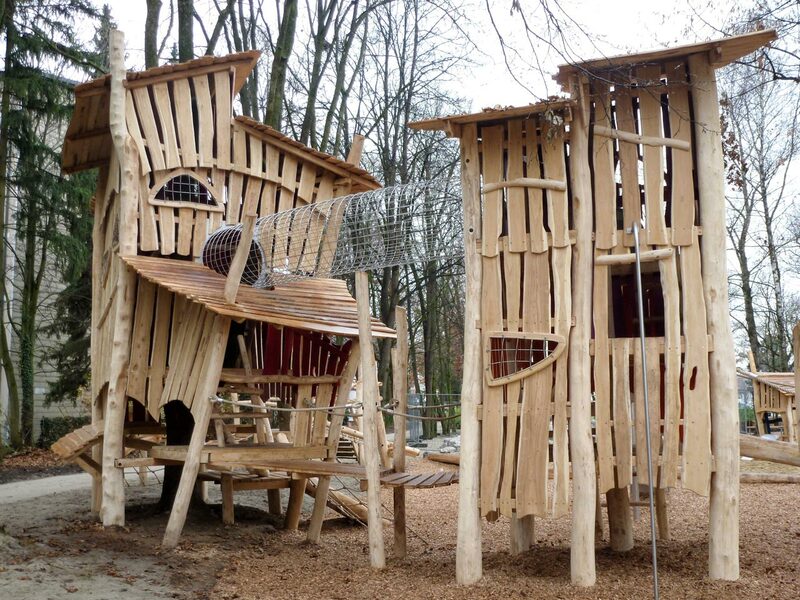 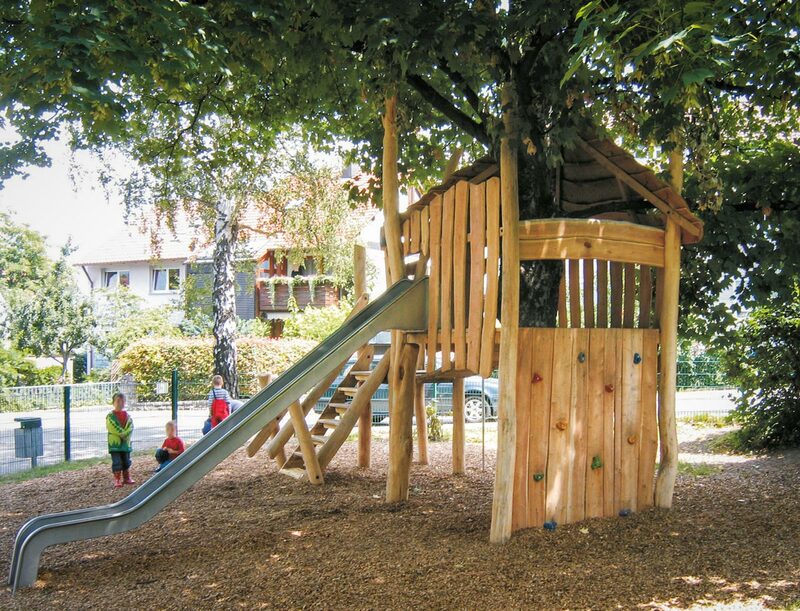 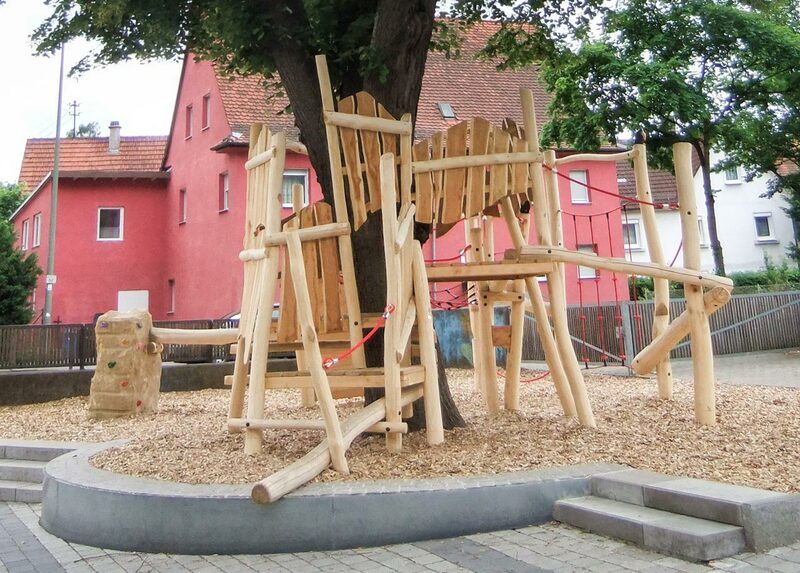 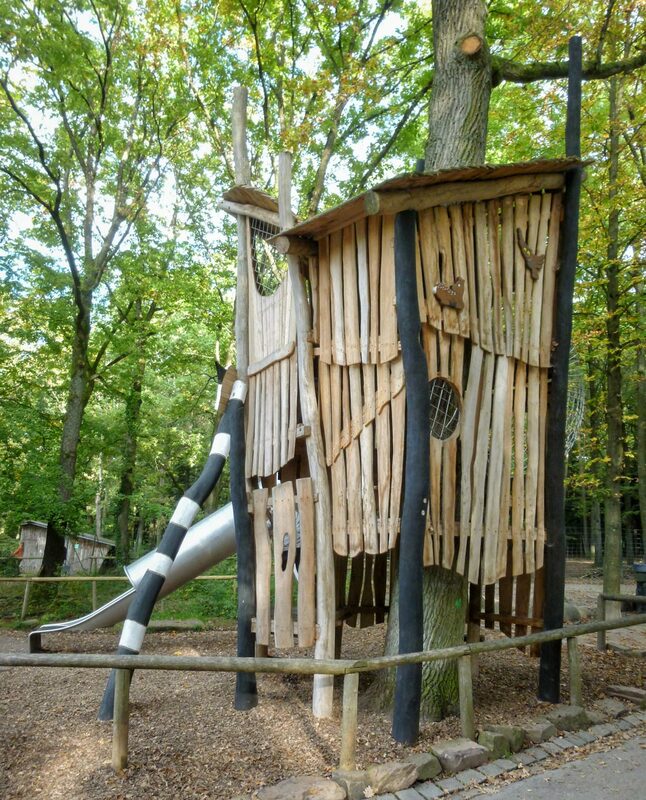 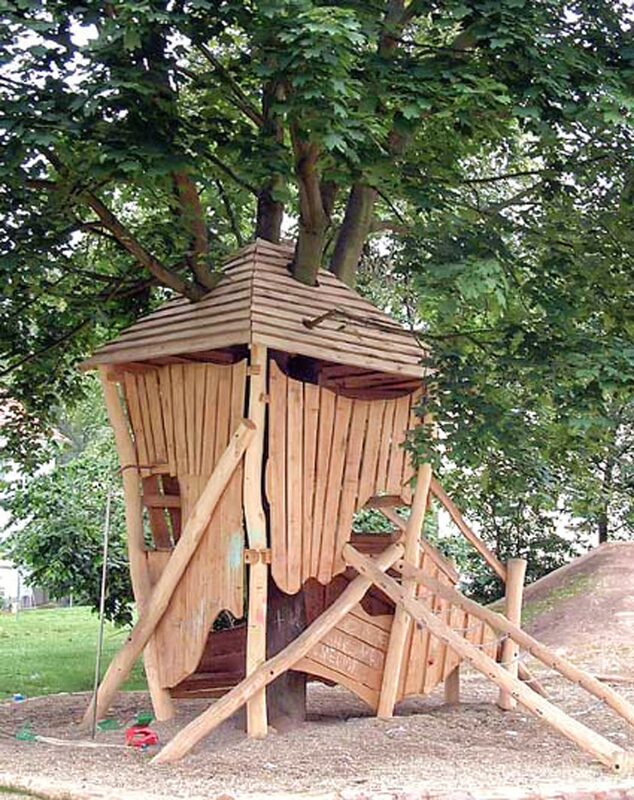 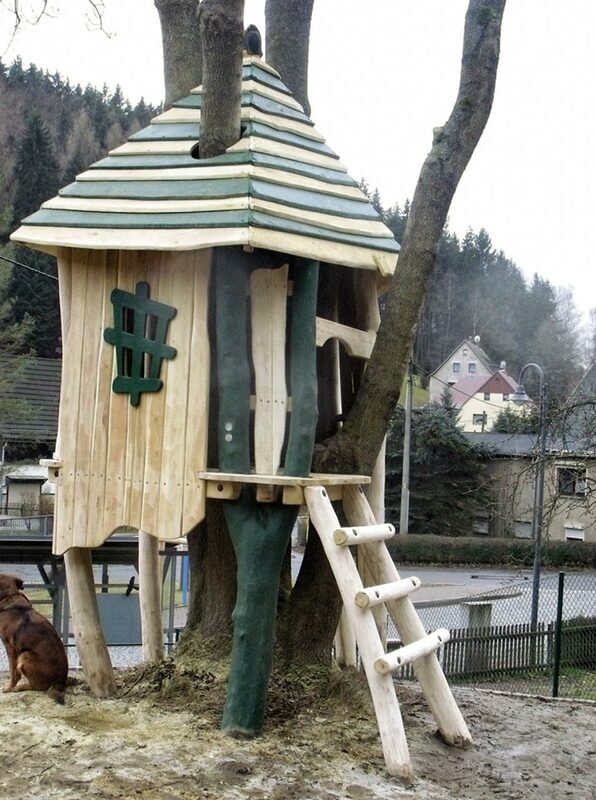 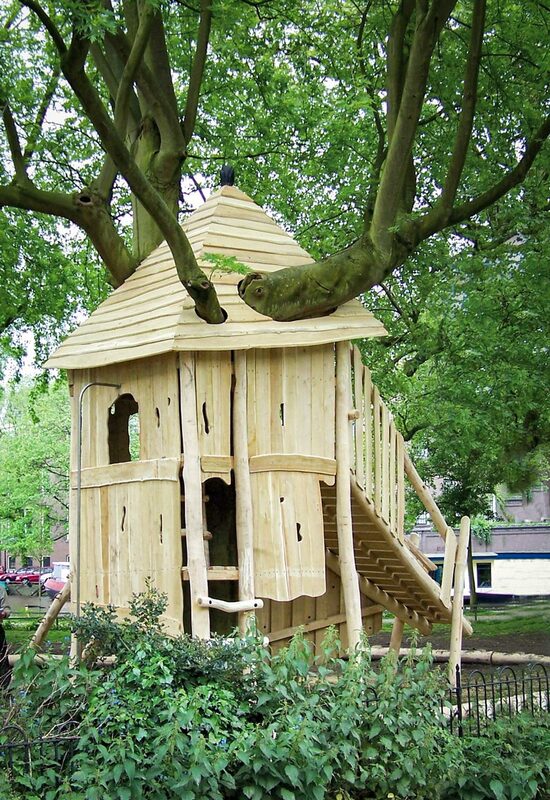 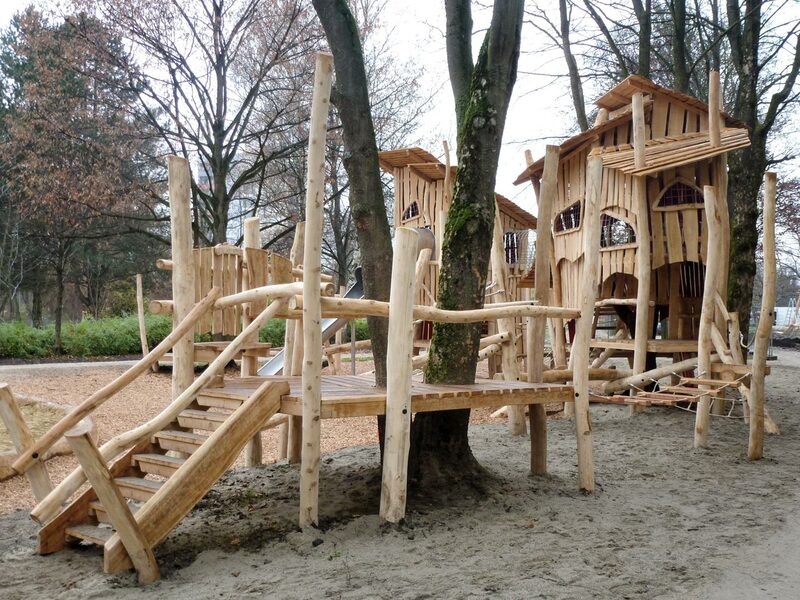 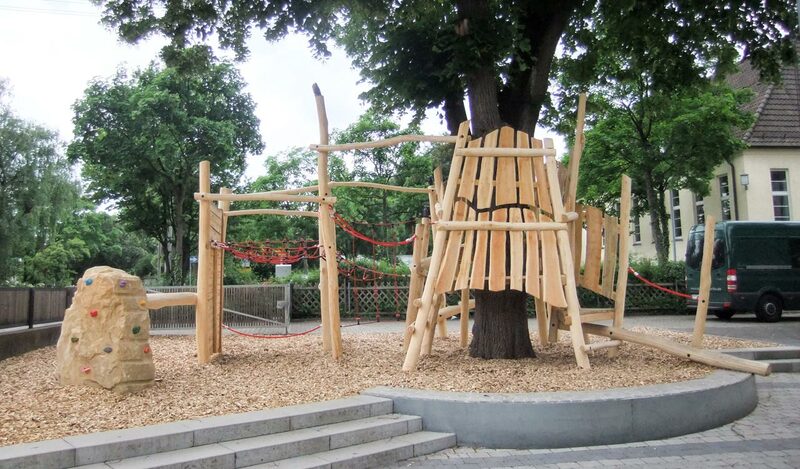 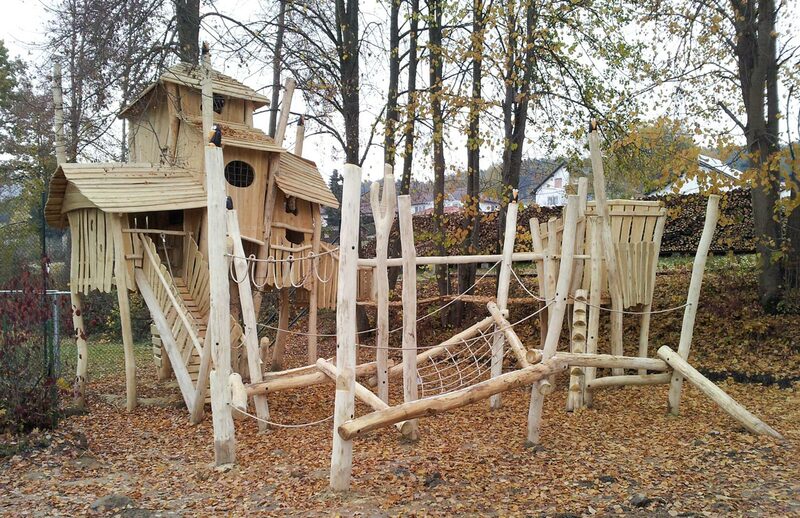 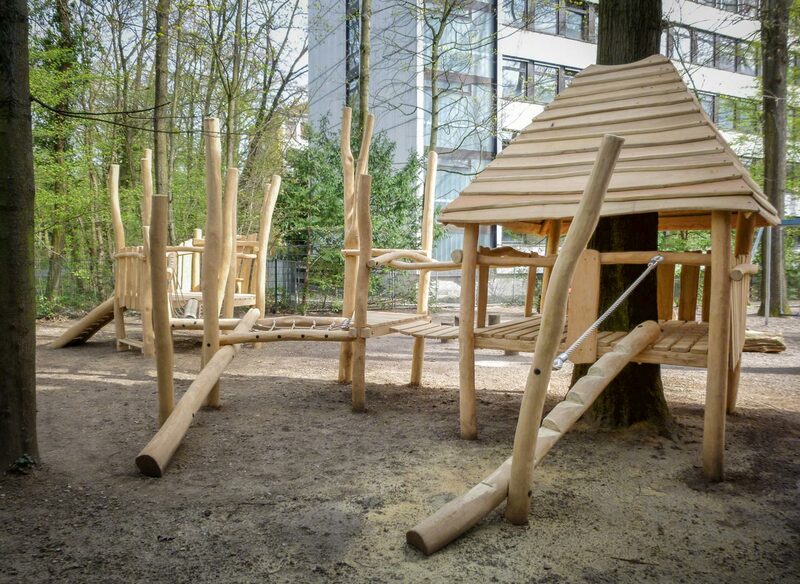 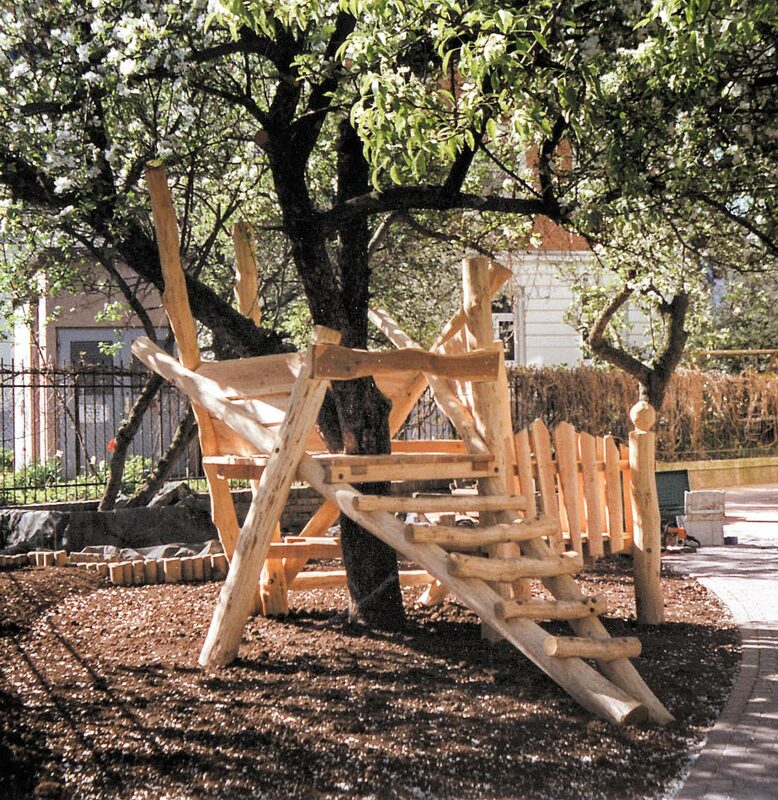 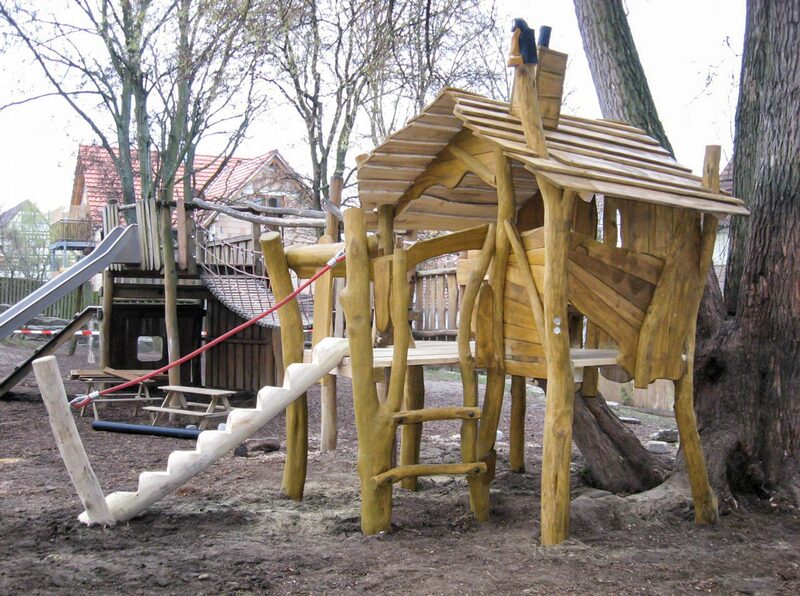 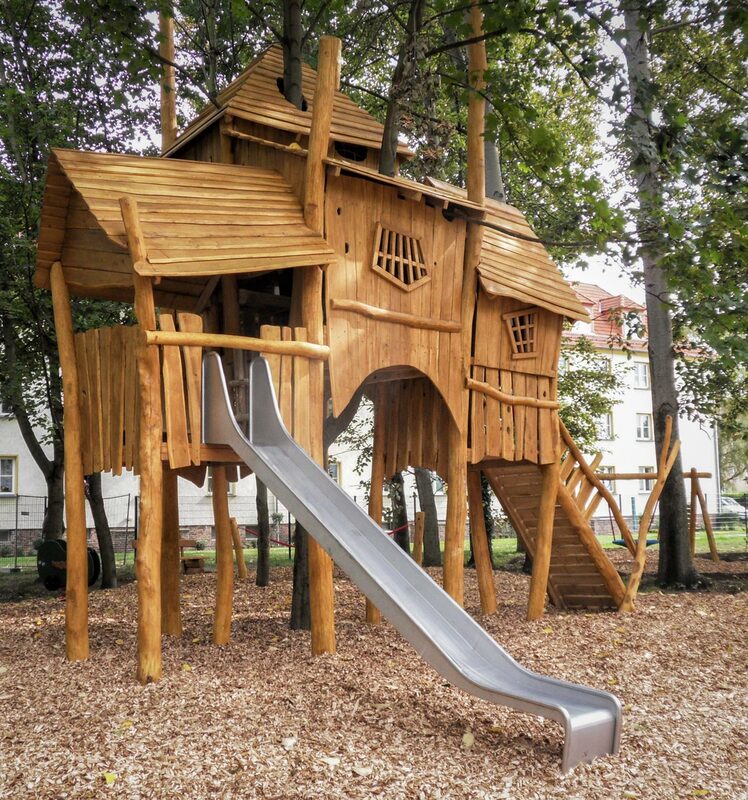 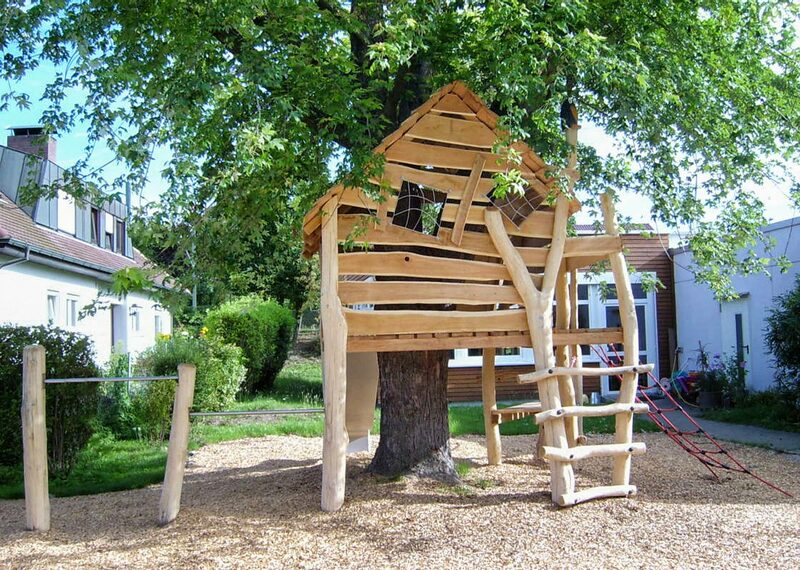 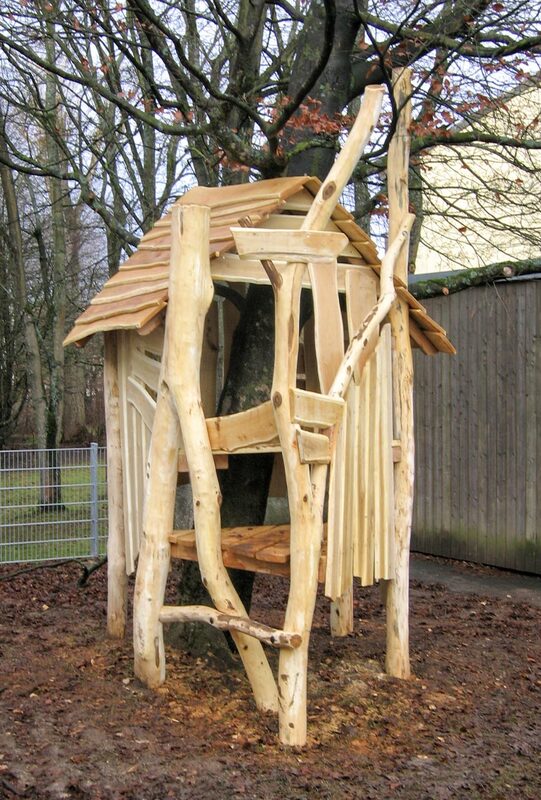 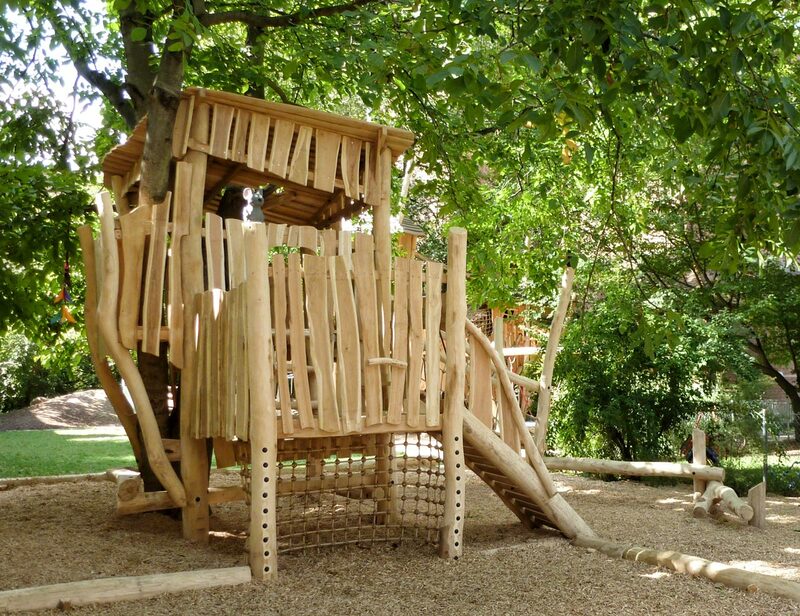 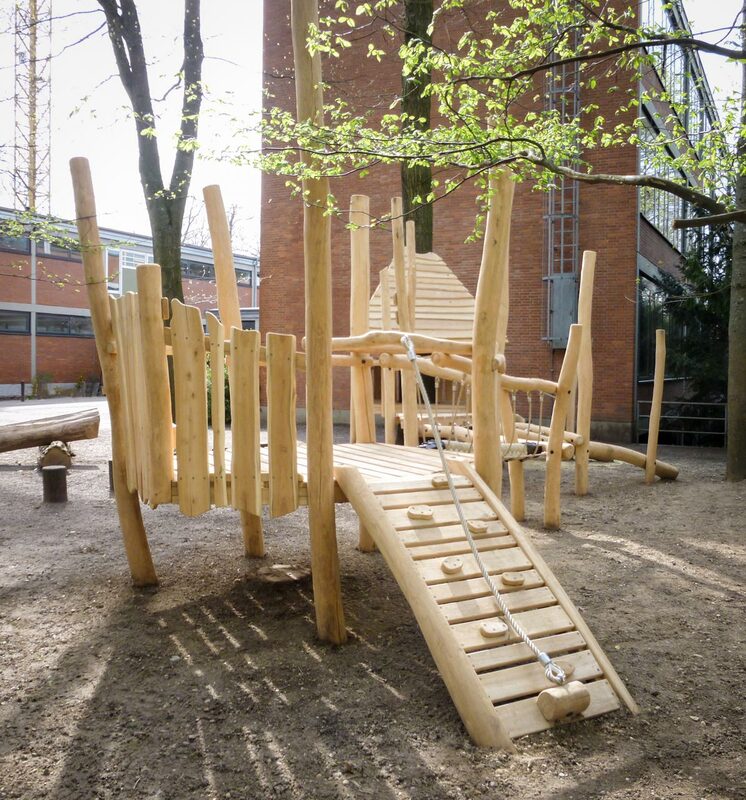 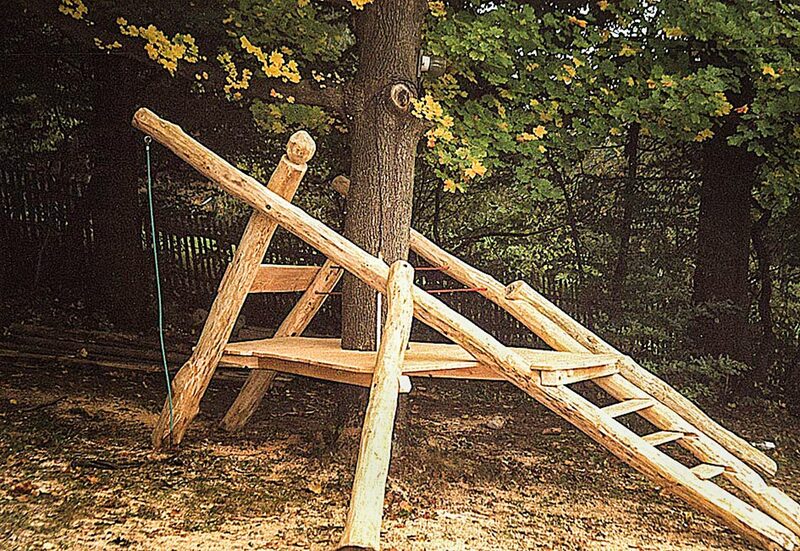 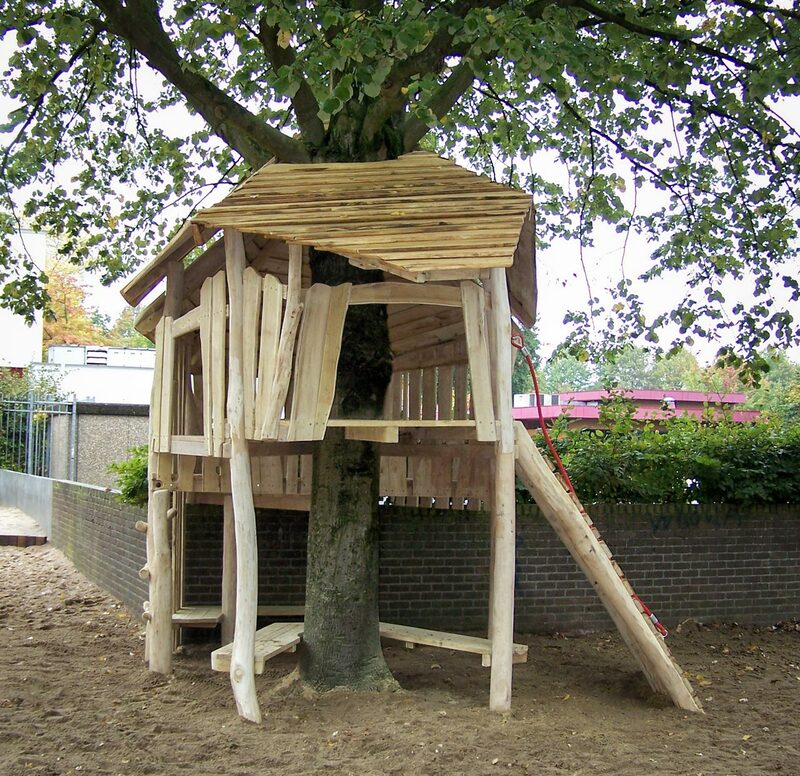 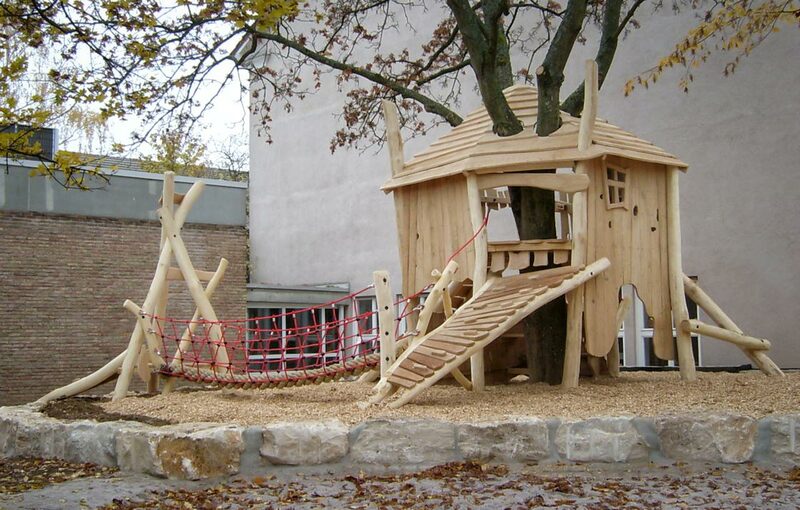 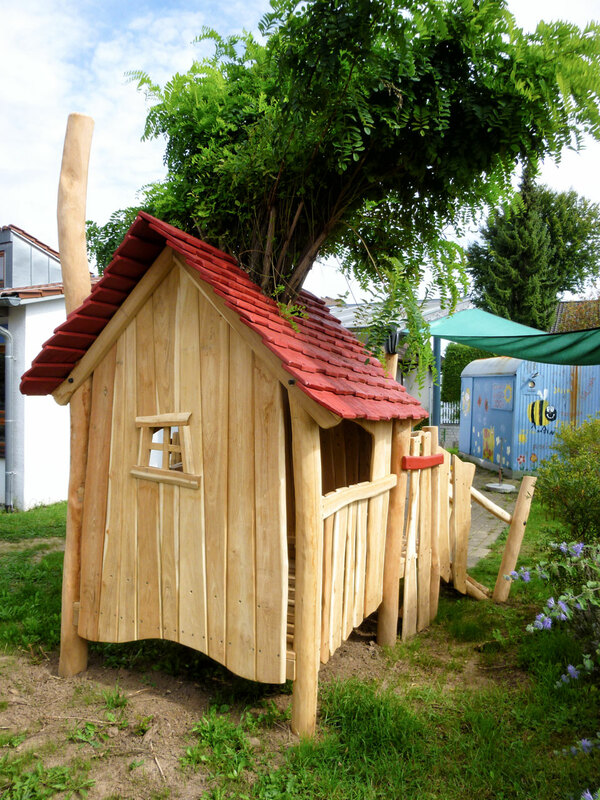 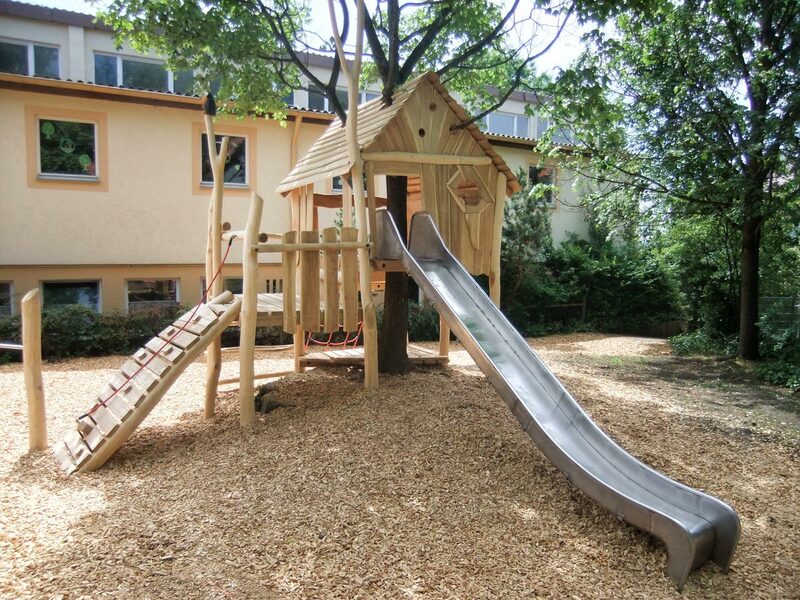 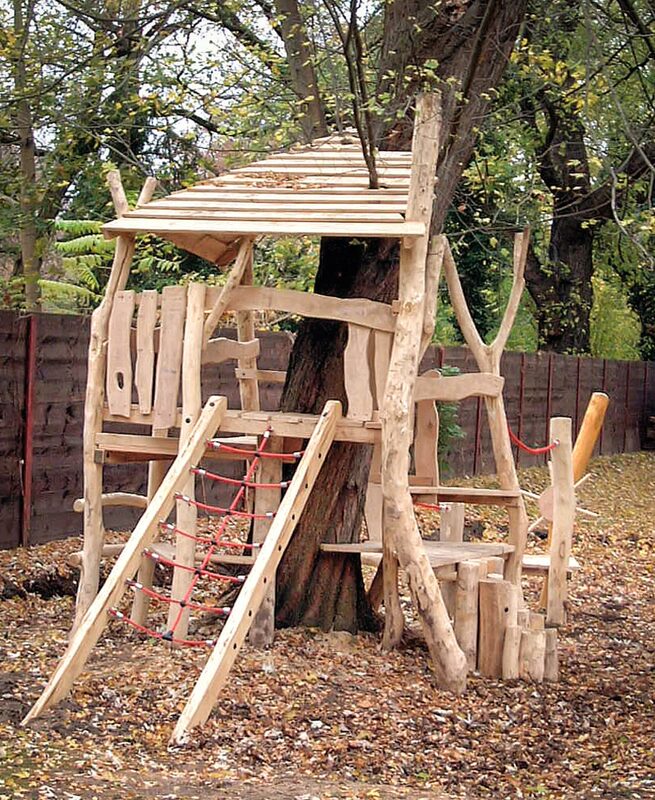 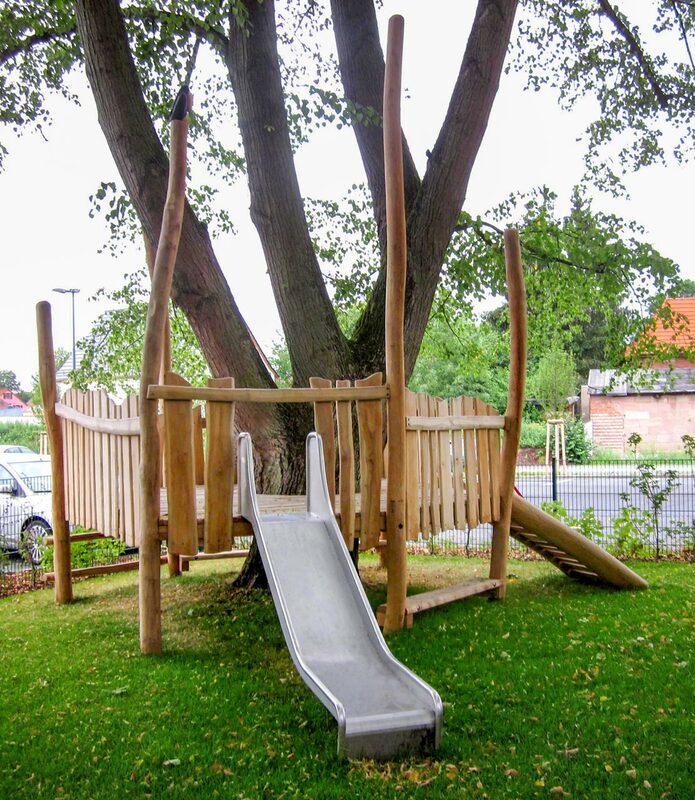 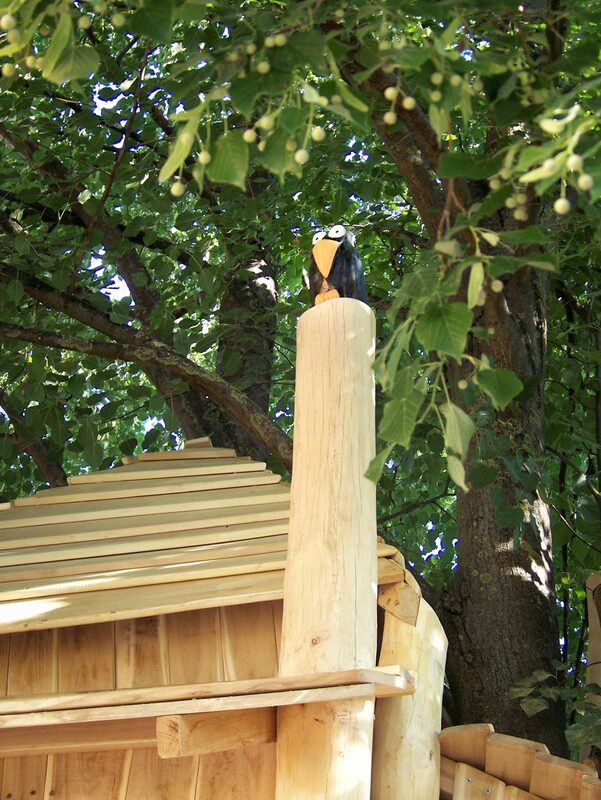 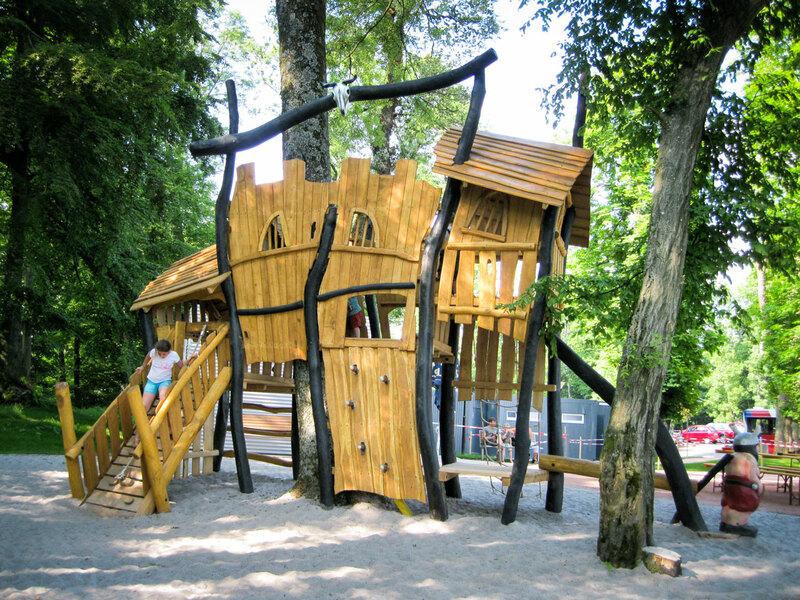 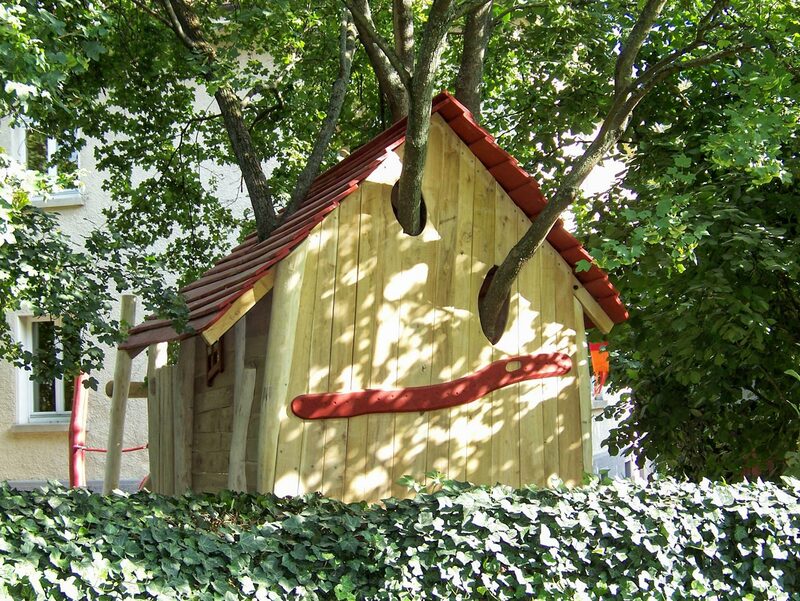 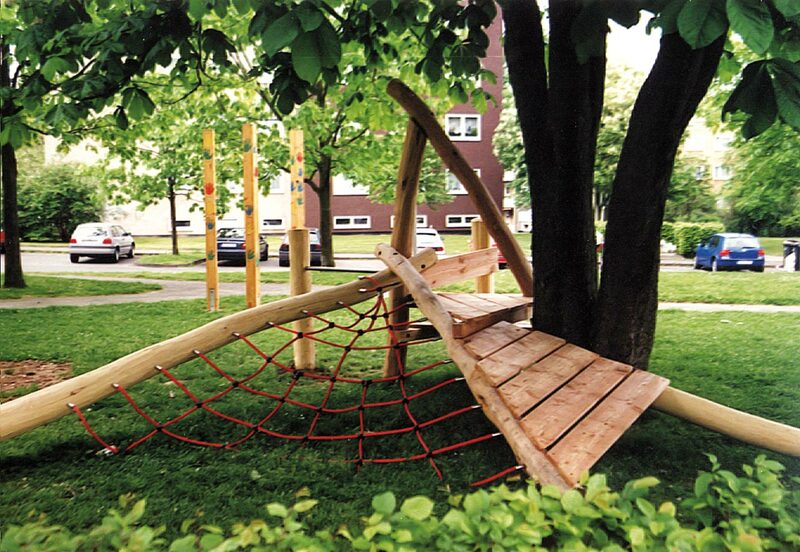 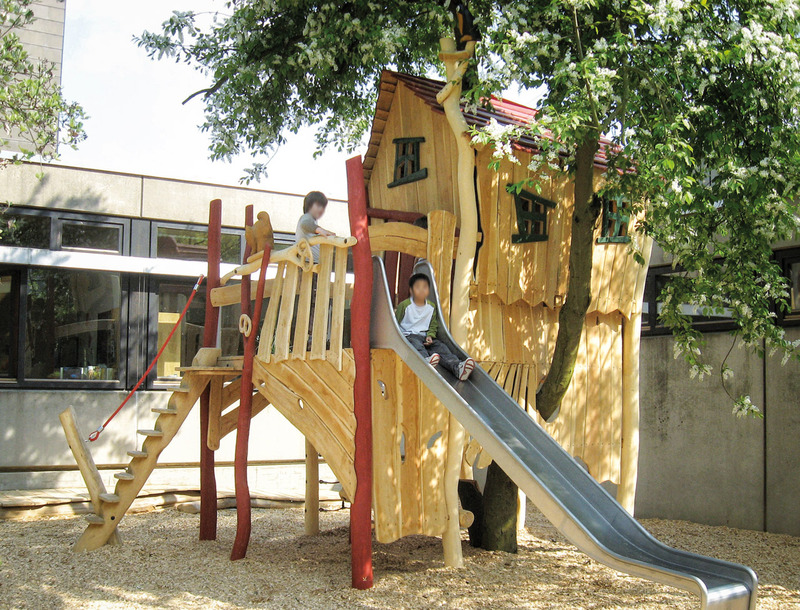 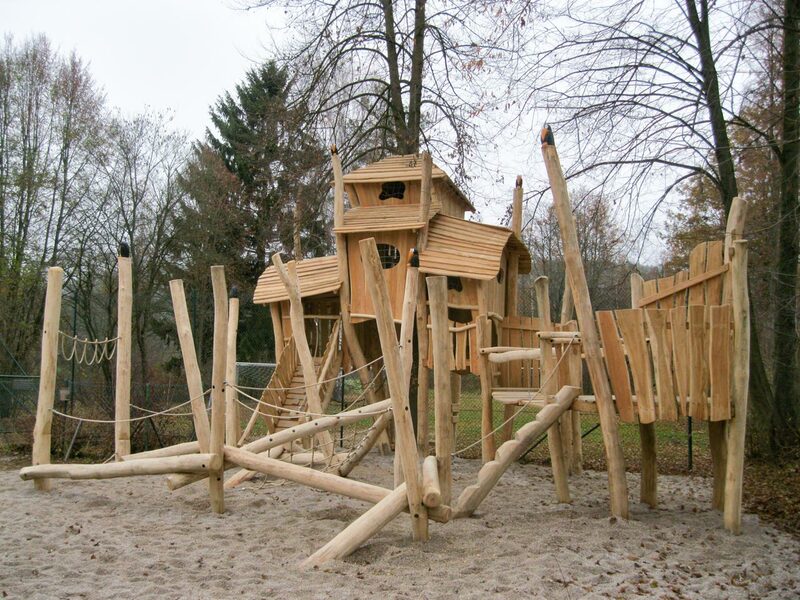 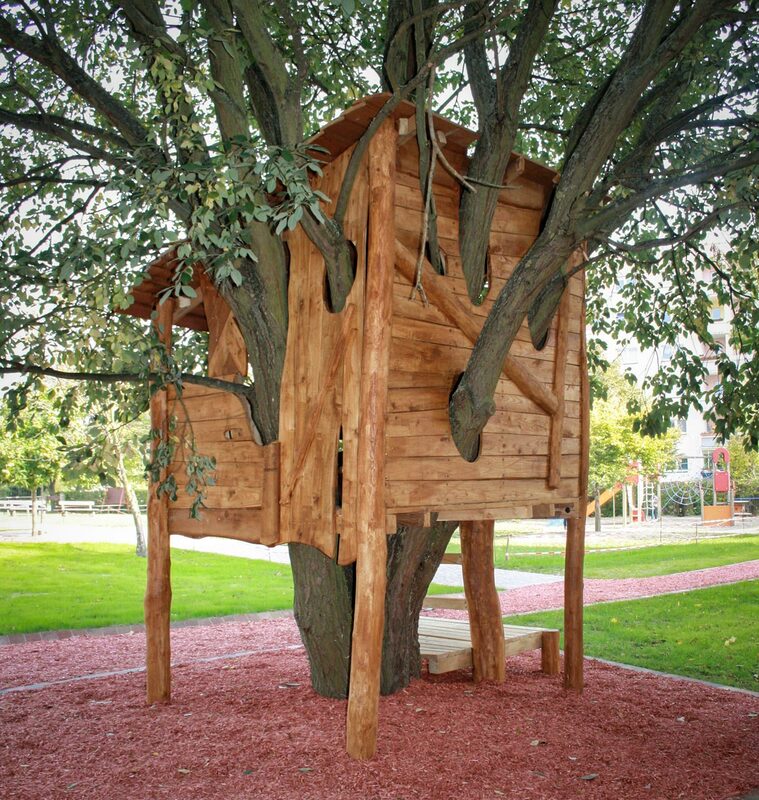 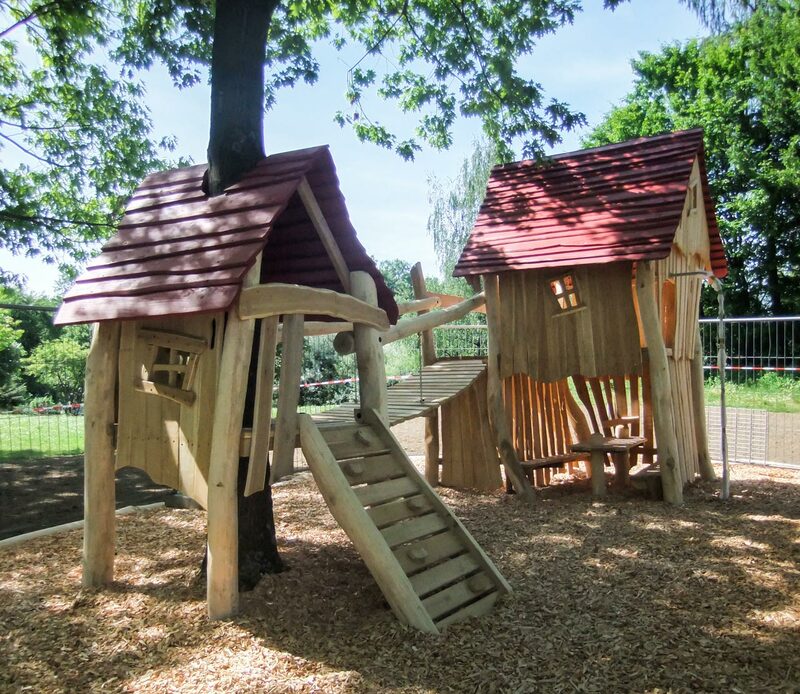 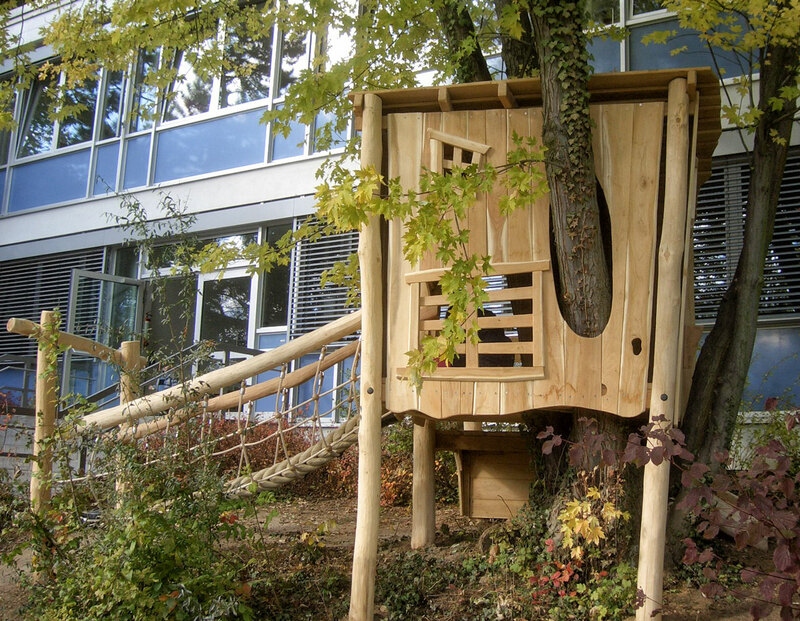 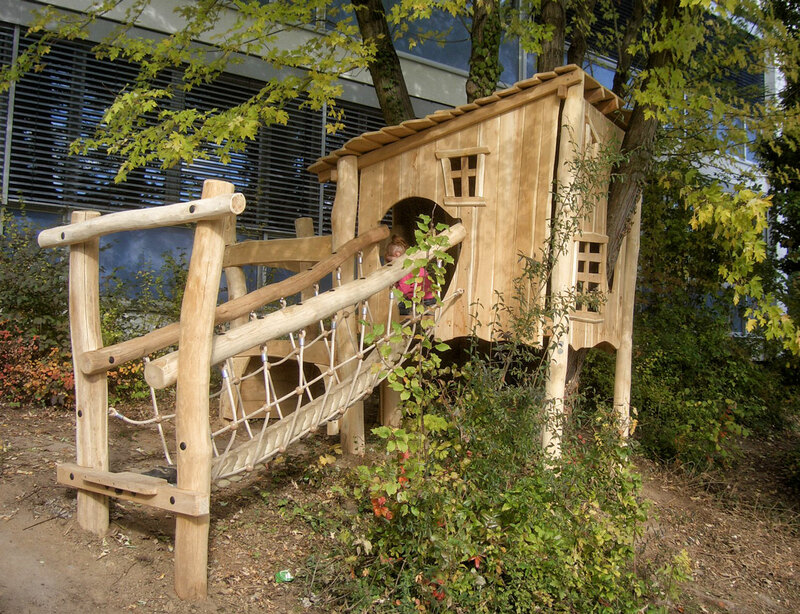 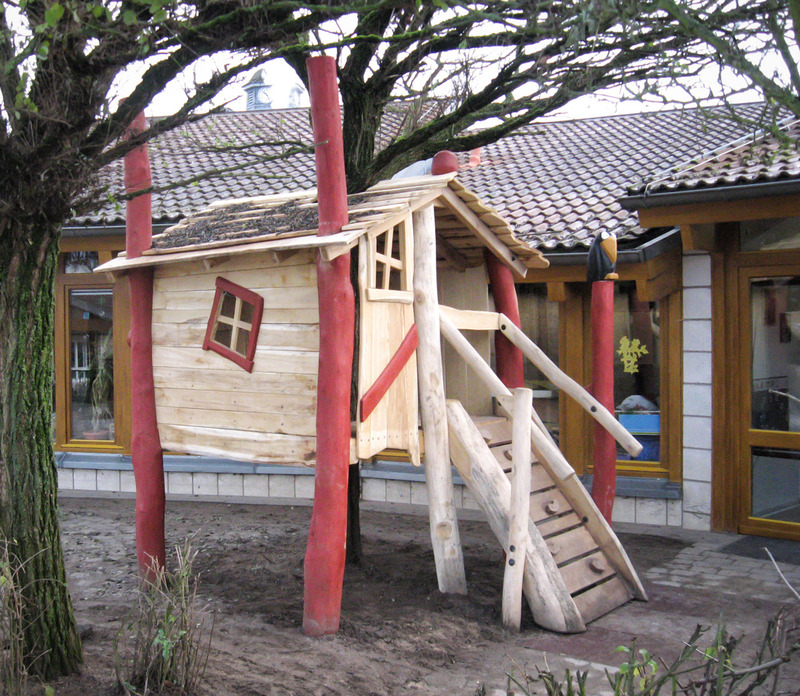 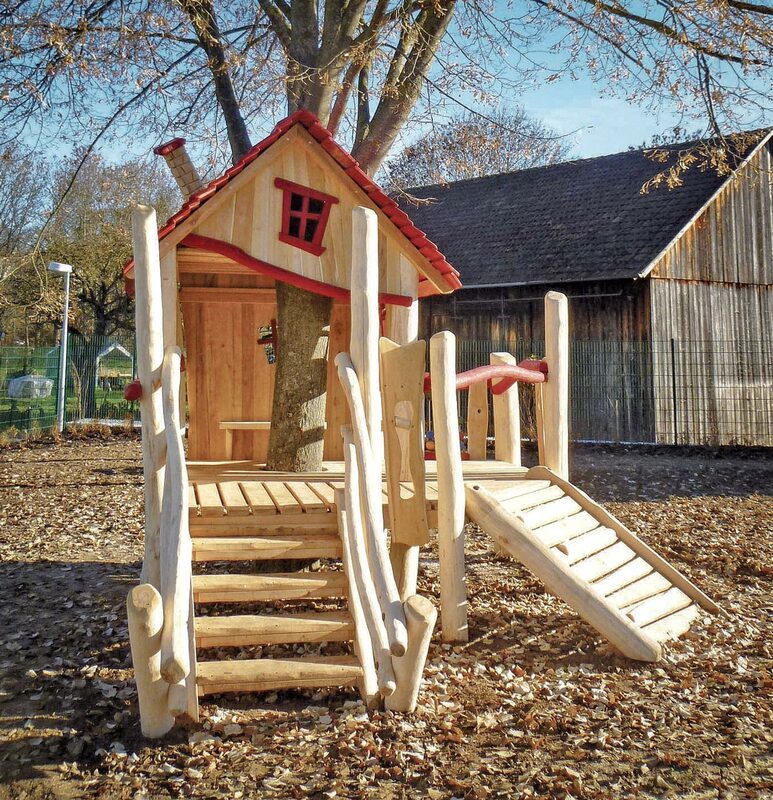 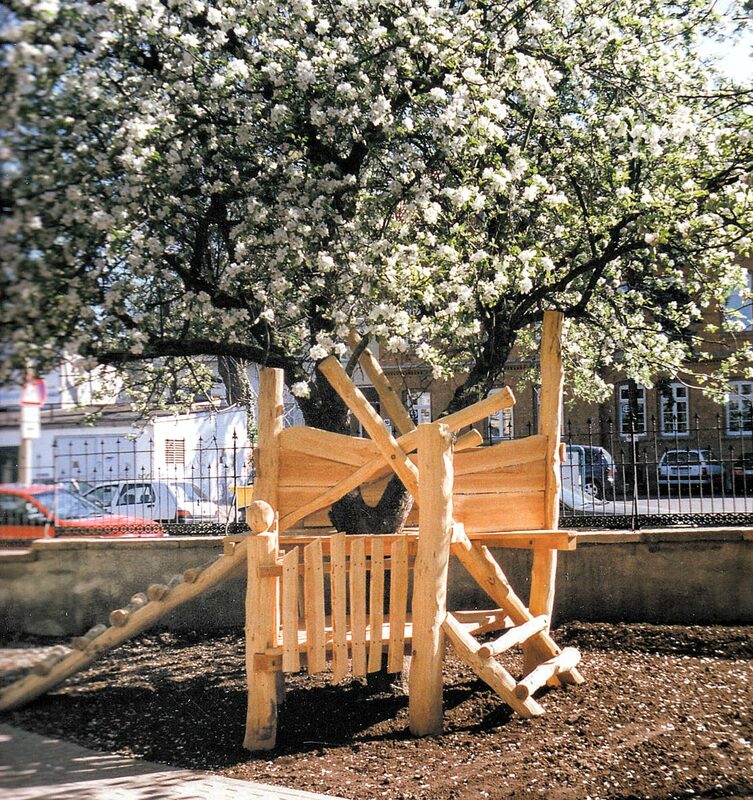 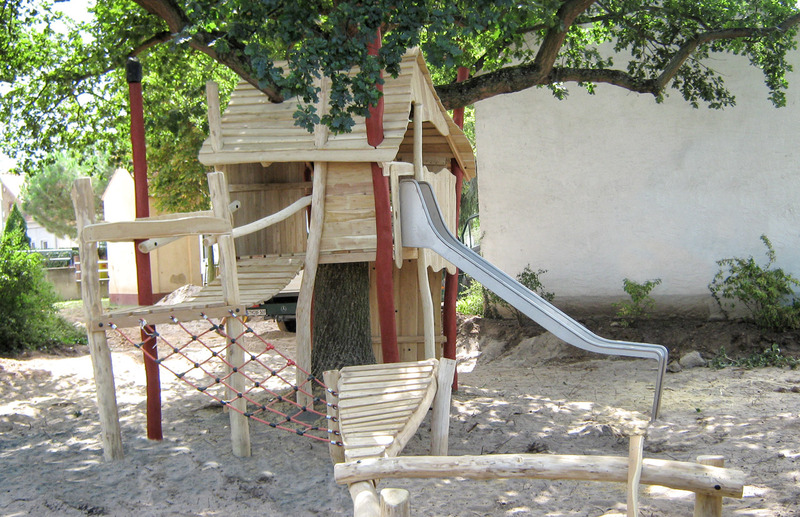 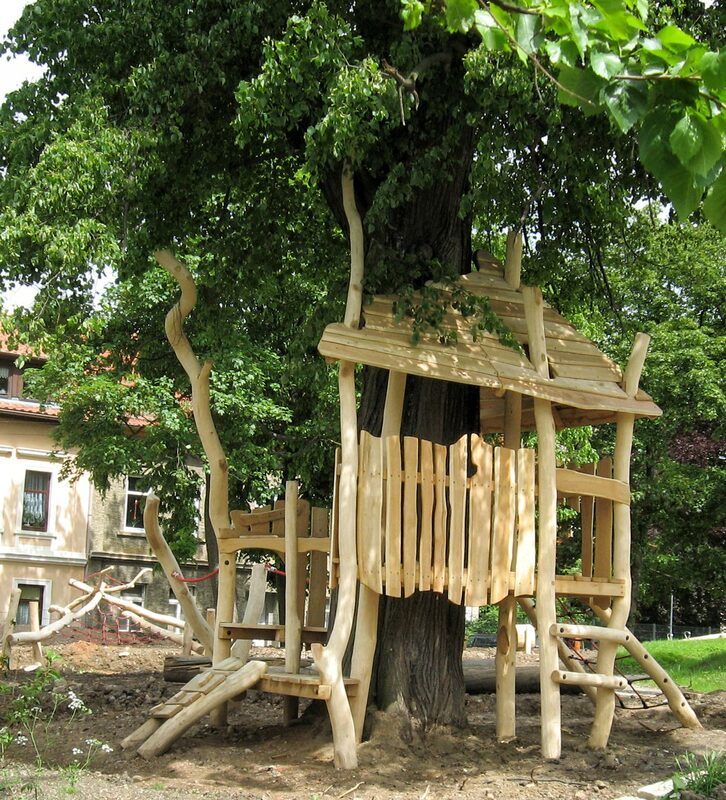 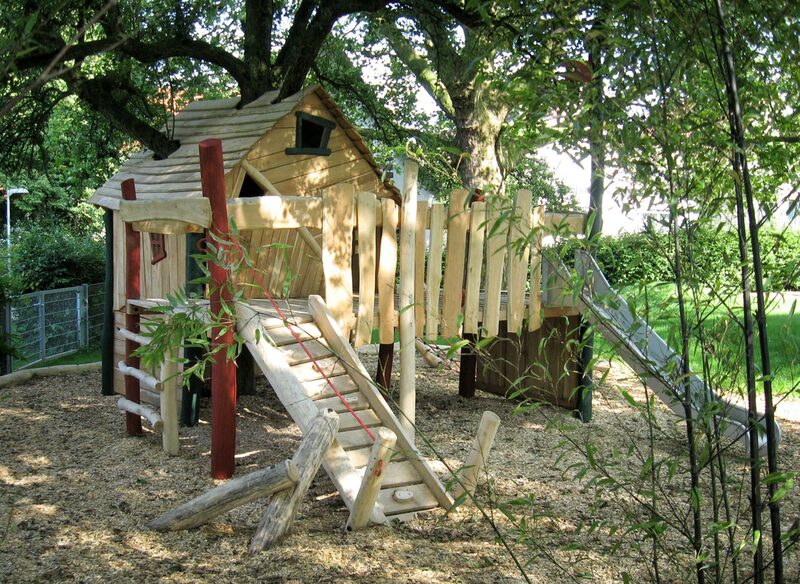 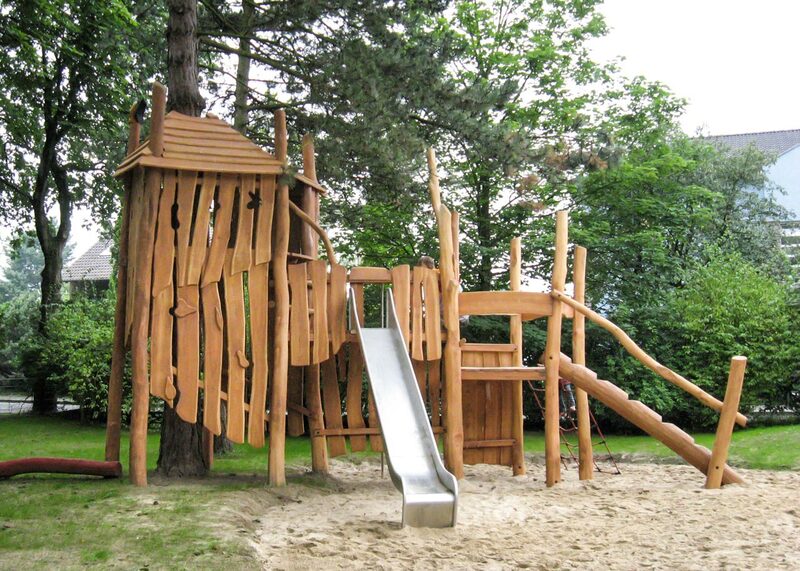 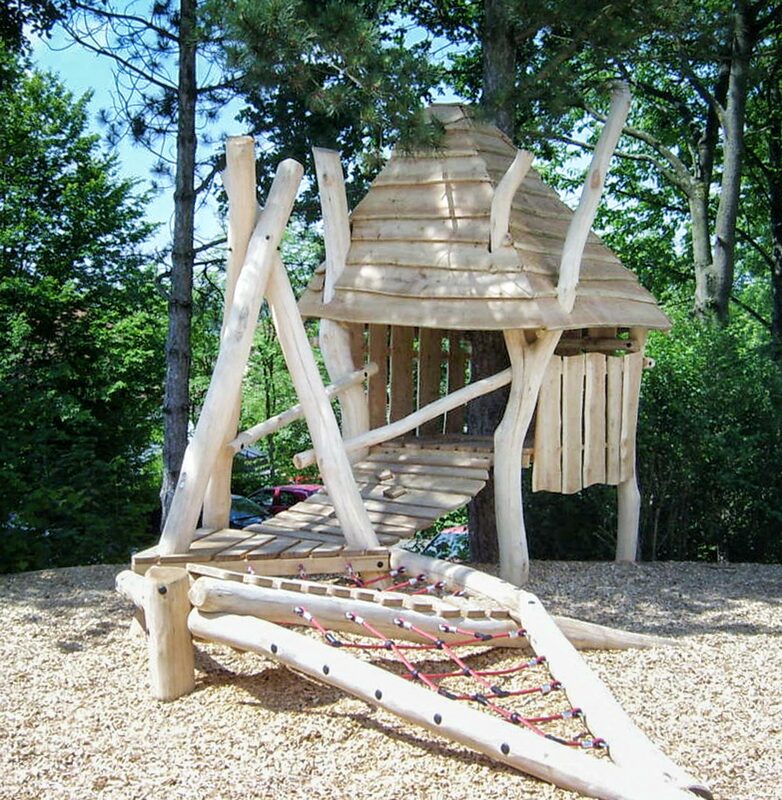 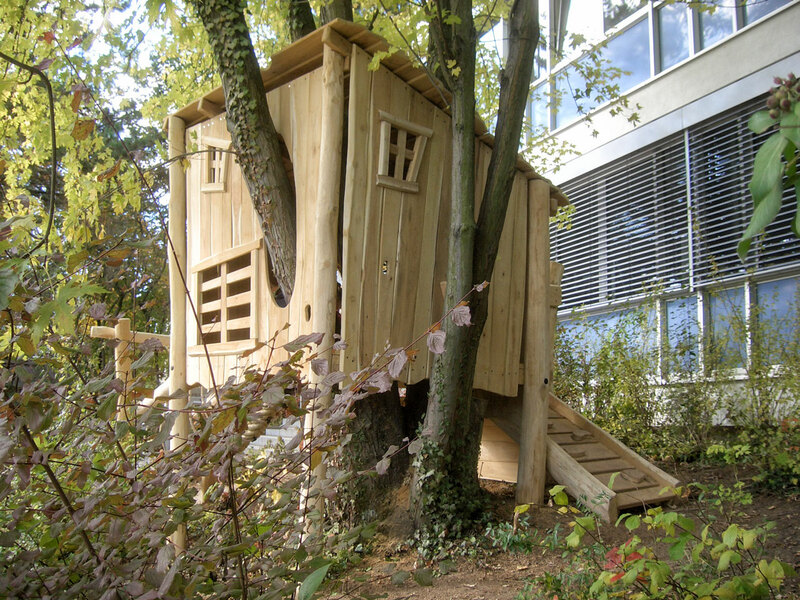 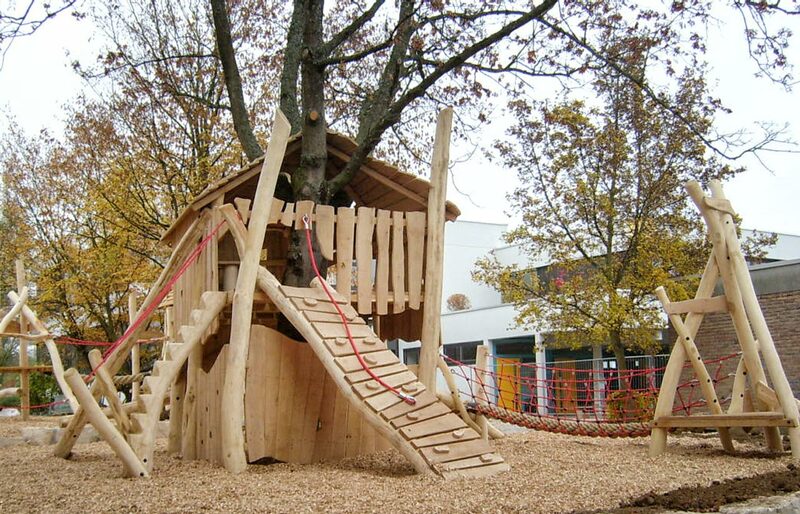 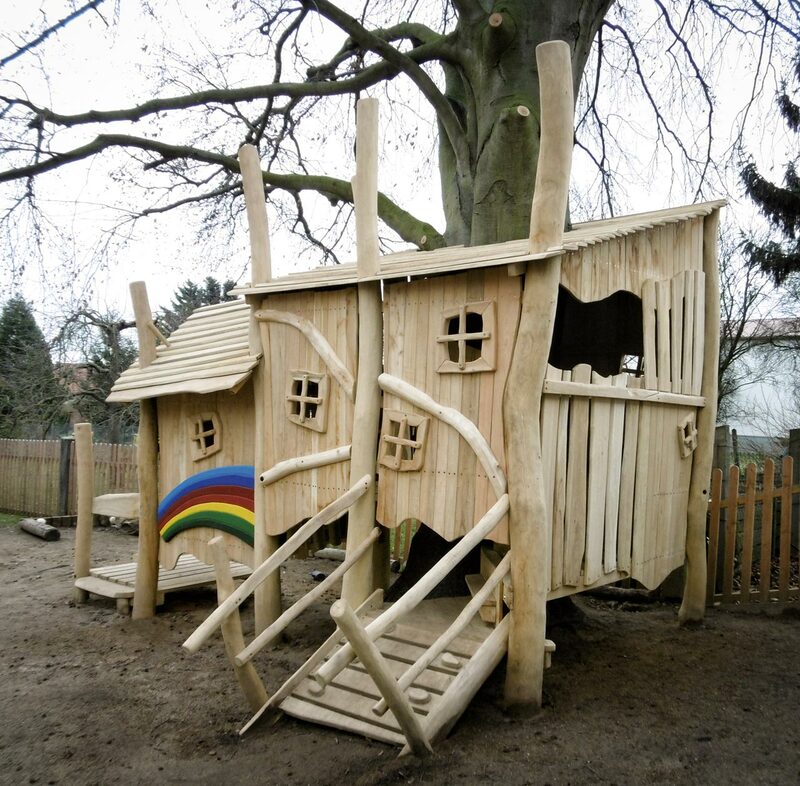 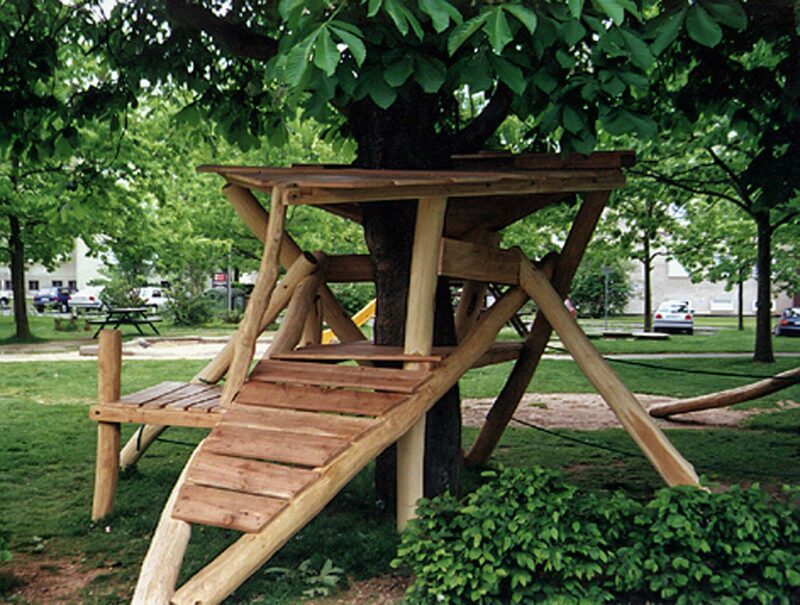 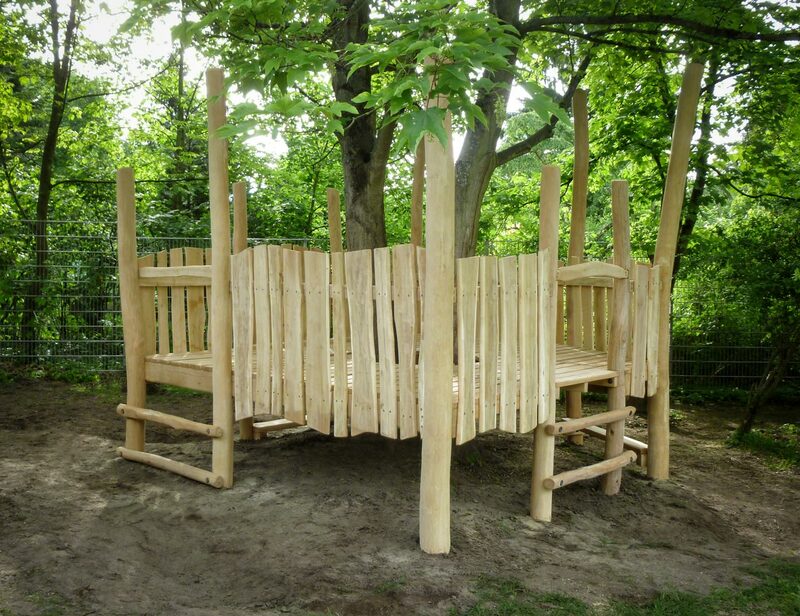 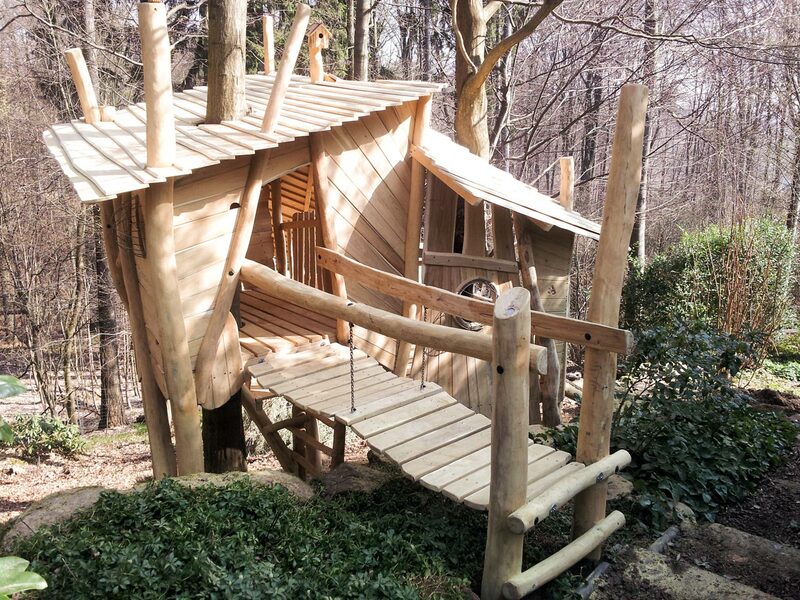 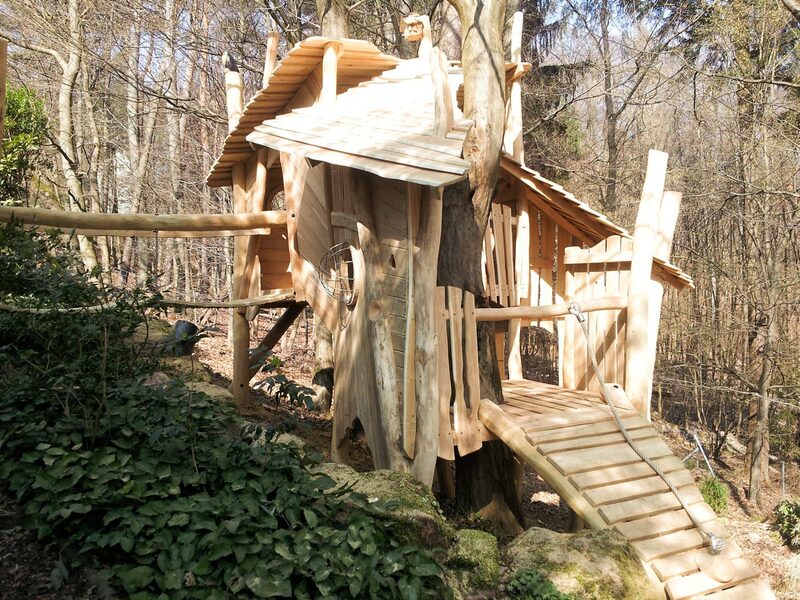 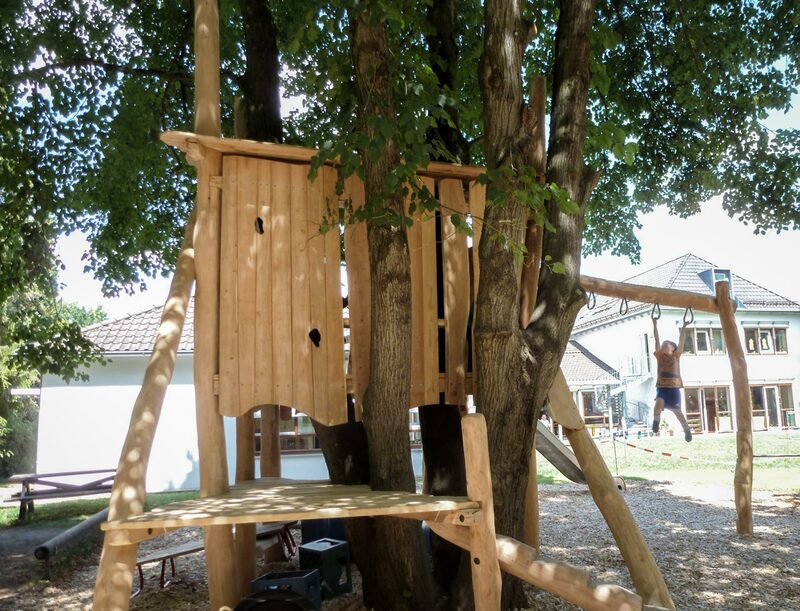 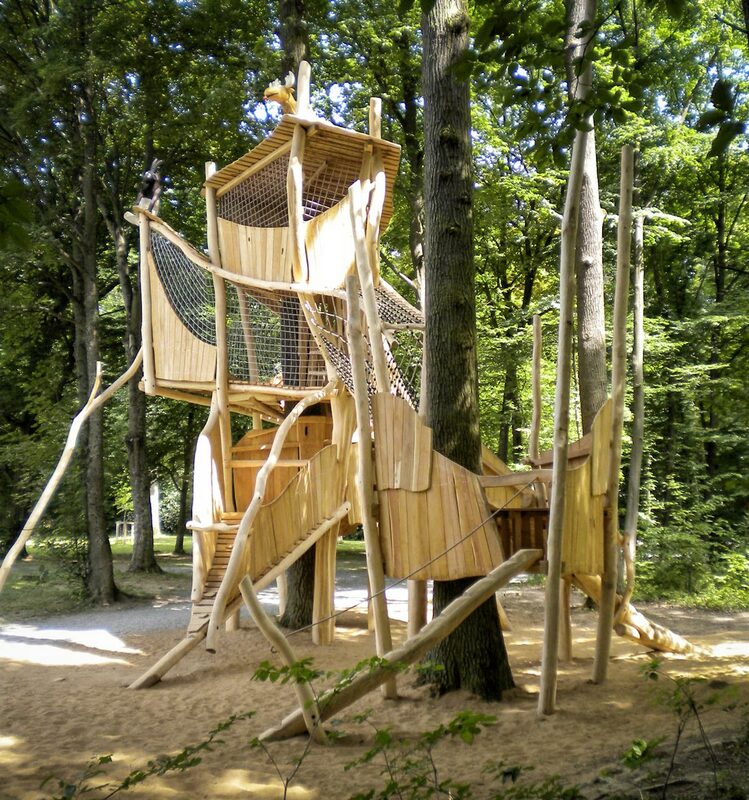 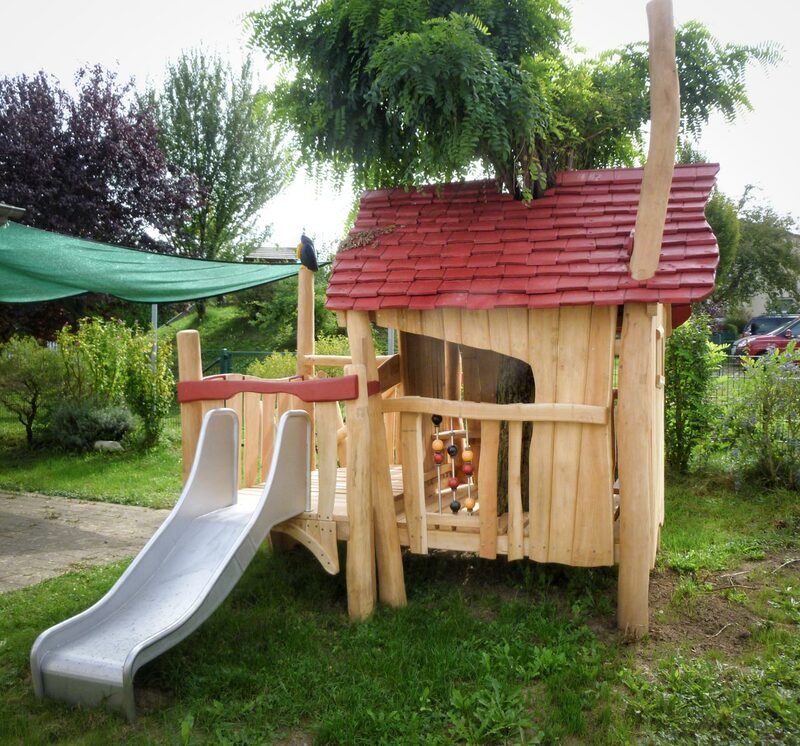 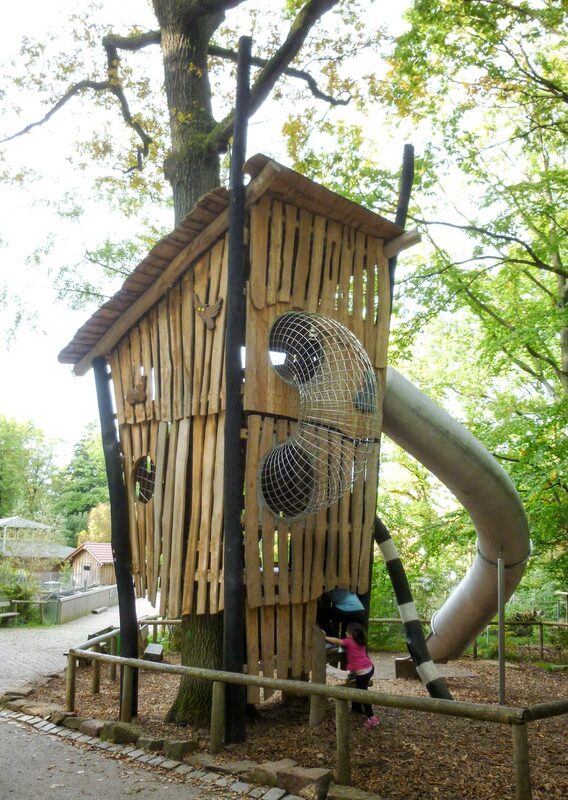 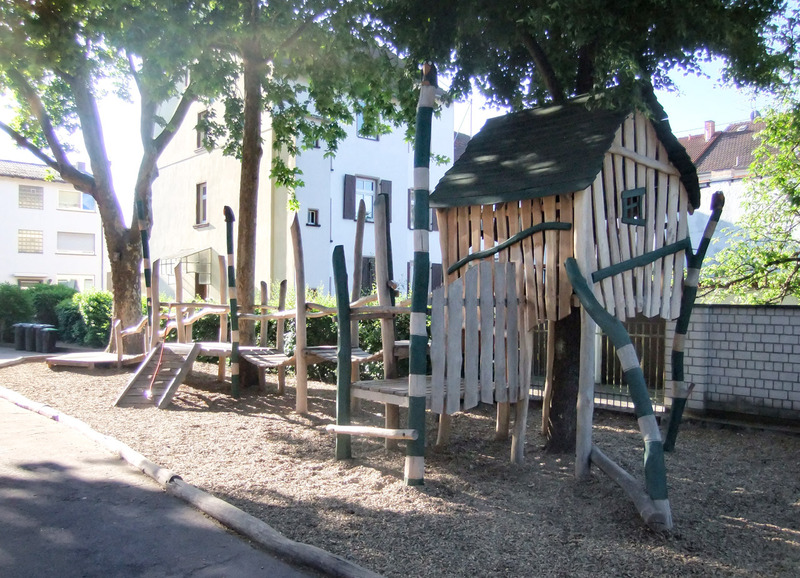 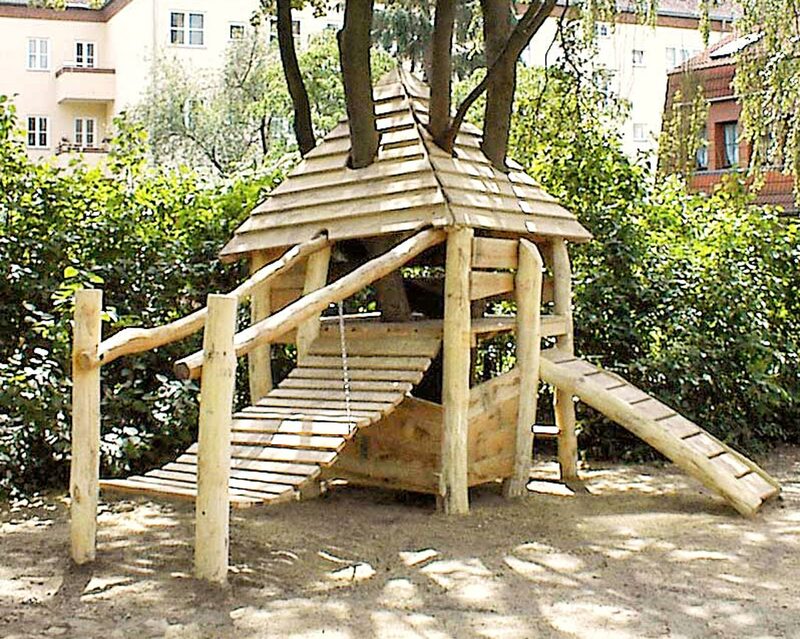 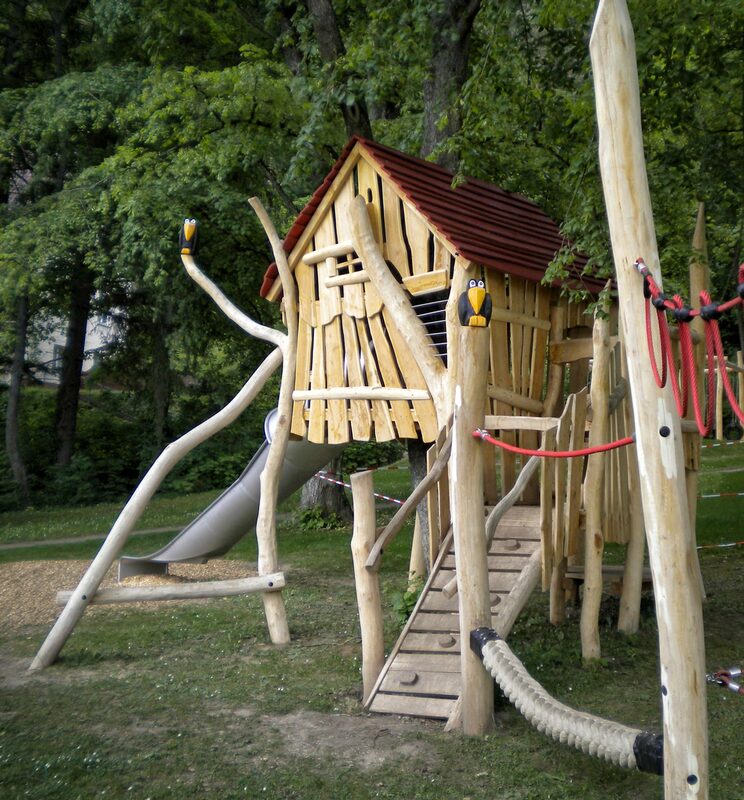 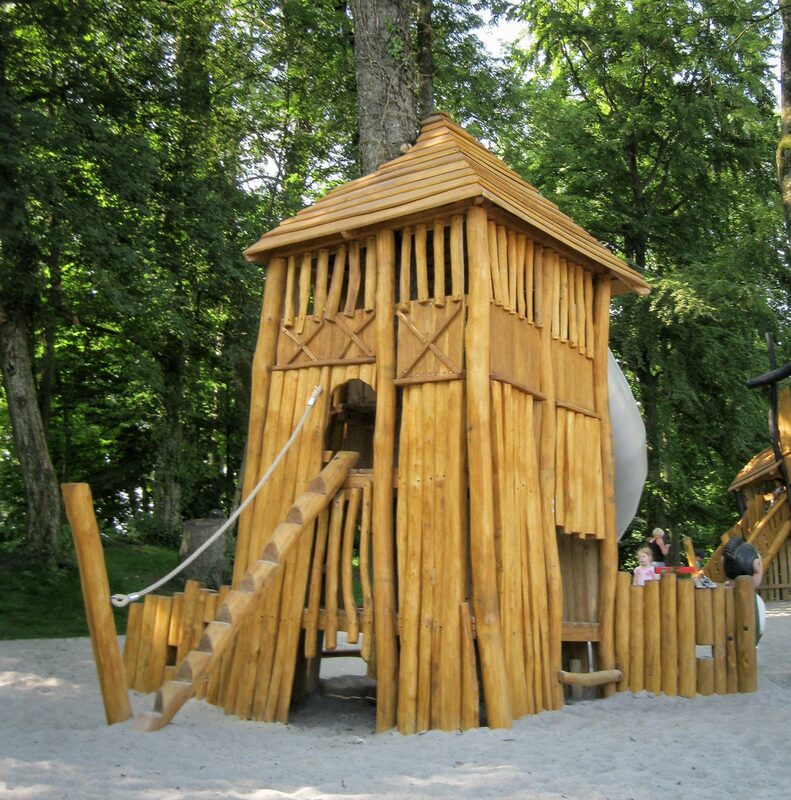 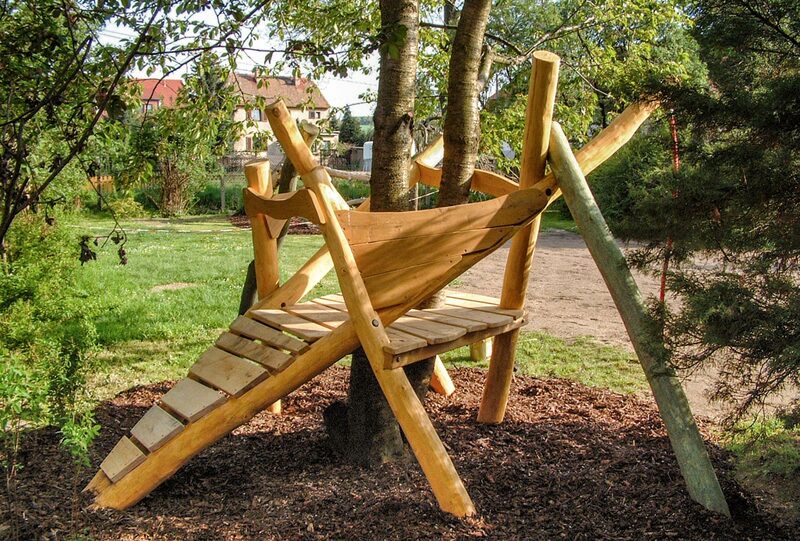 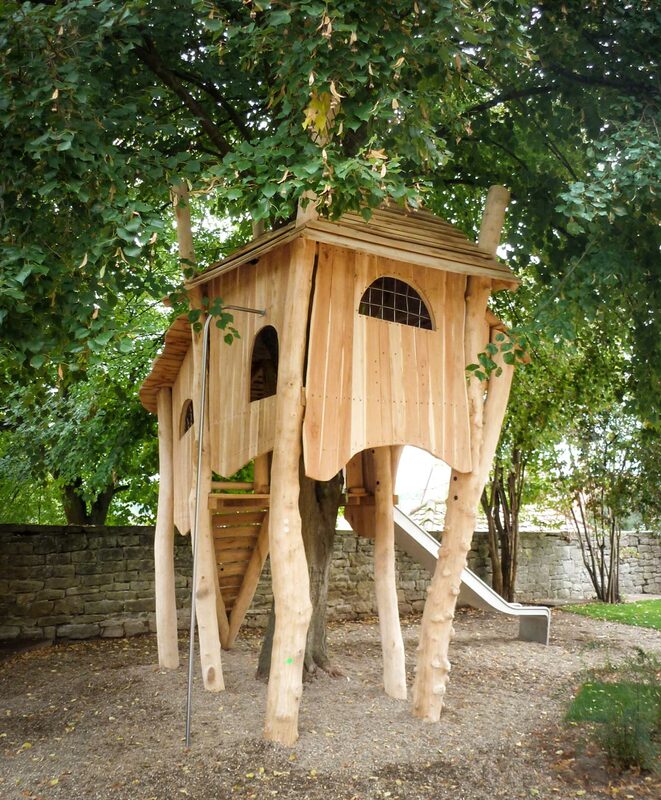 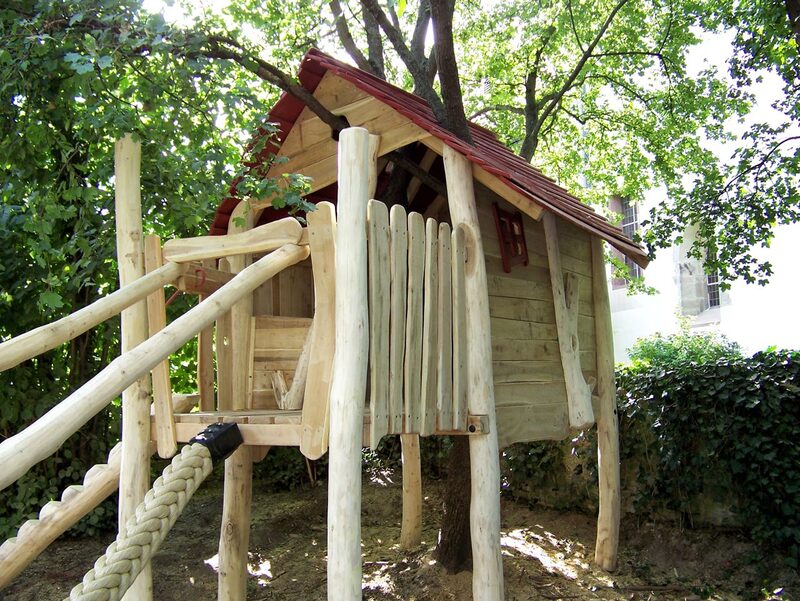 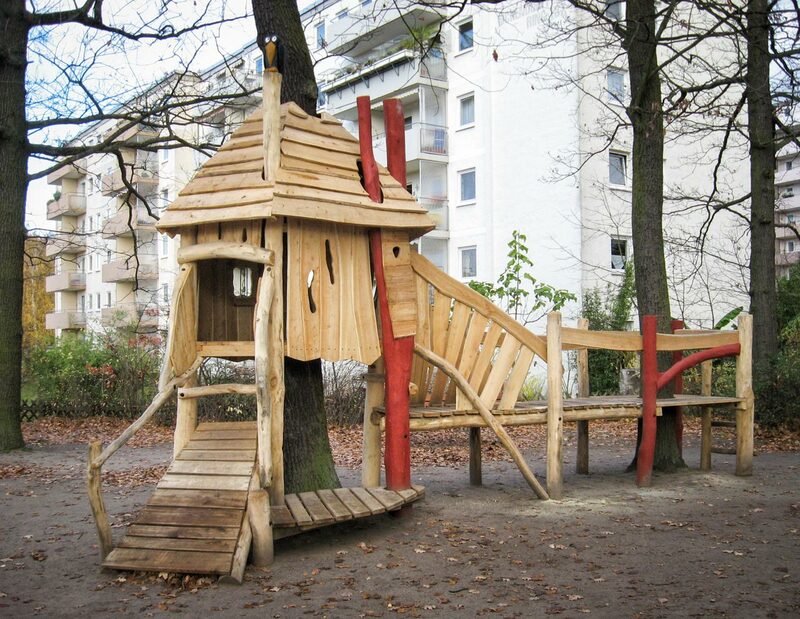 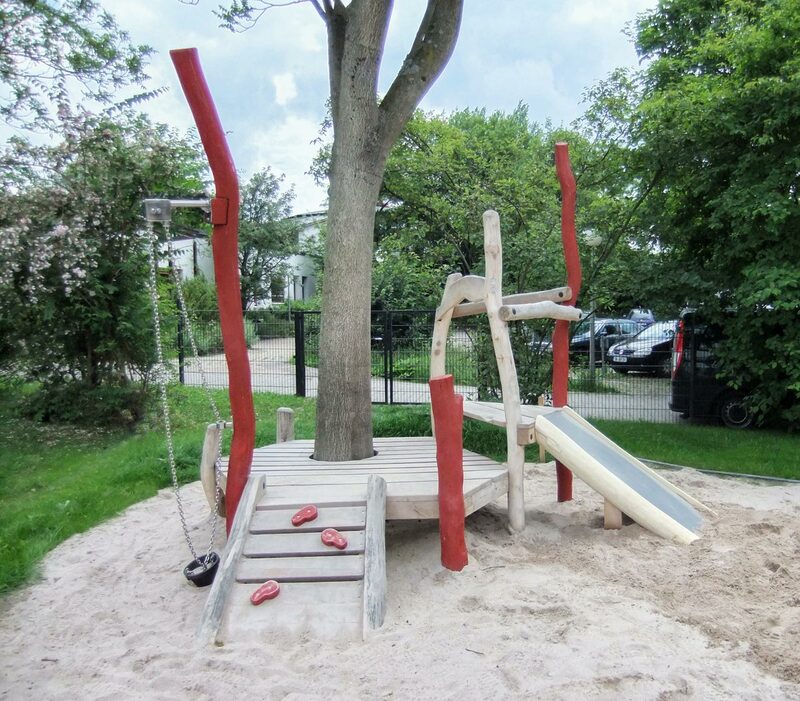 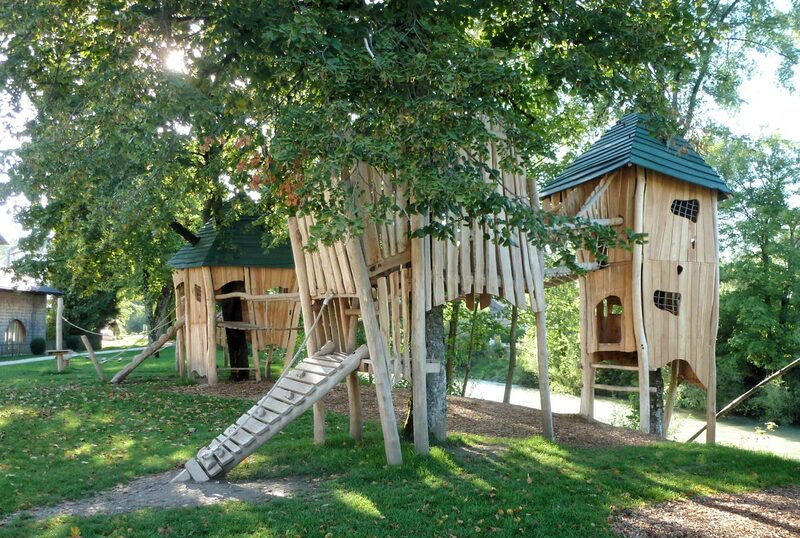 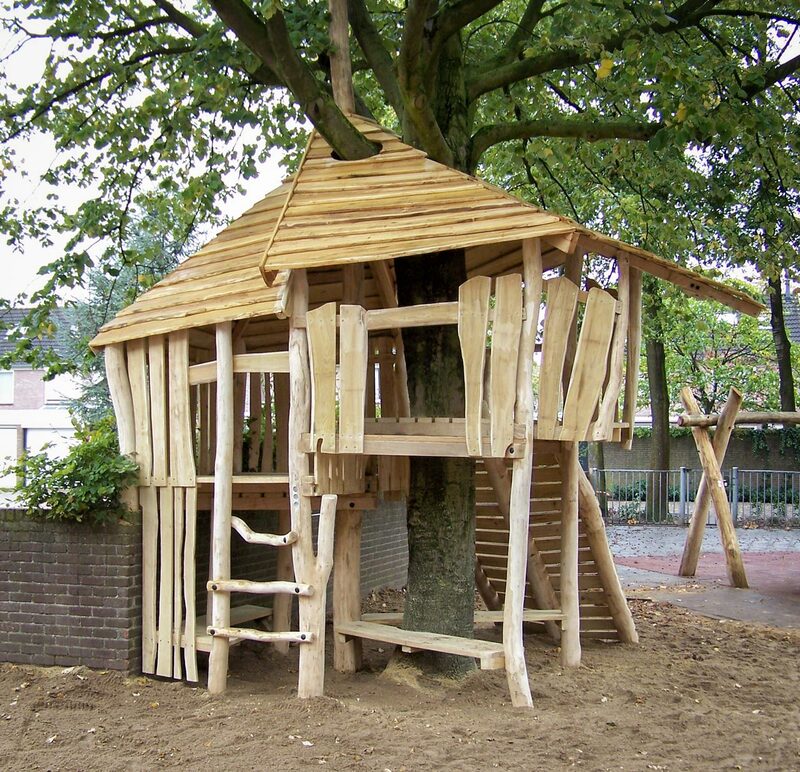 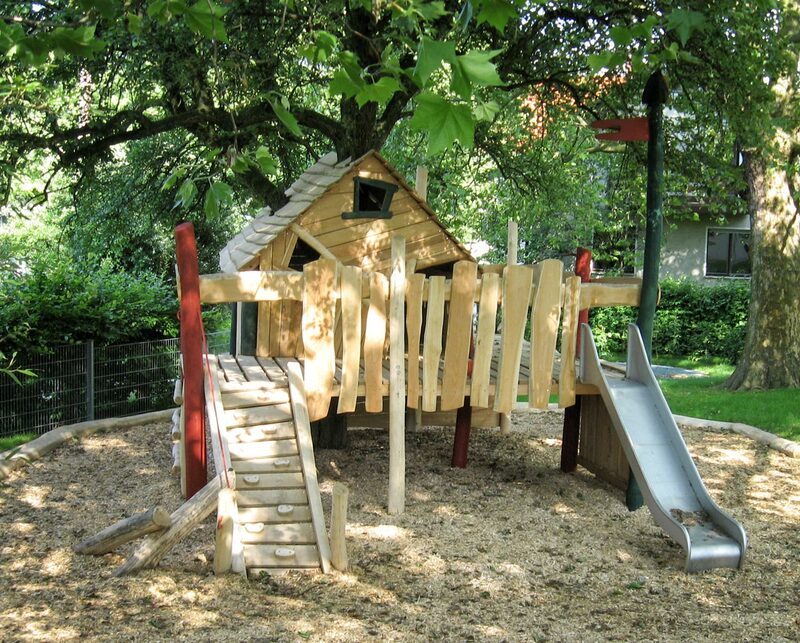 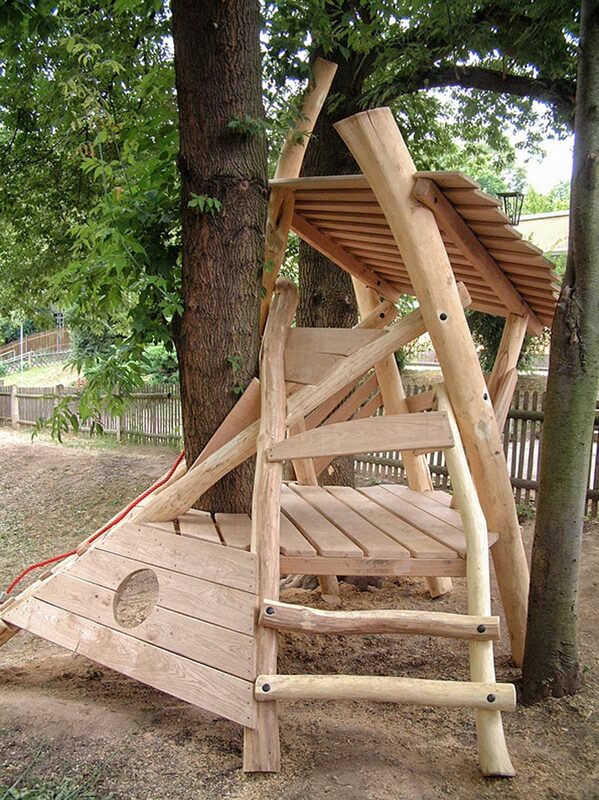 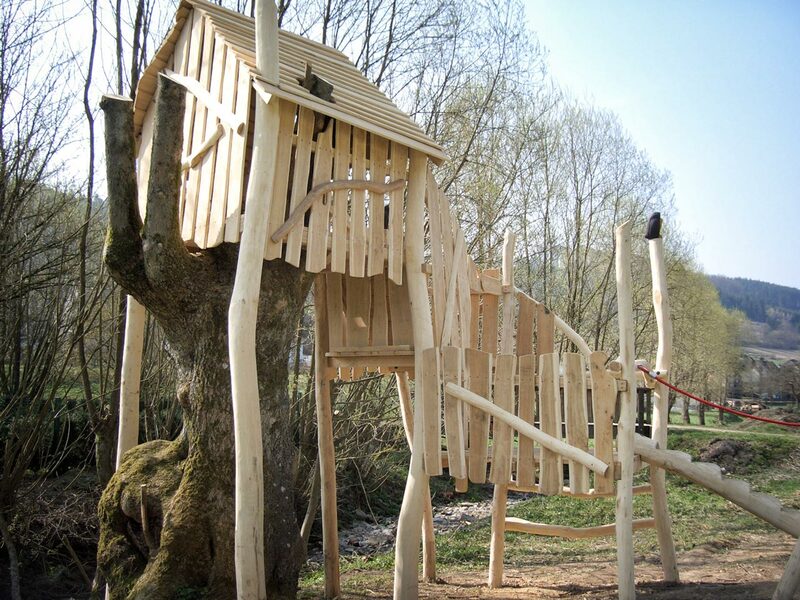 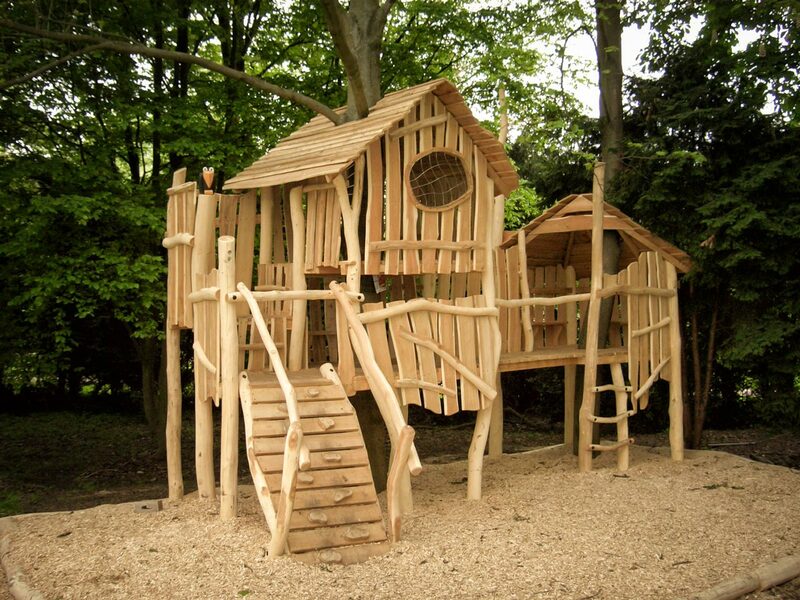 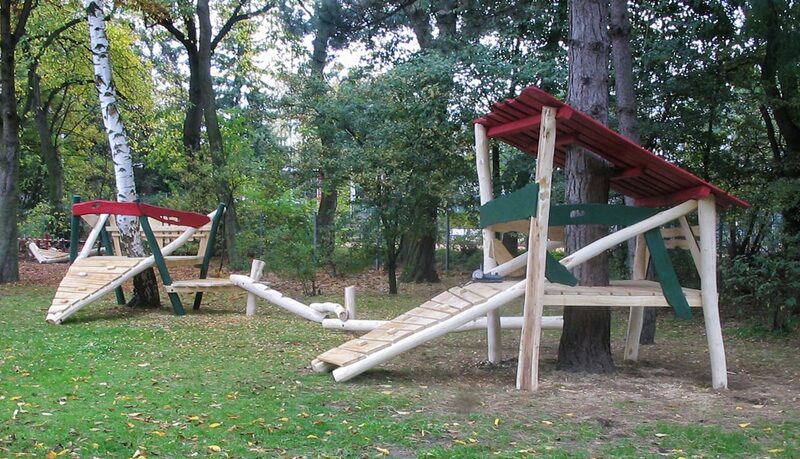 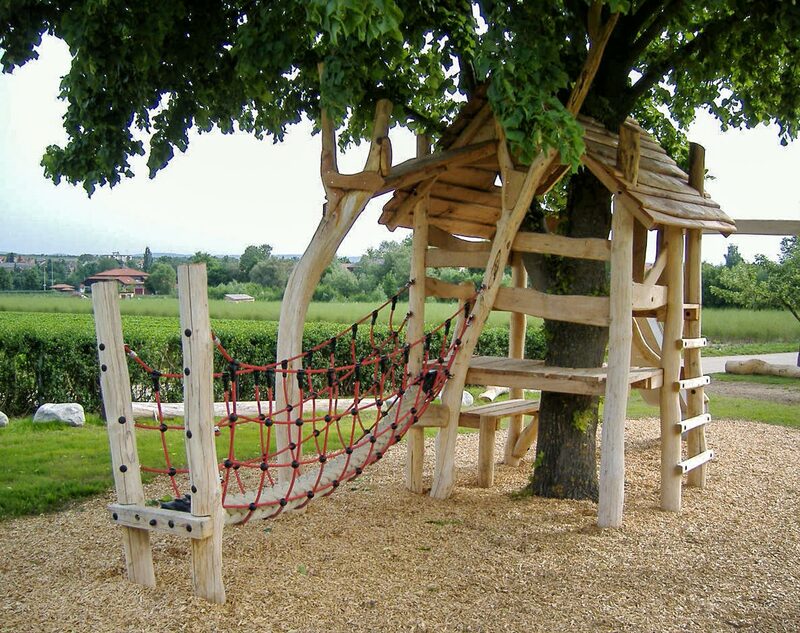 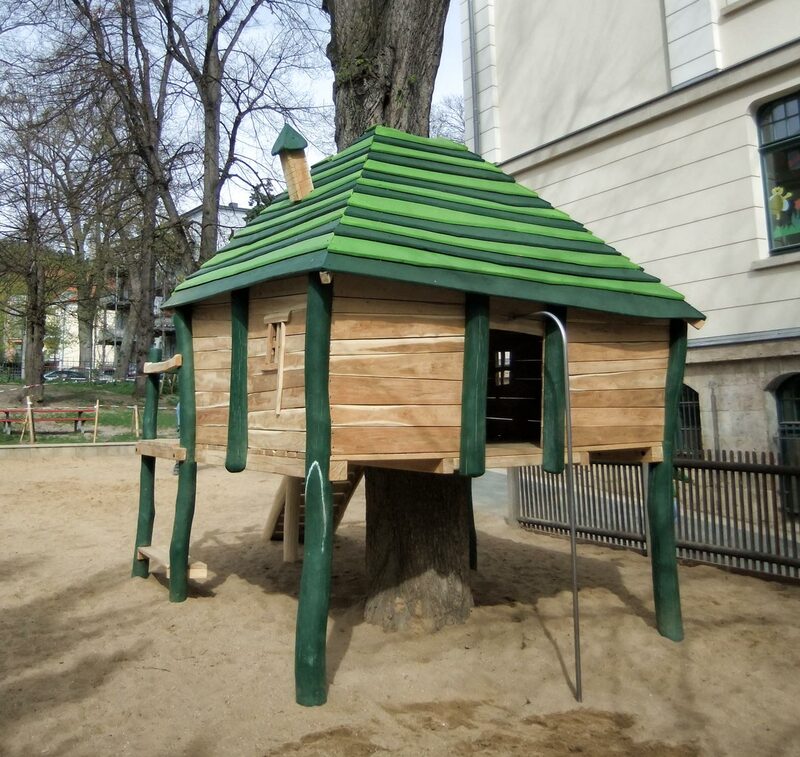 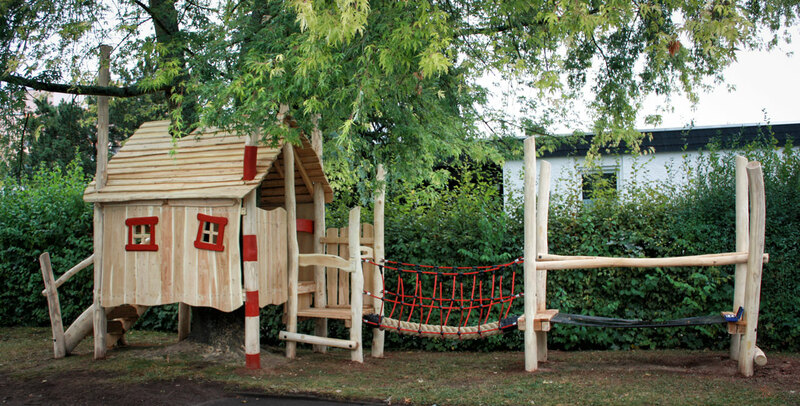 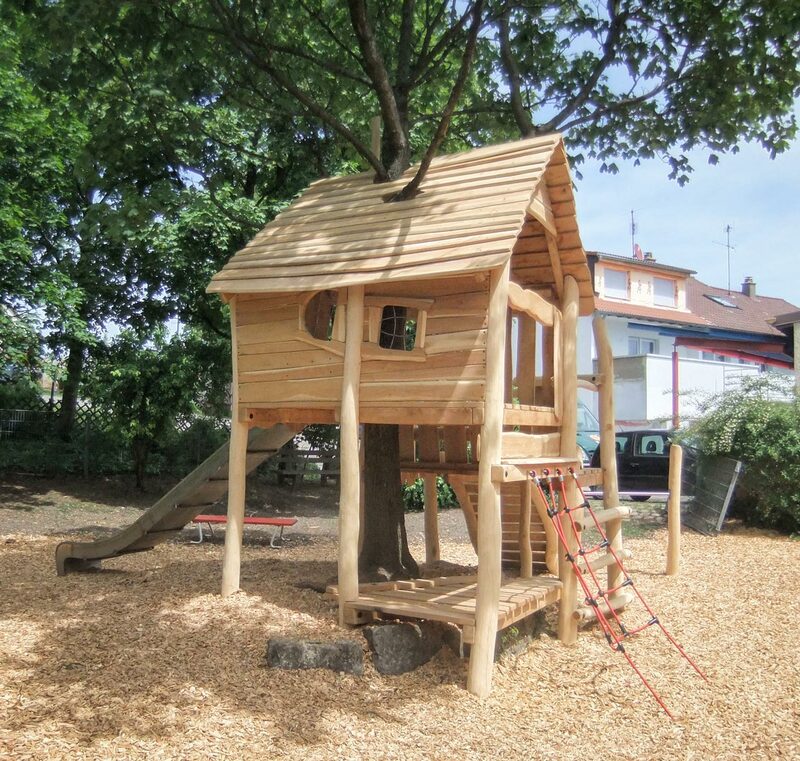 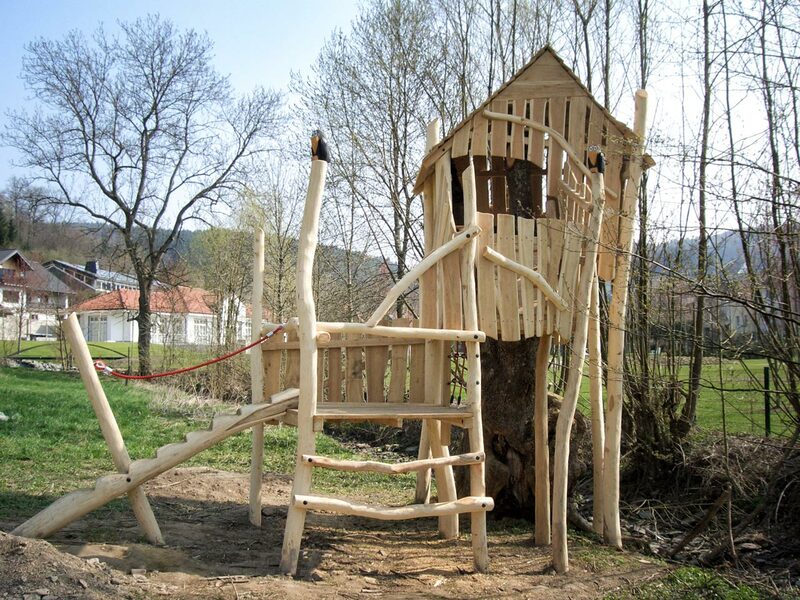 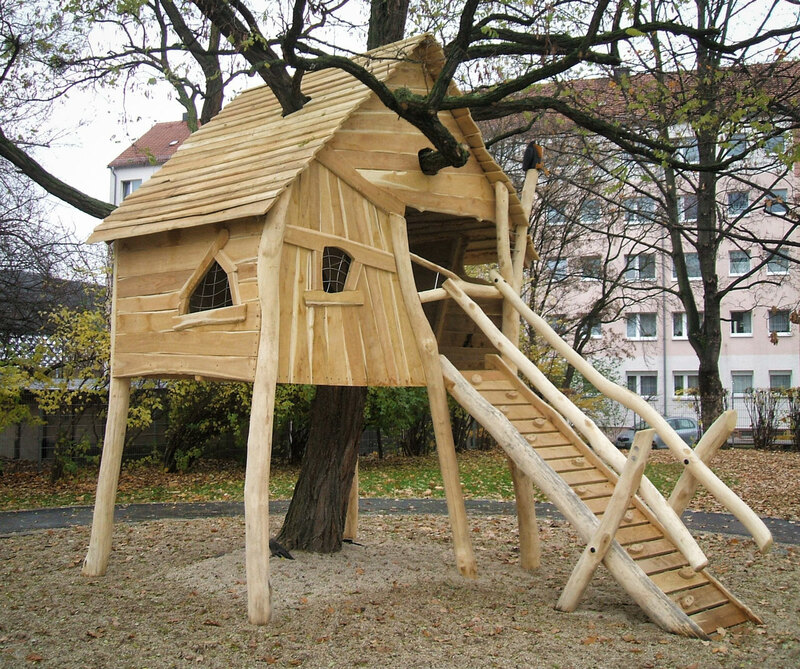 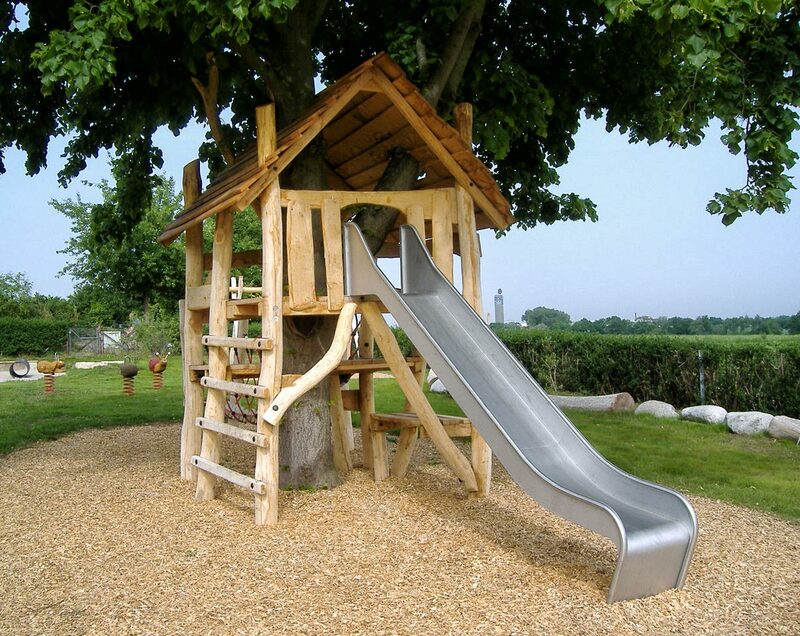 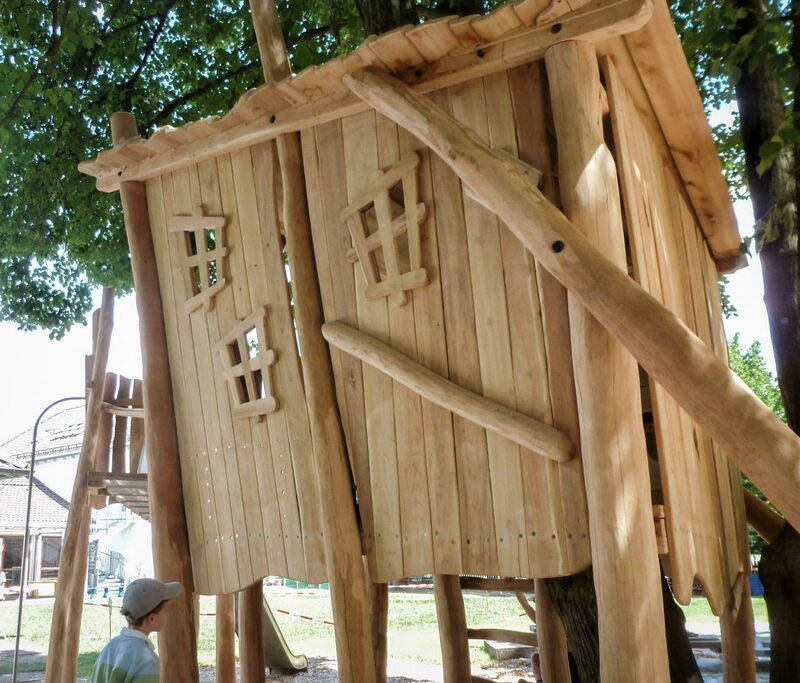 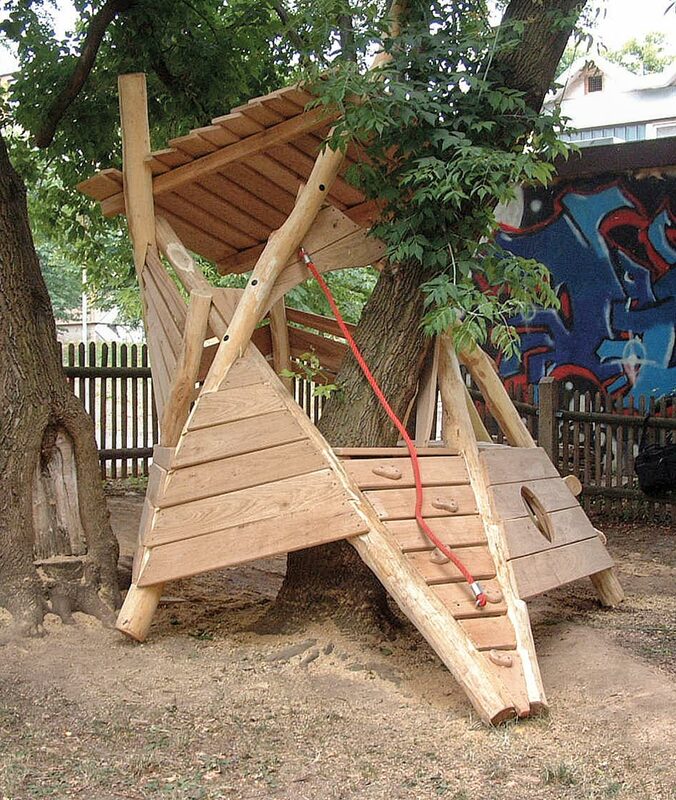 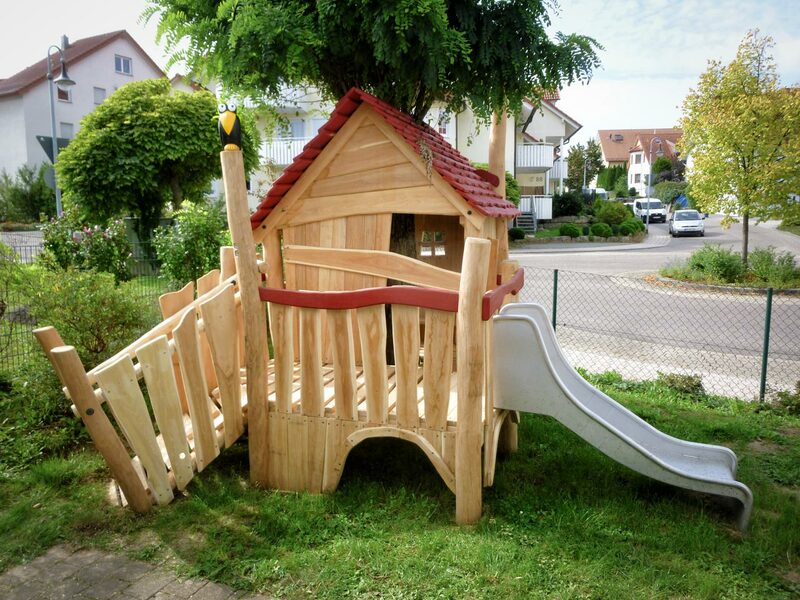 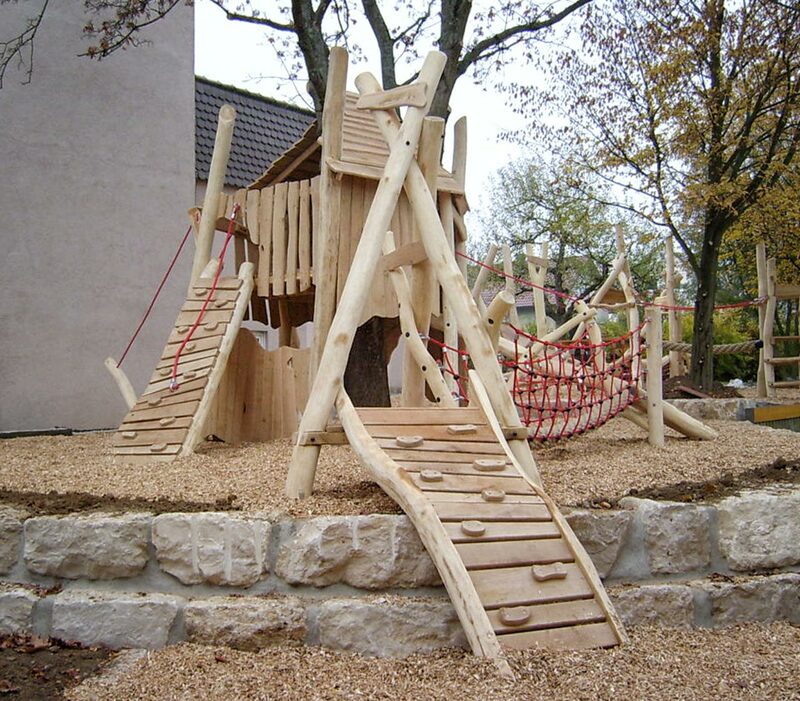 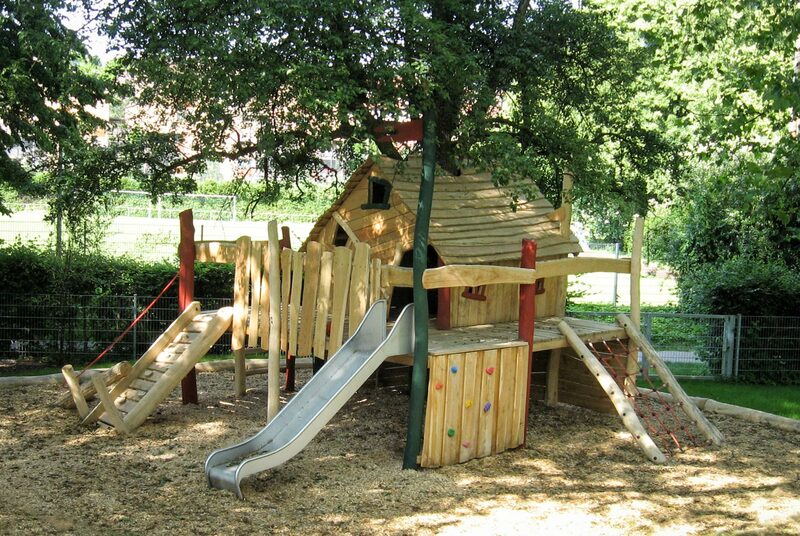 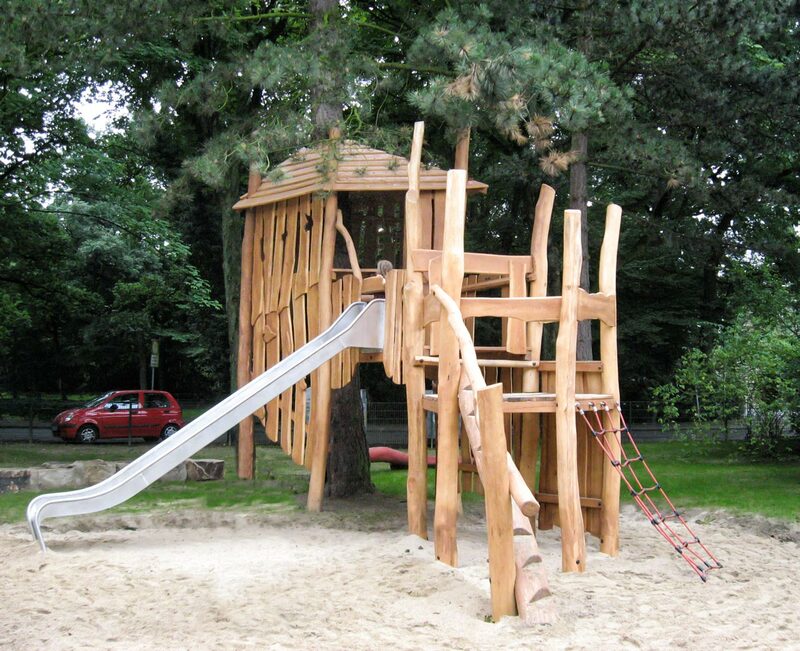 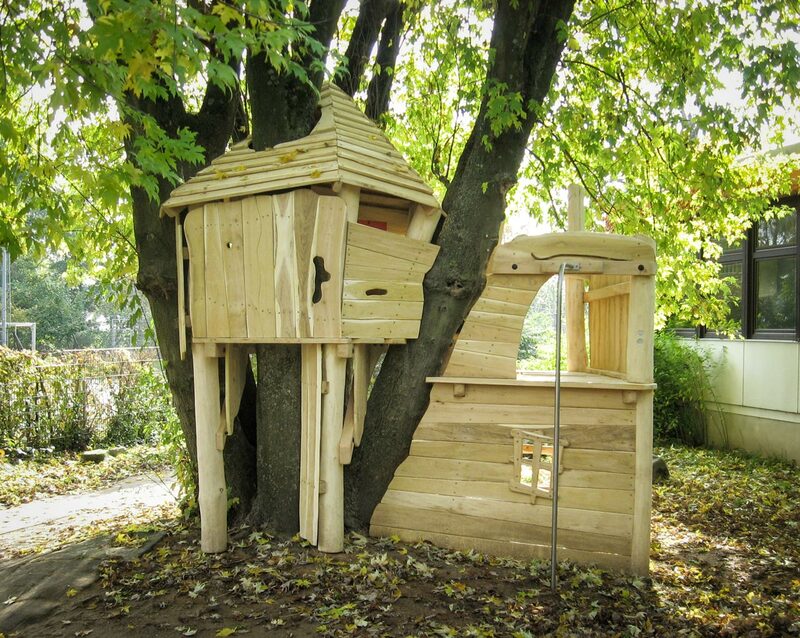 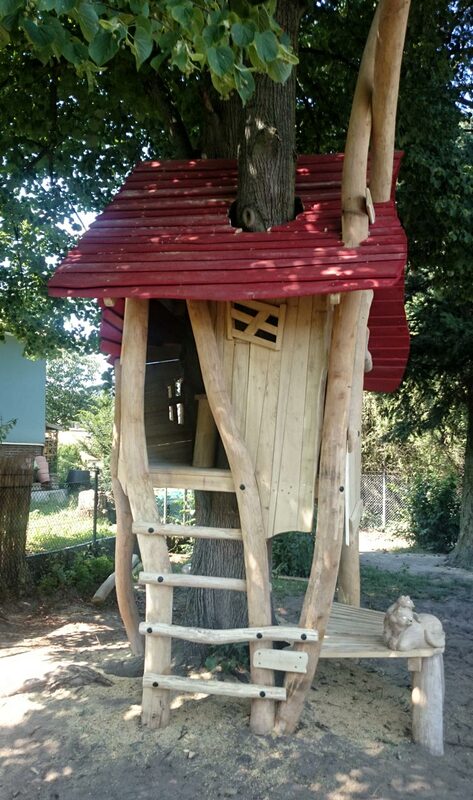 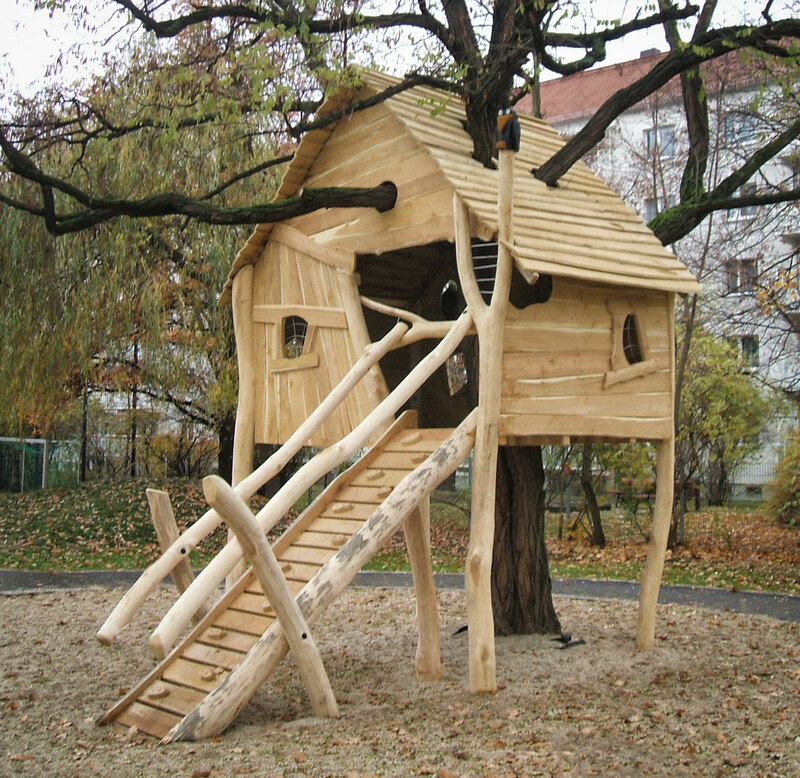 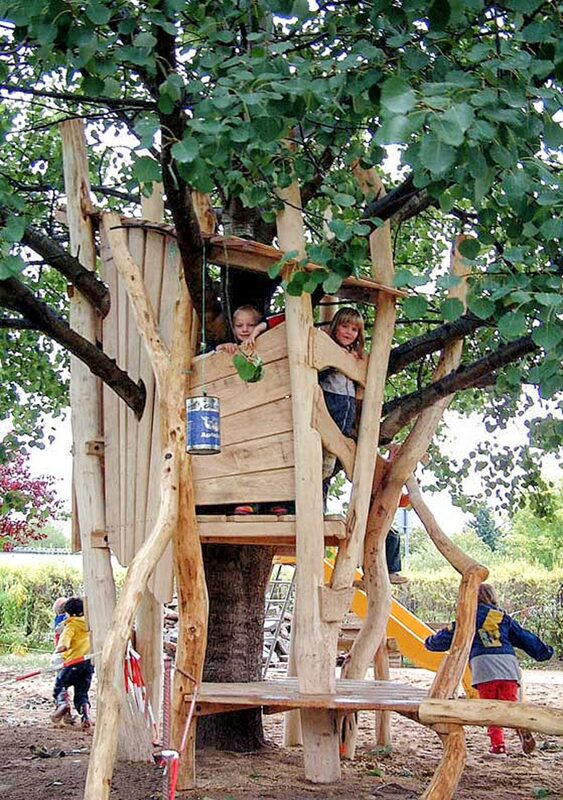 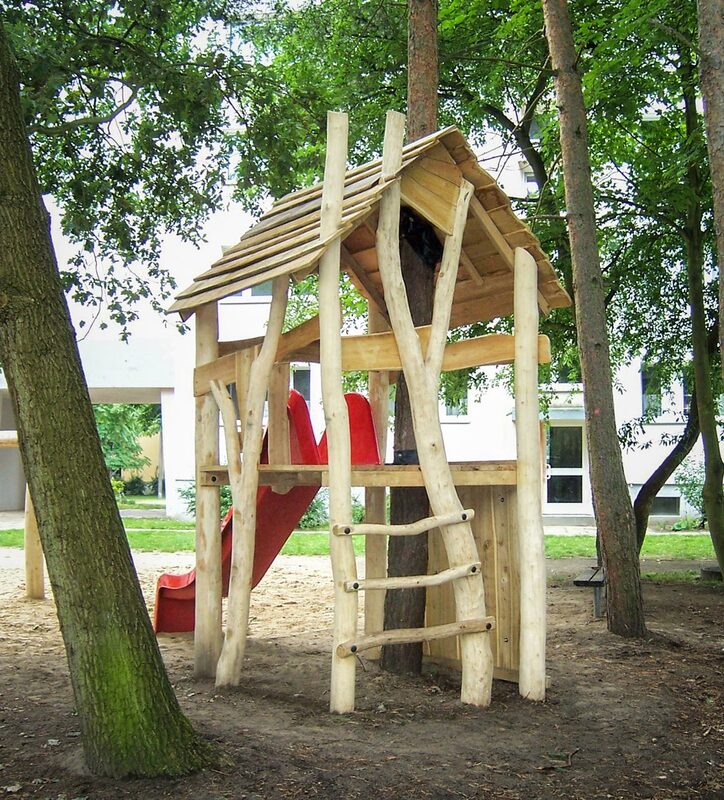 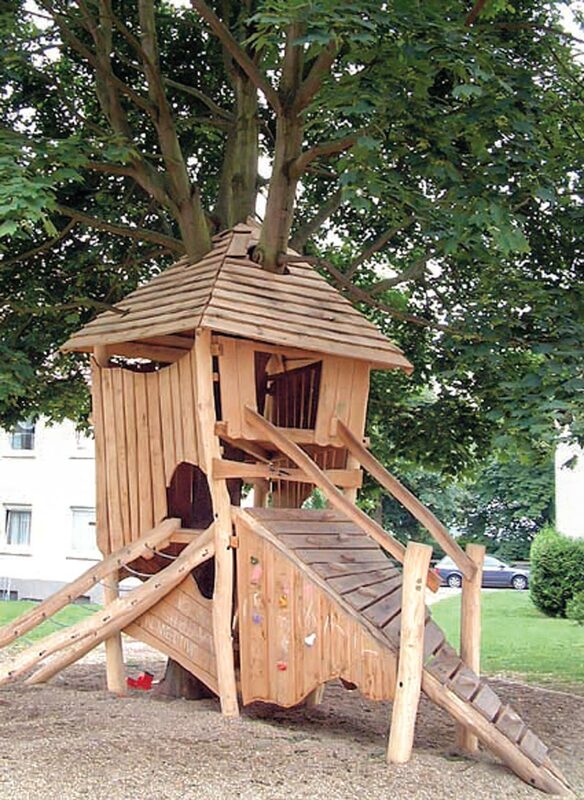 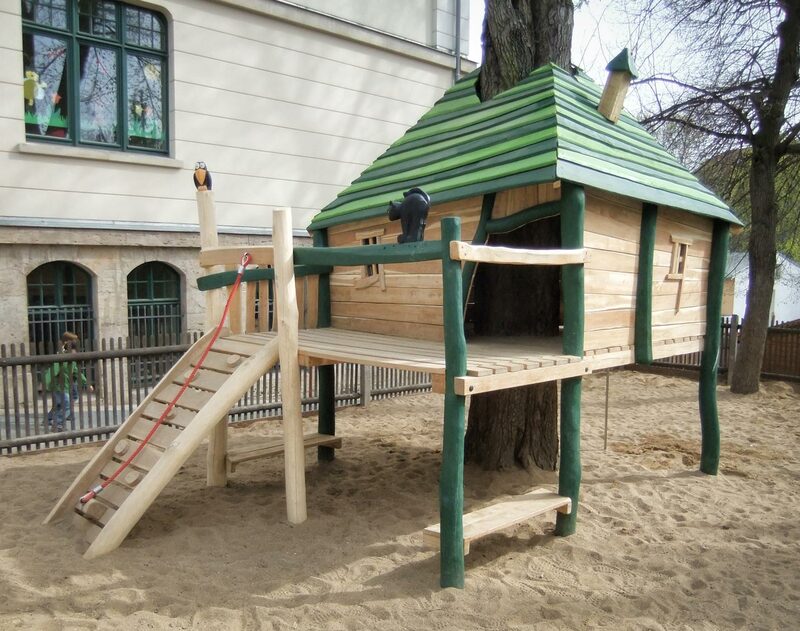 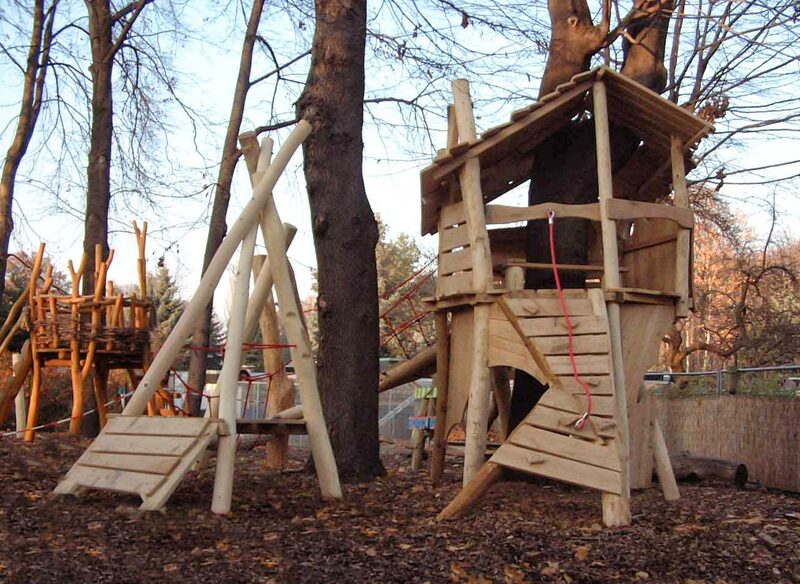 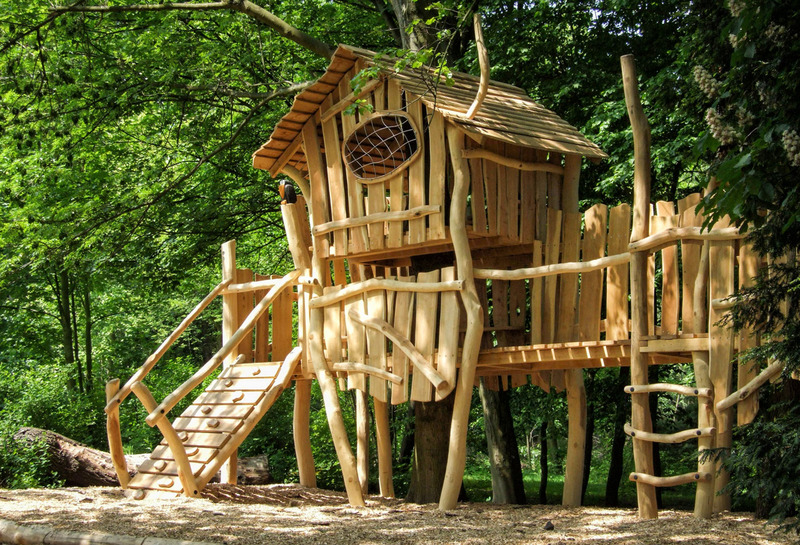 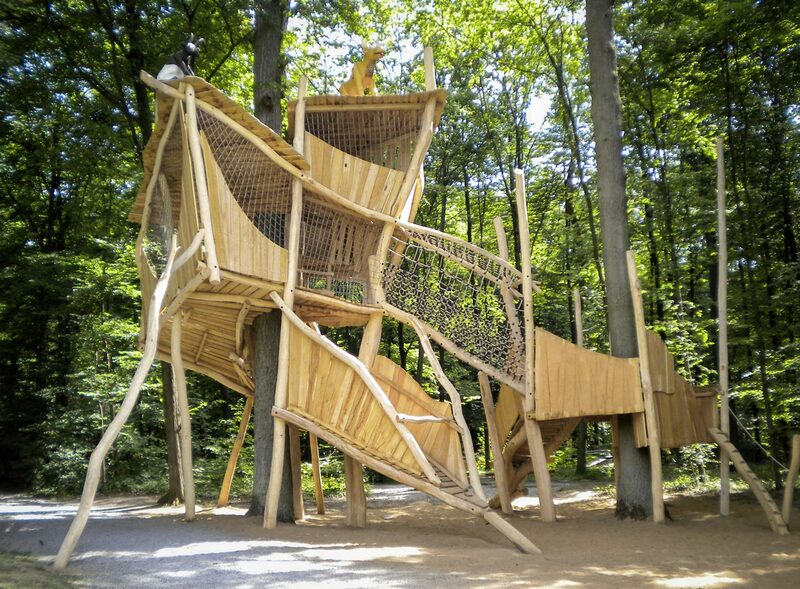 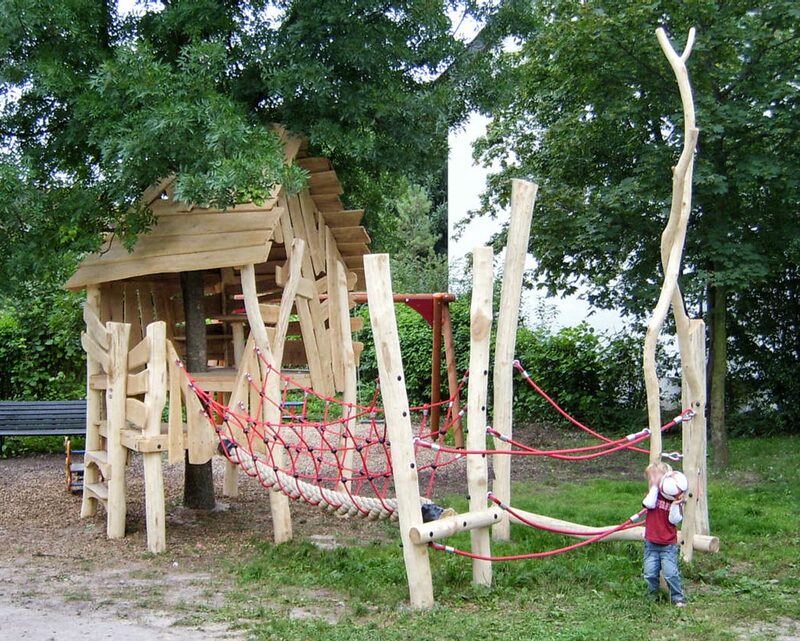 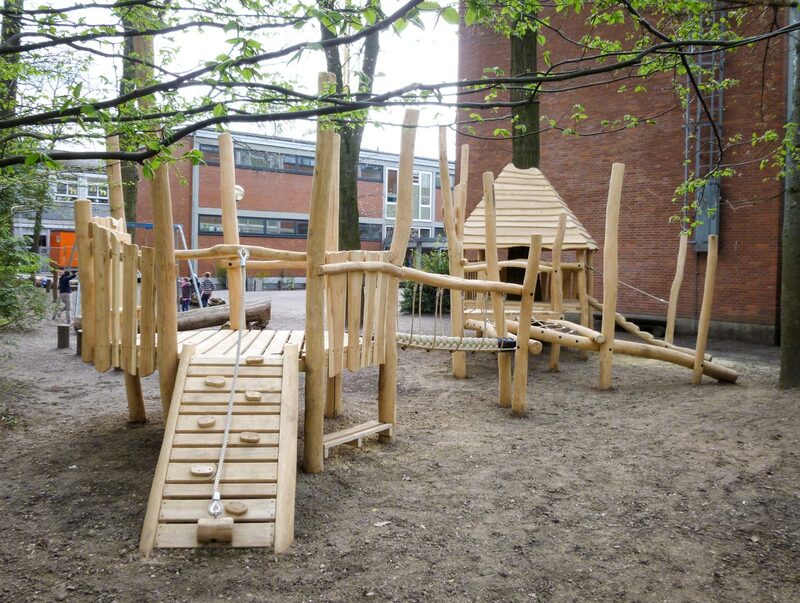 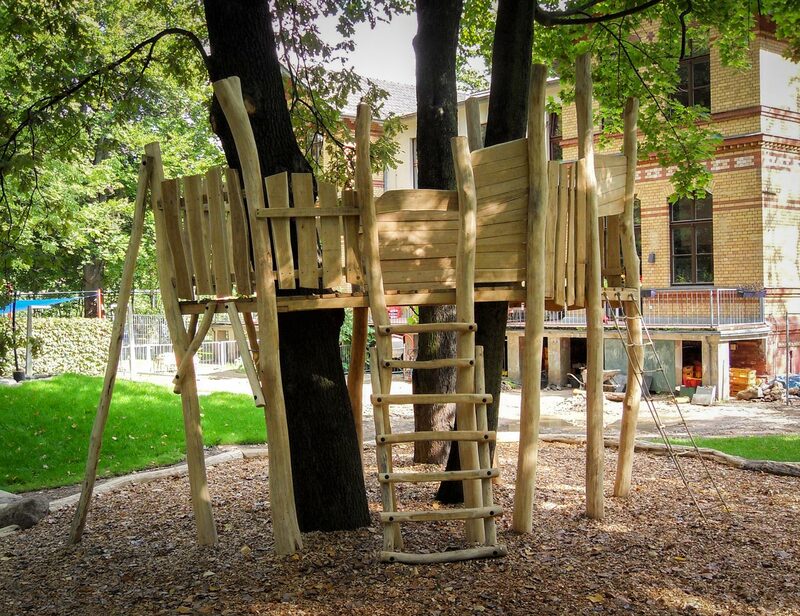 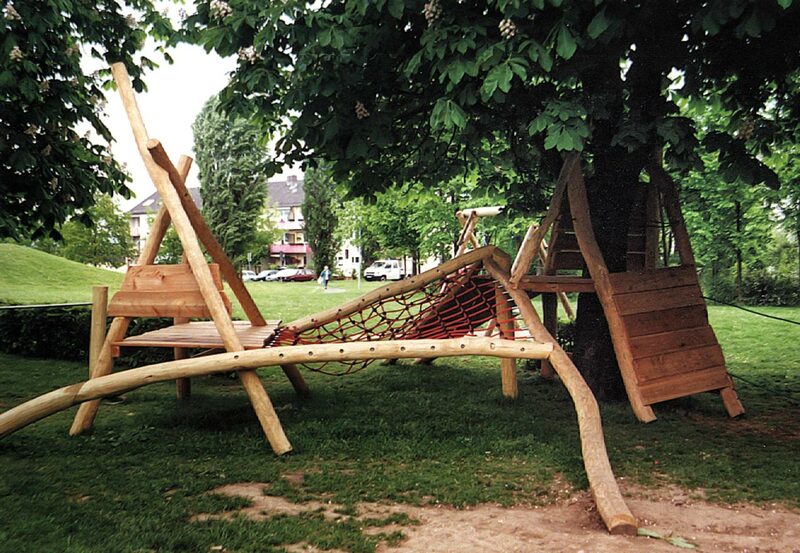 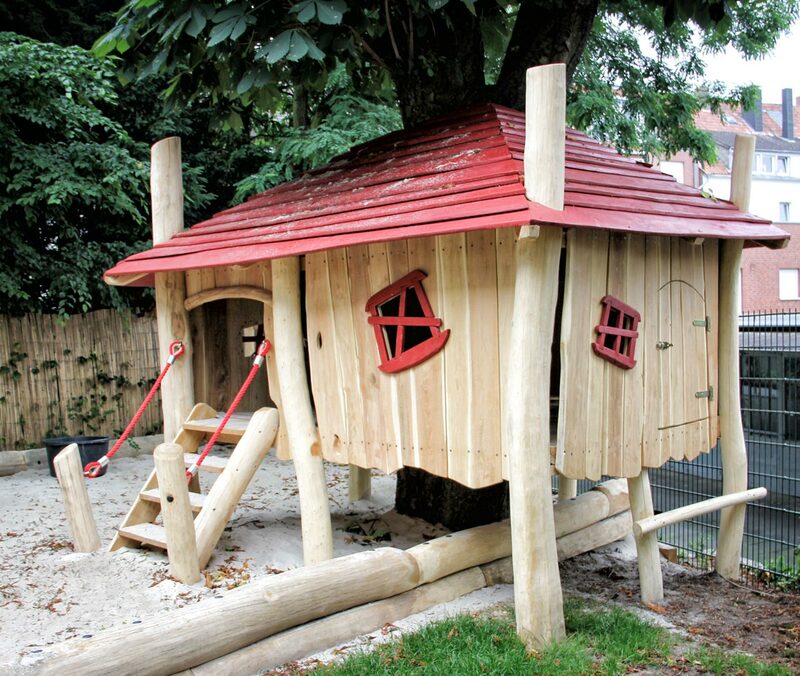 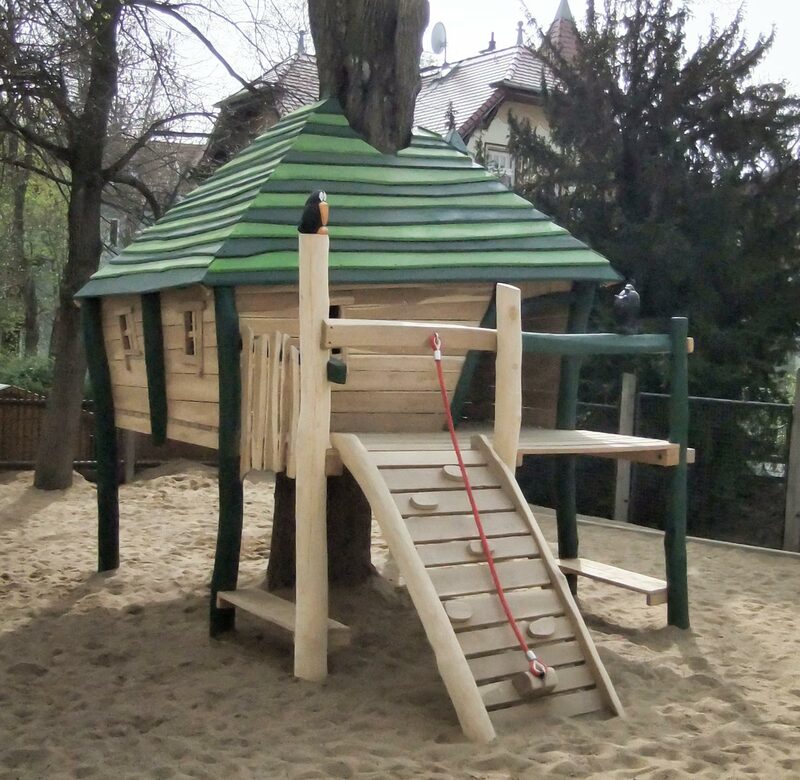 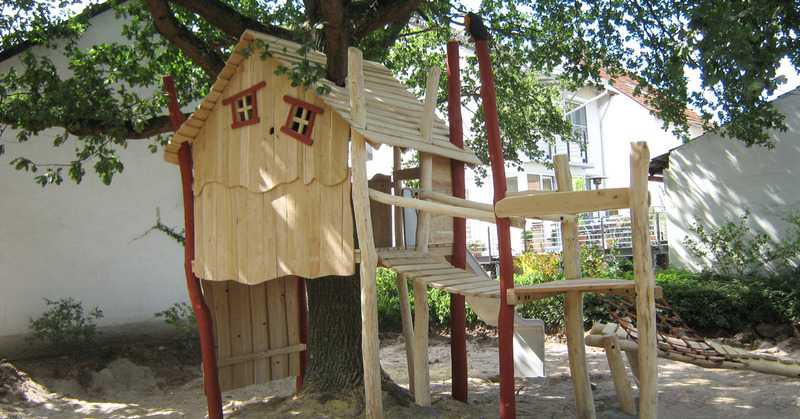 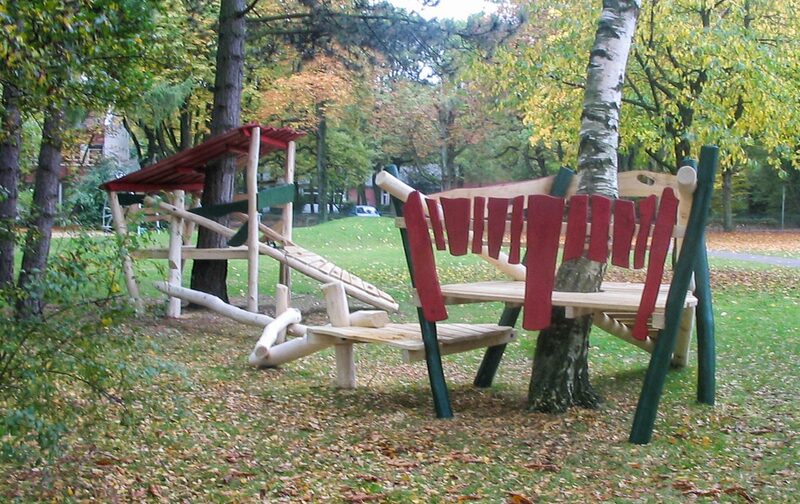 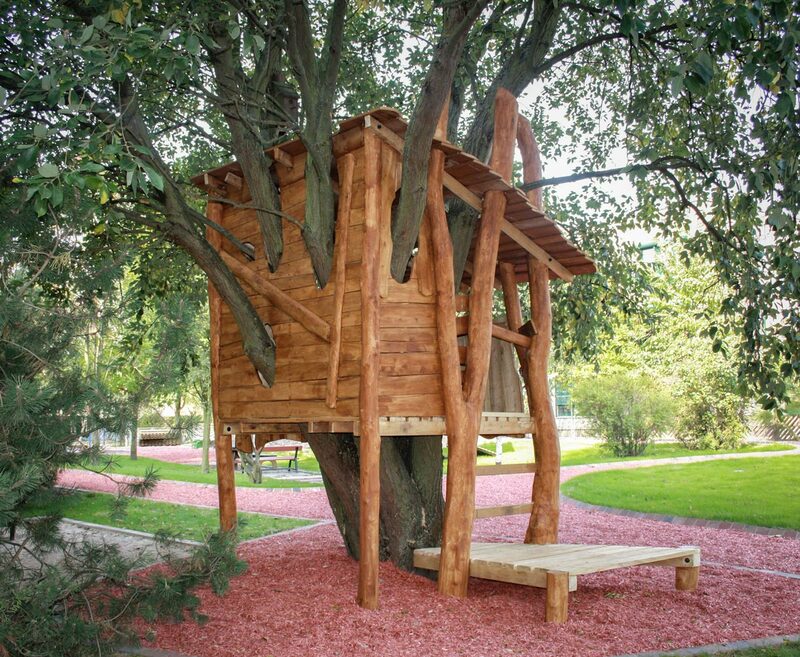 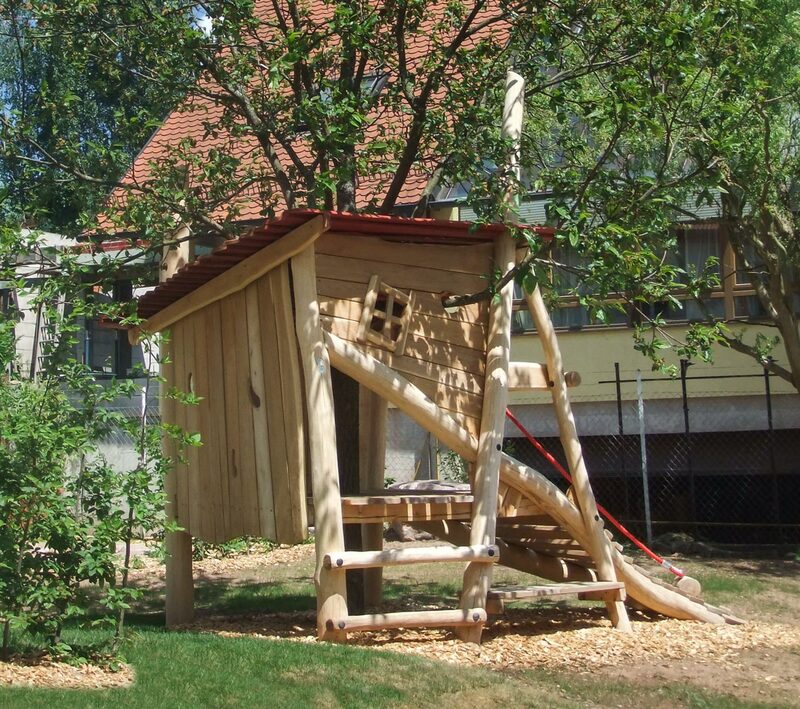 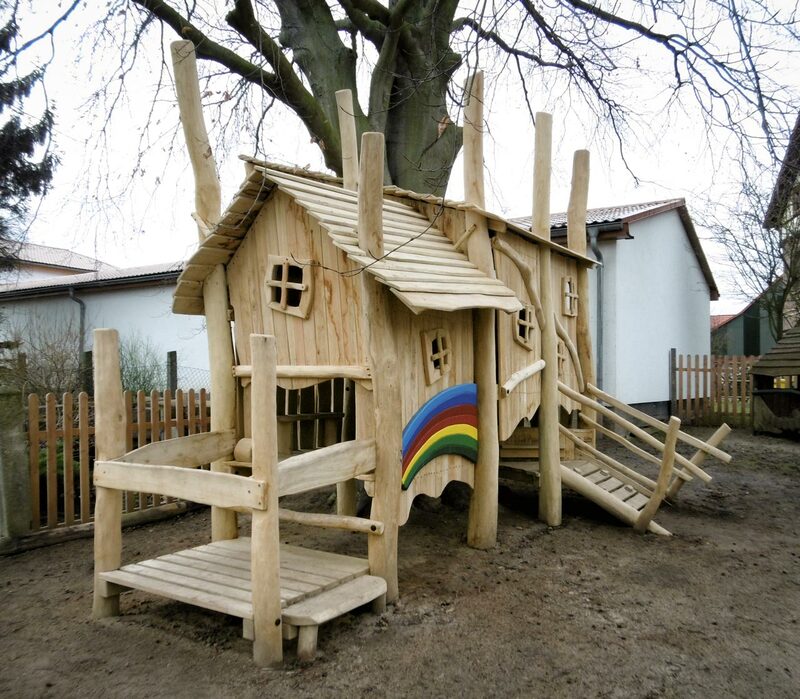 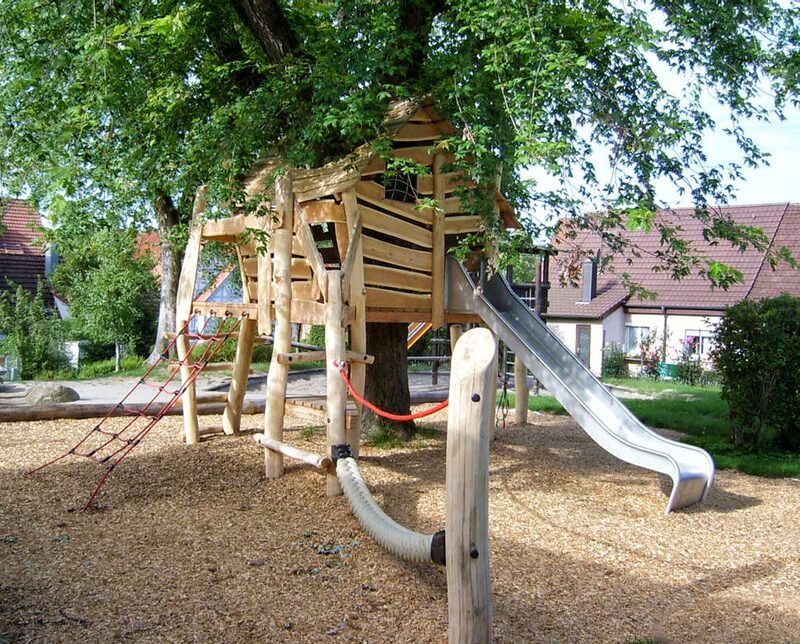 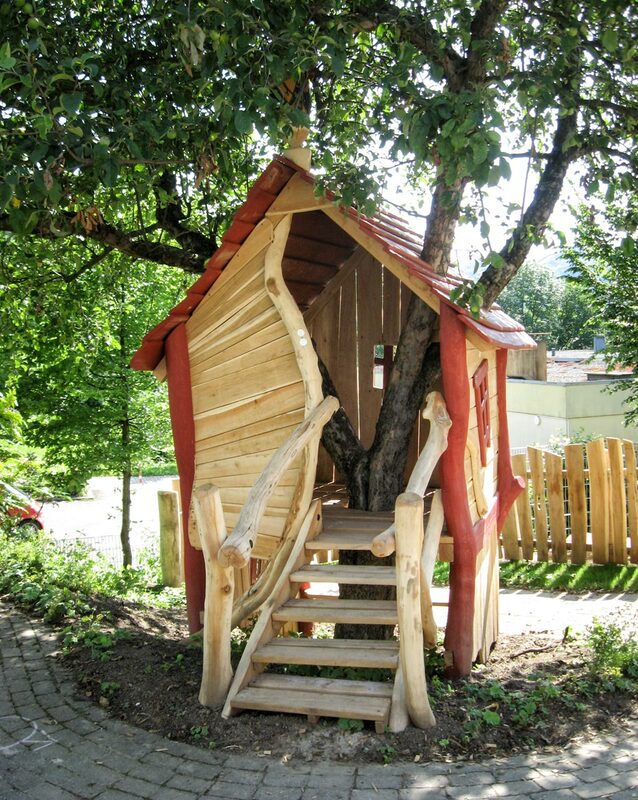 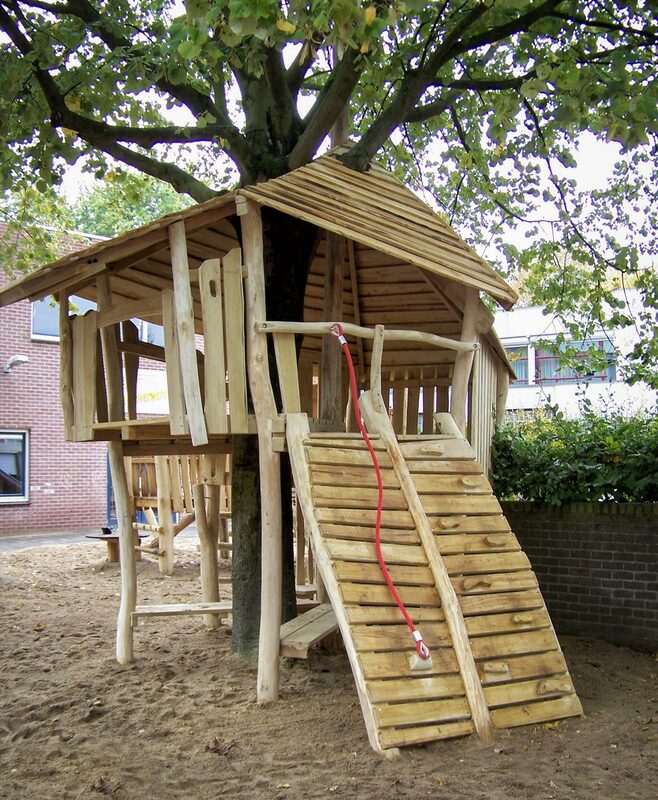 The shape and design of a tree house is designed around the particular tree. 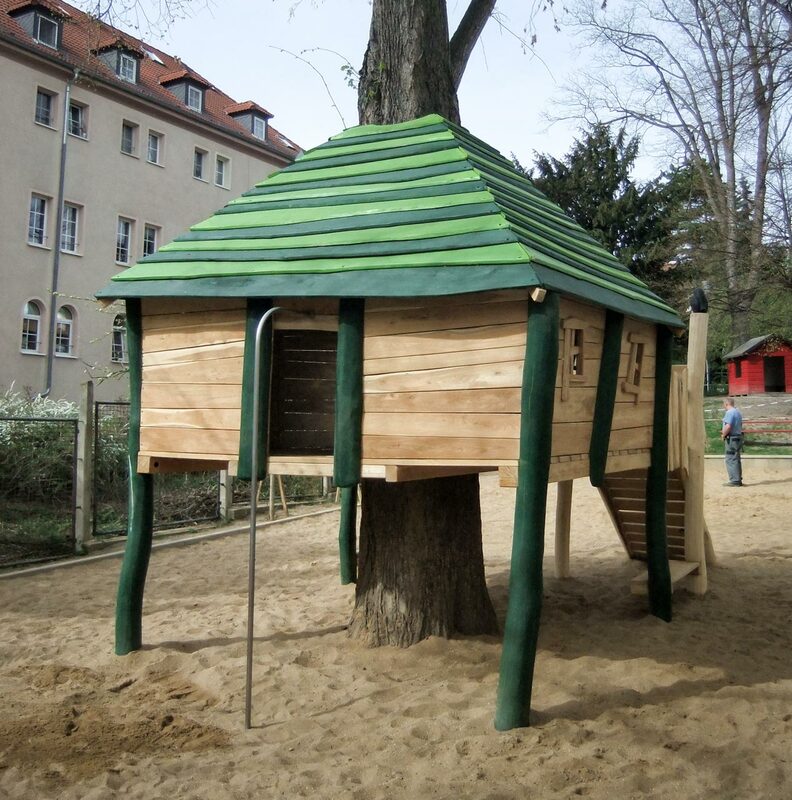 Sometimes it is not possible to decide the shape of the roof until the house is in place. 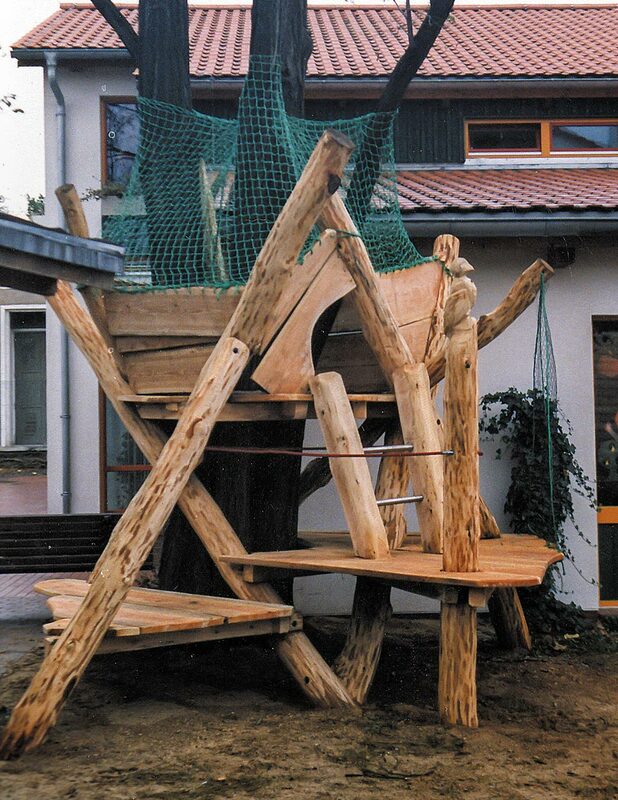 If necessary, the tree cut-out is secured to the base of the house with hemp ropes to prevent the risk of trapped fingers and protect the bark of the tree. 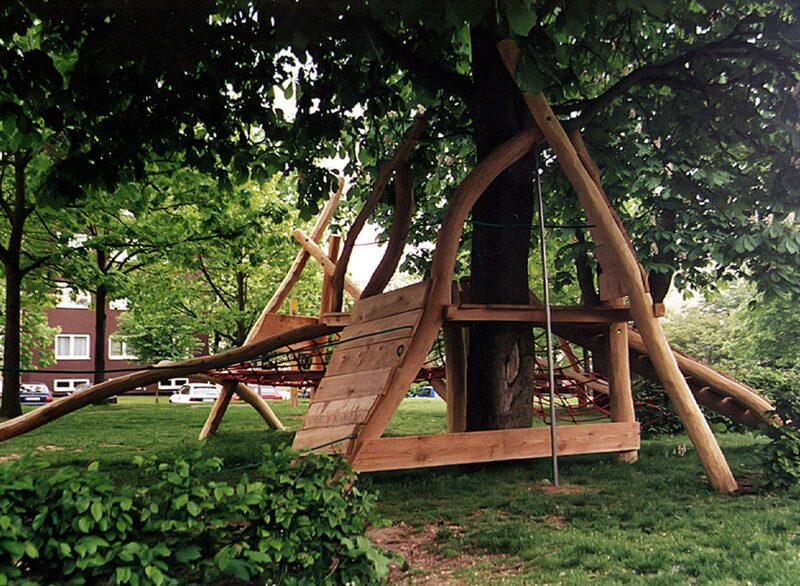 The ropes can easily be removed in order to increase the size of the tree cut-out as the trunk grows. 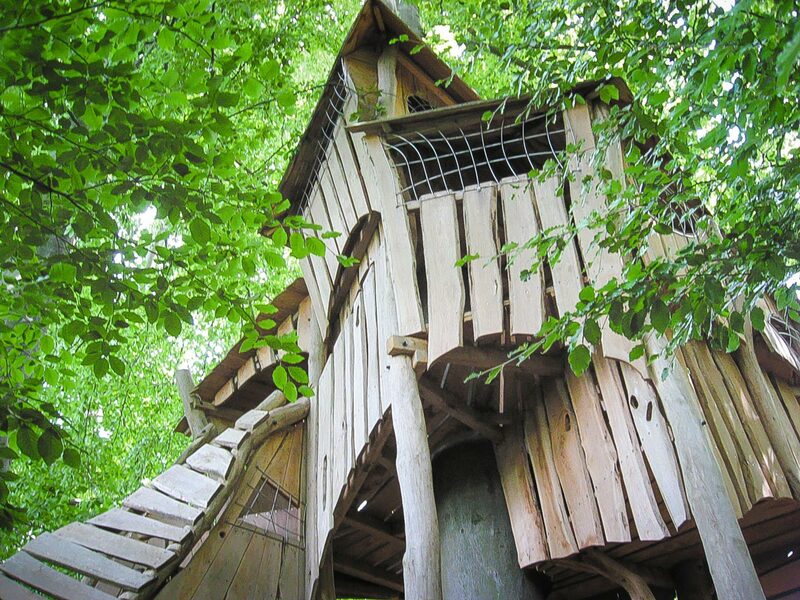 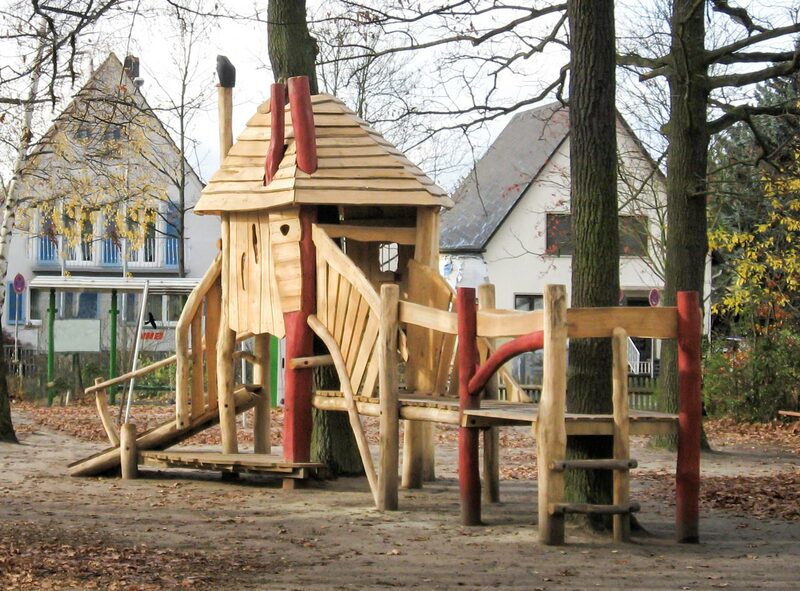 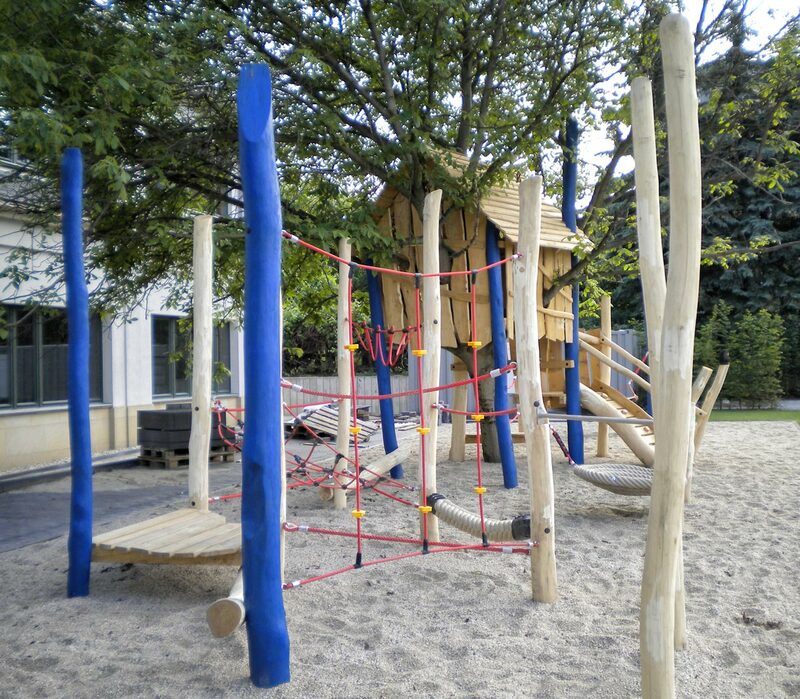 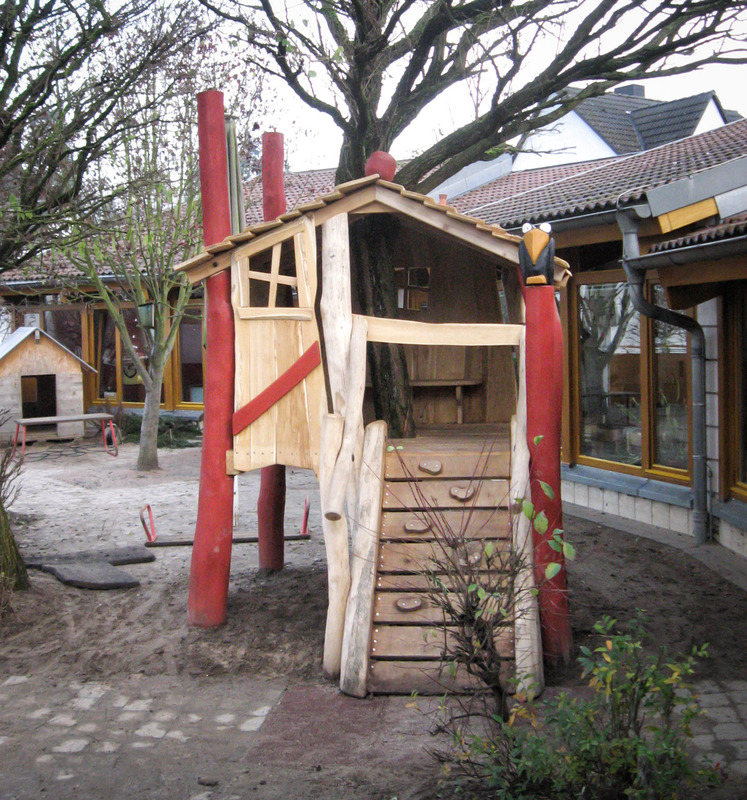 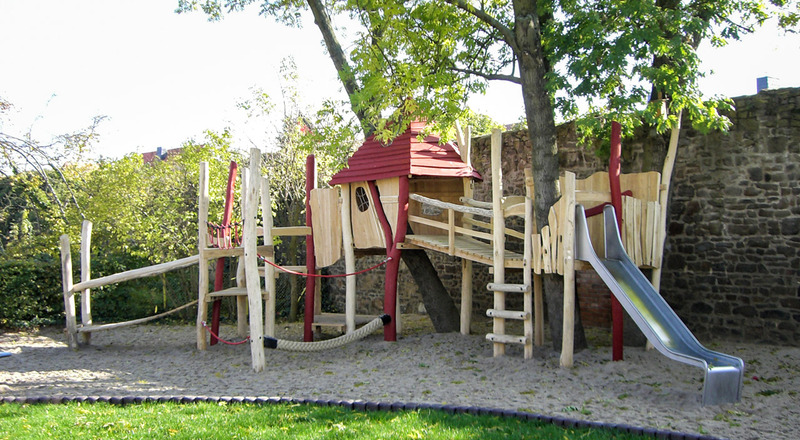 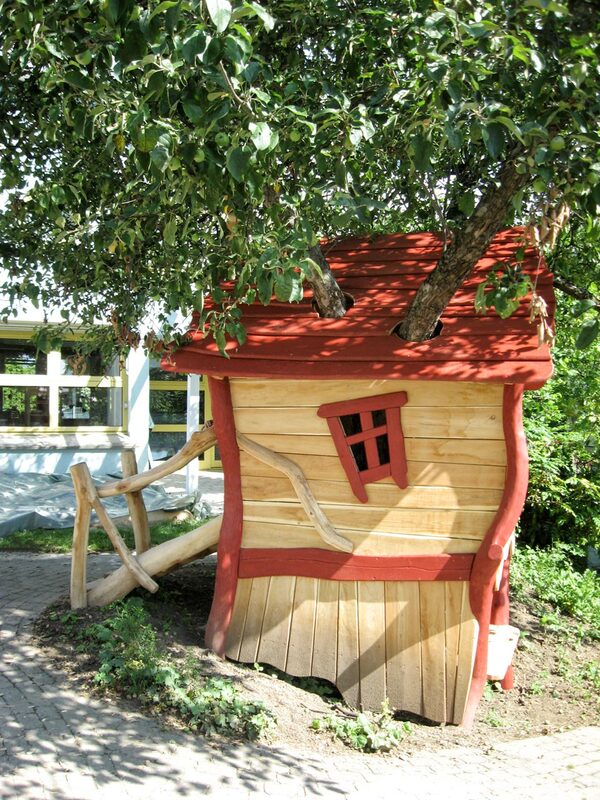 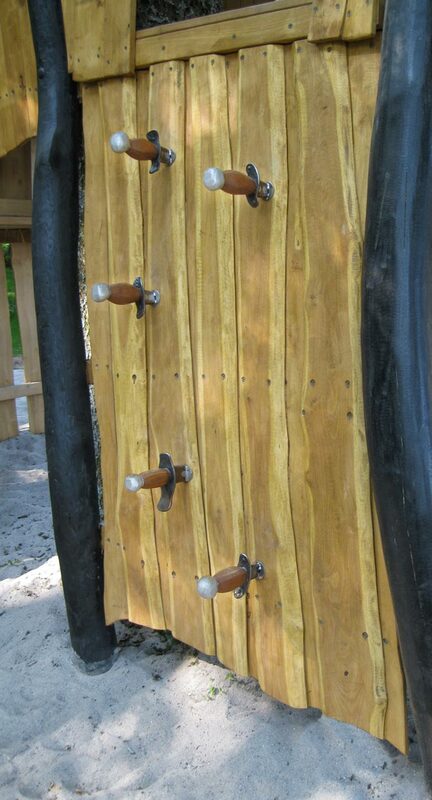 Our tree houses are all developed and constructed in accordance with DIN 1176. 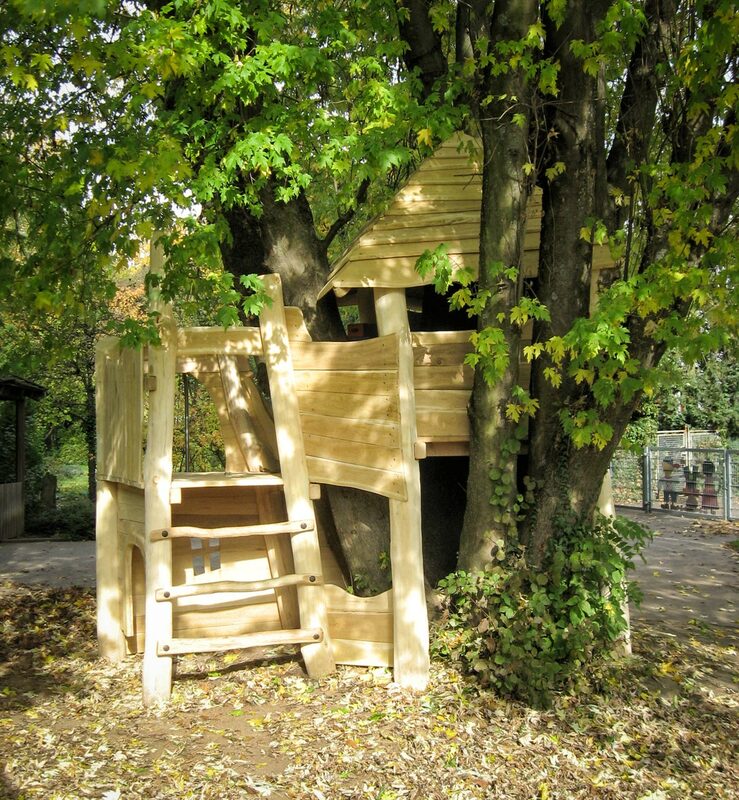 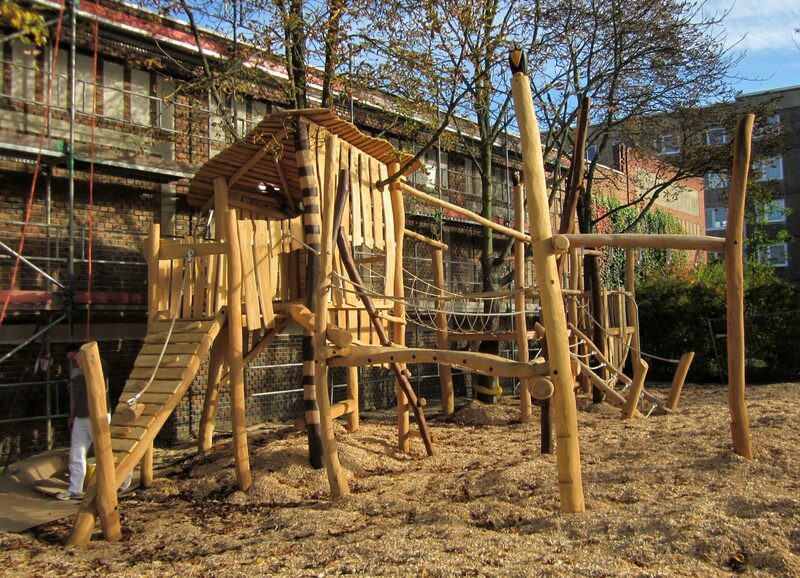 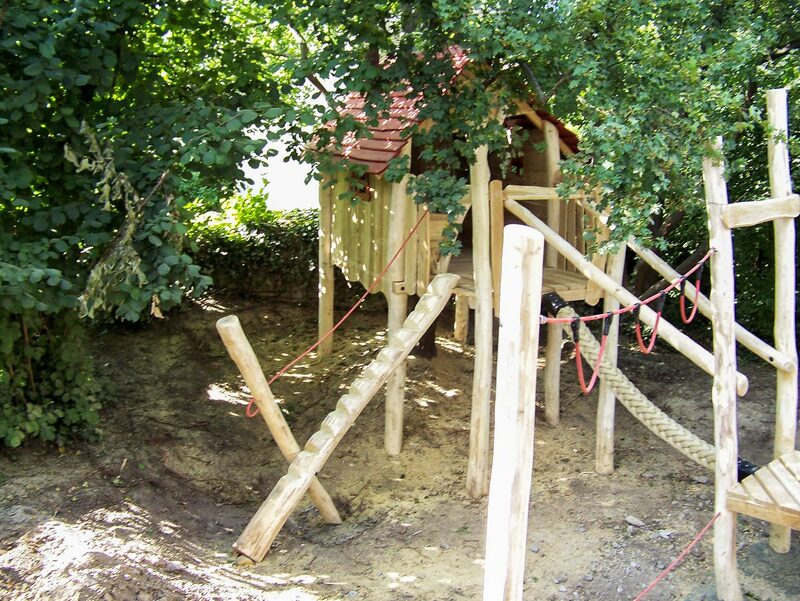 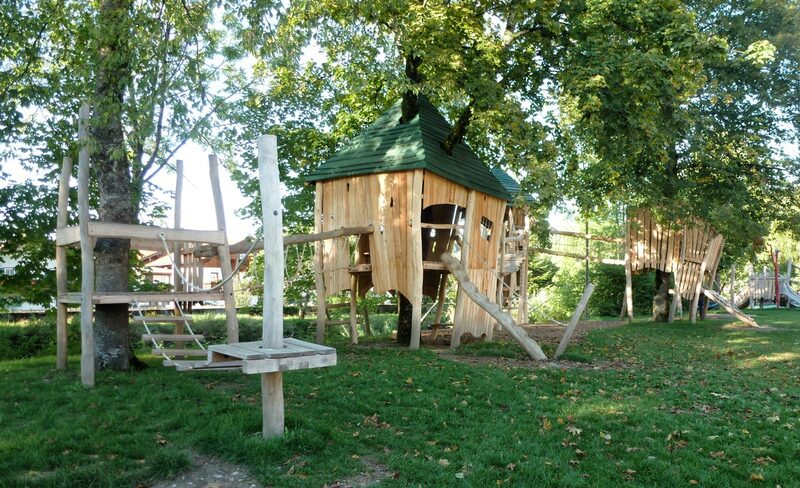 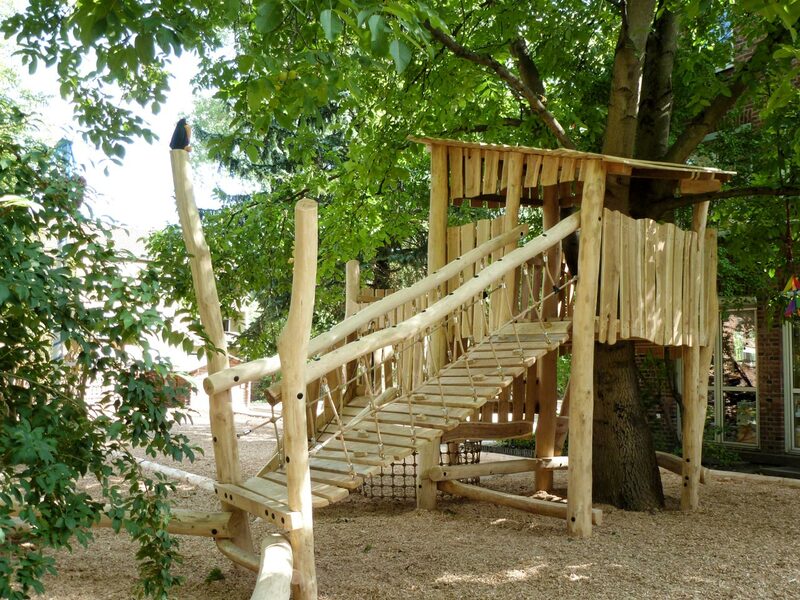 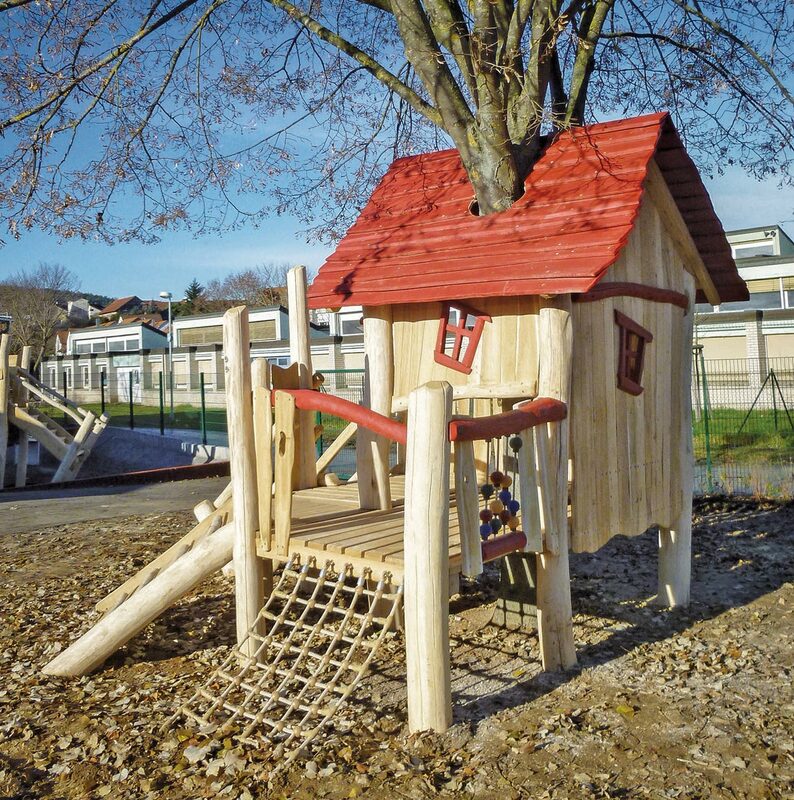 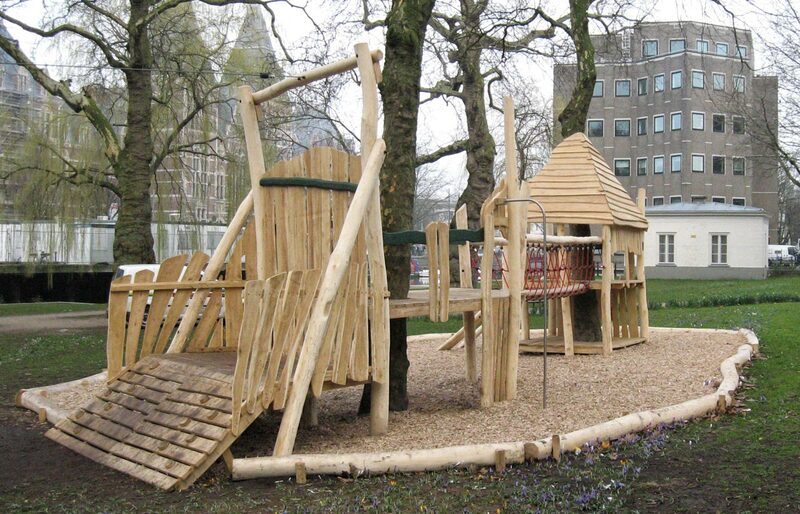 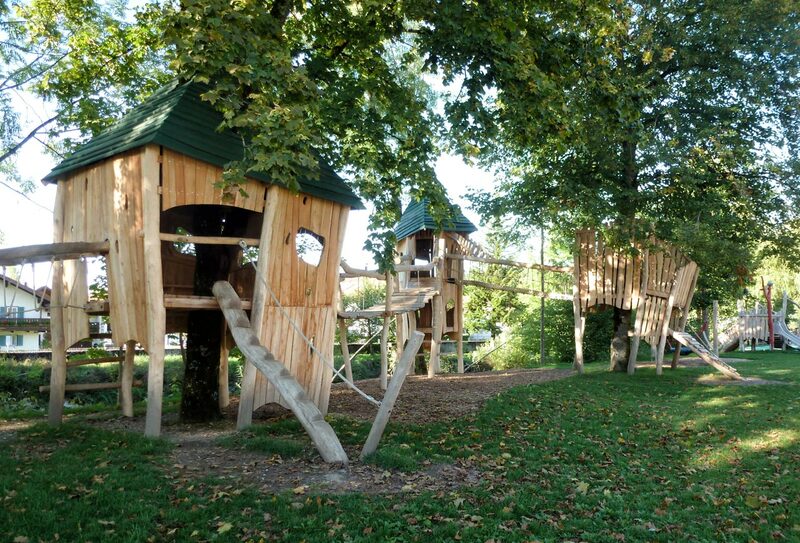 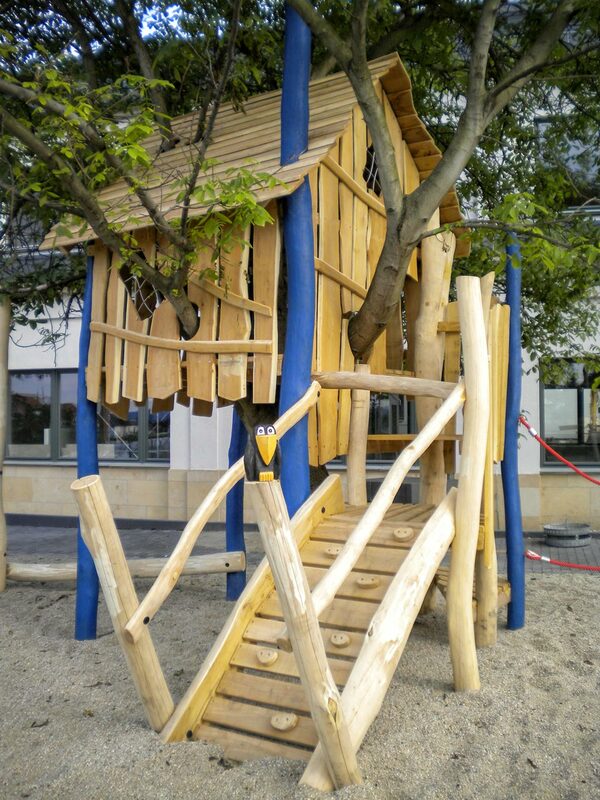 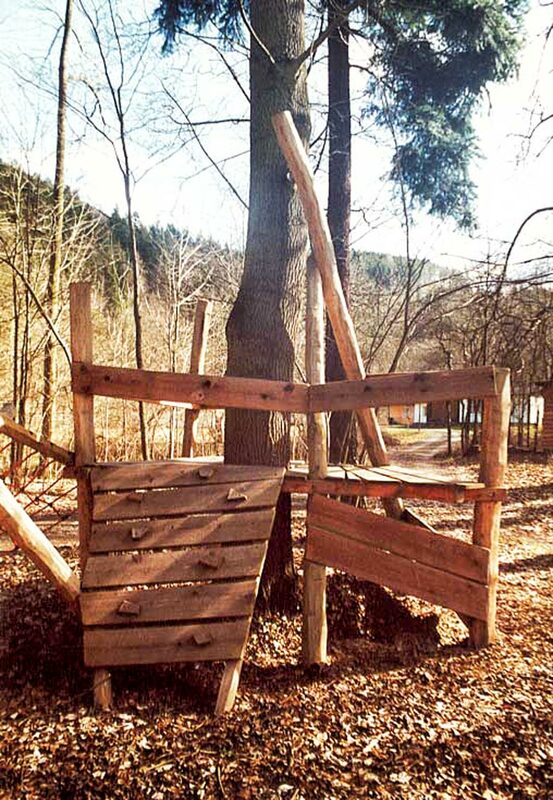 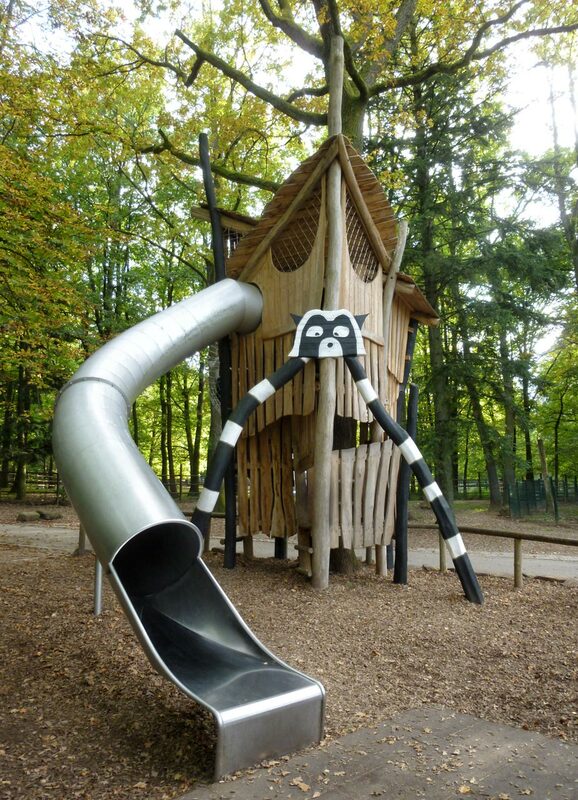 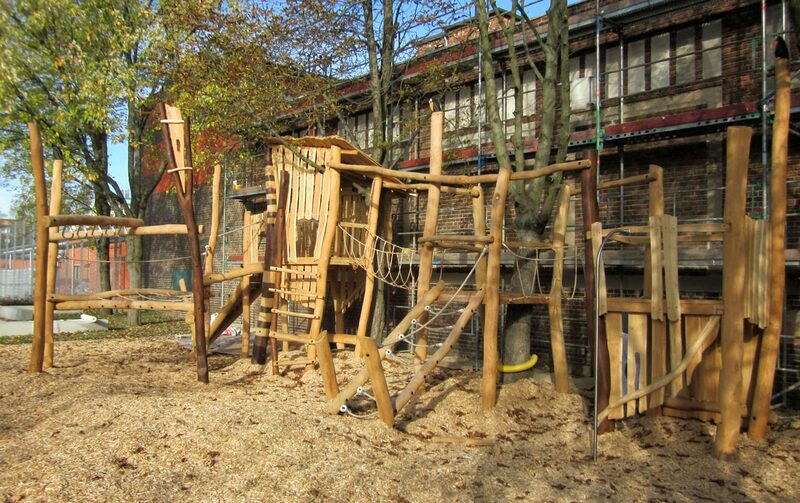 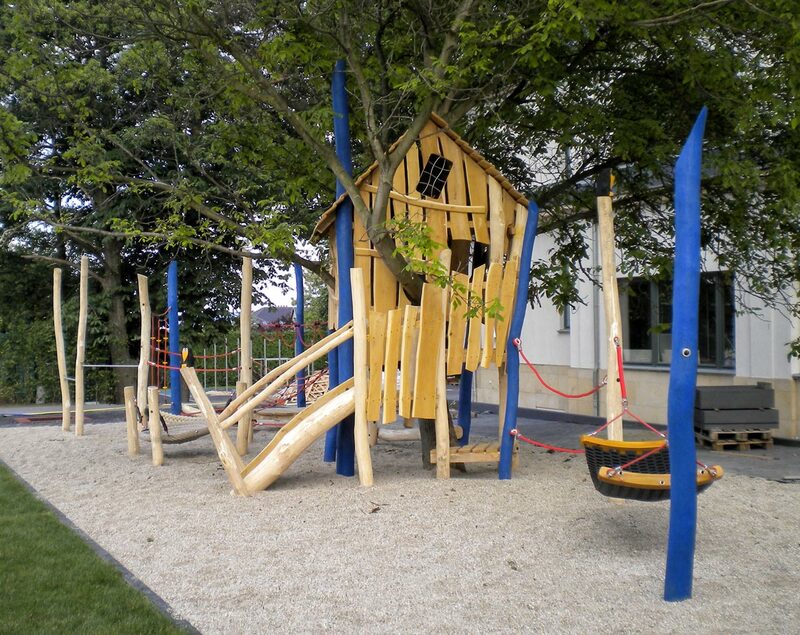 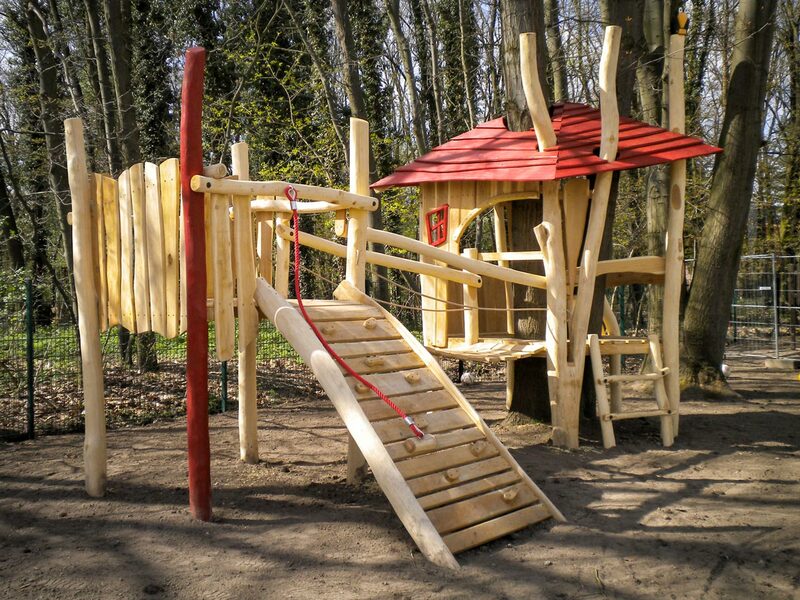 The safety-technical handover is carried out on-site once the tree house is complete. 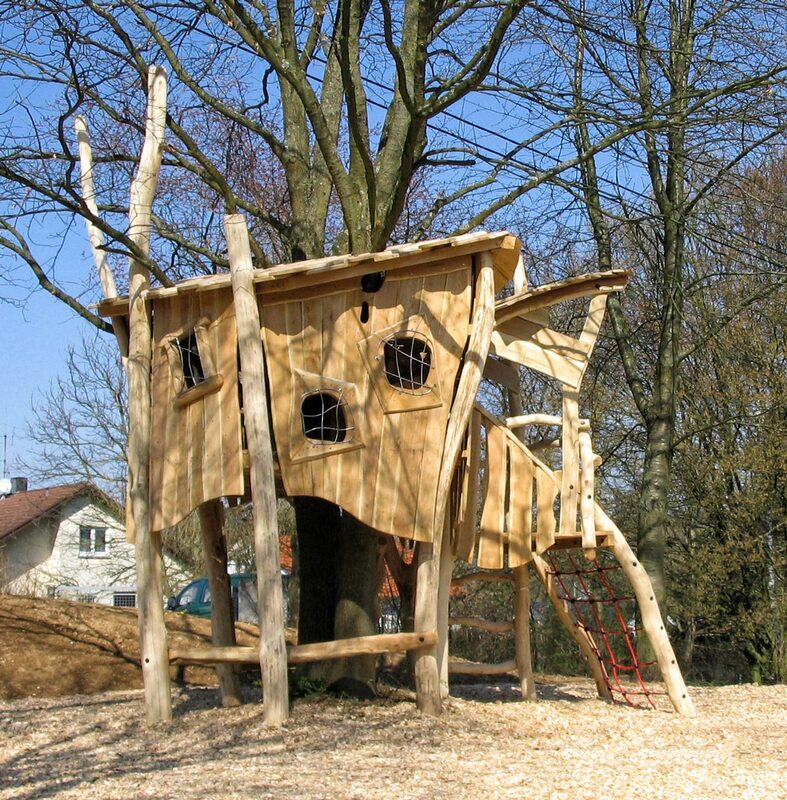 And should there be no suitable tree, then a treecrown house is the perfect adventure – with the same atmosphere as a treetop.